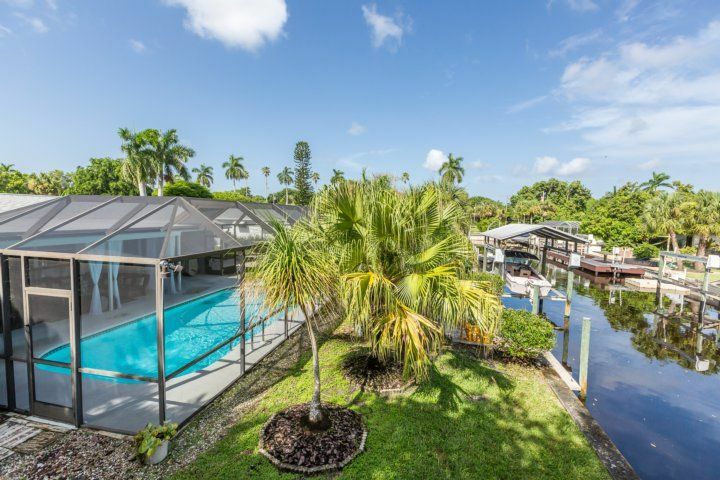 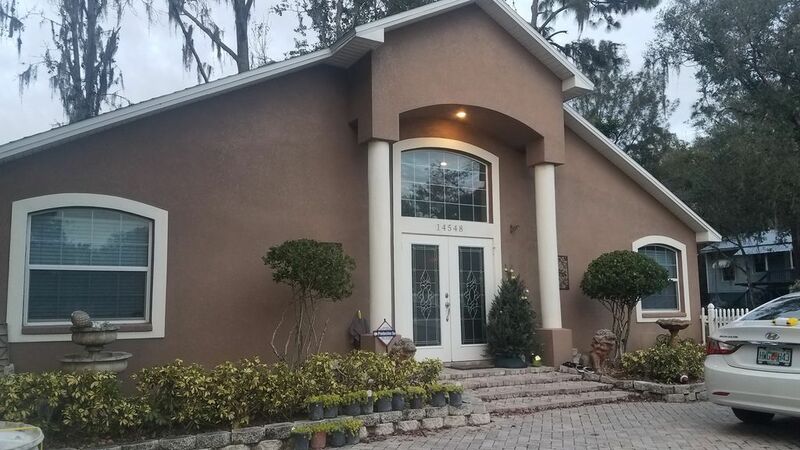 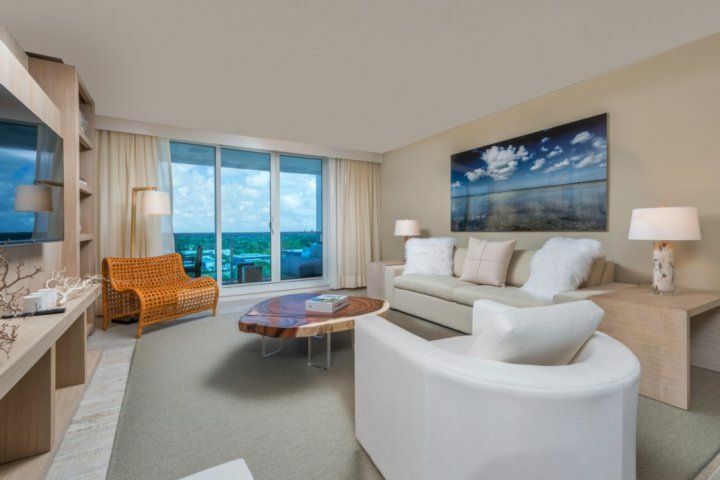 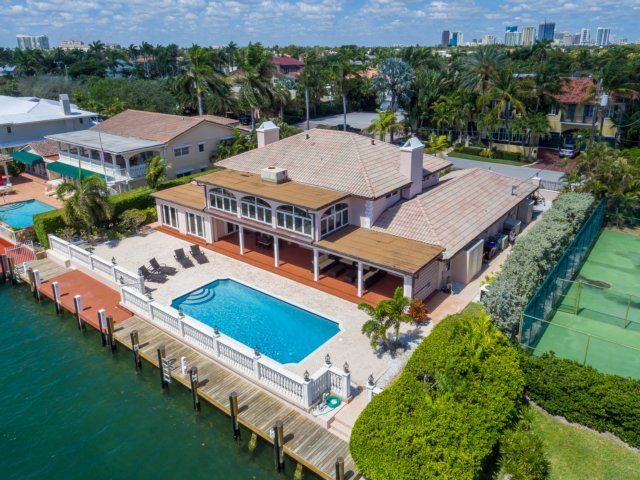 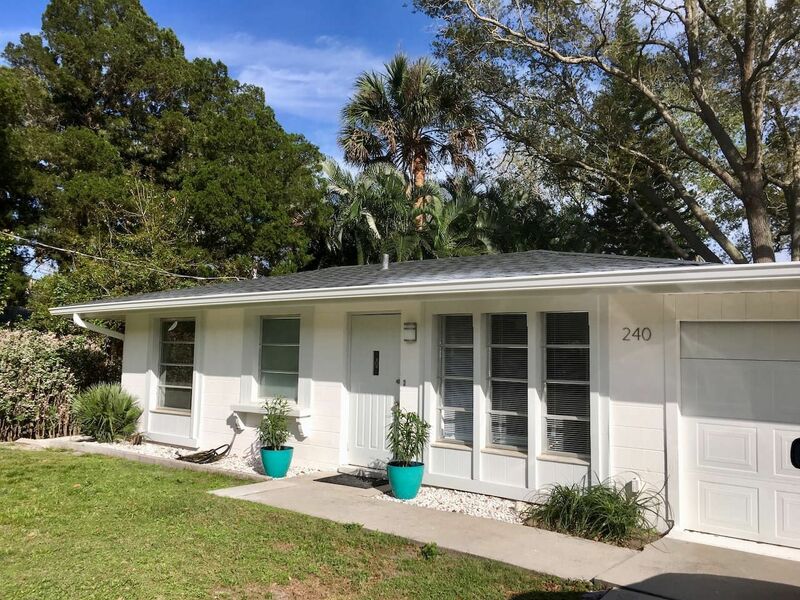 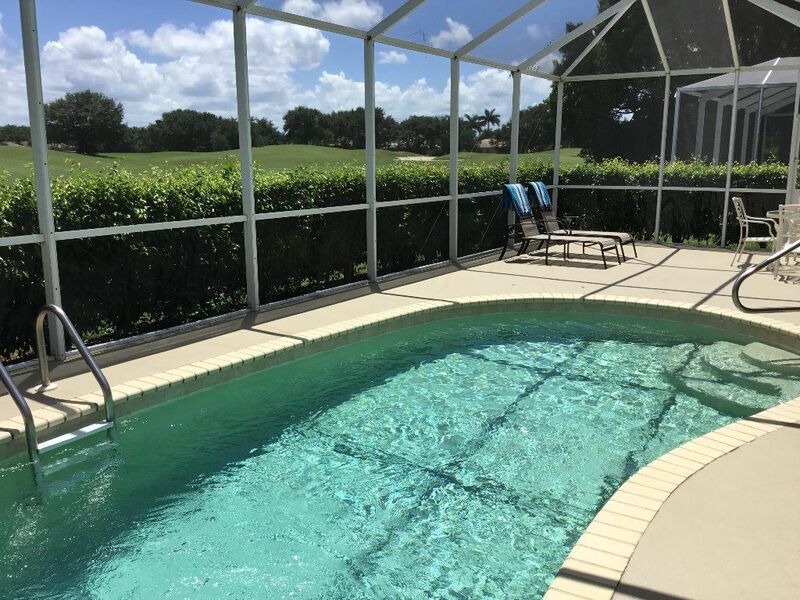 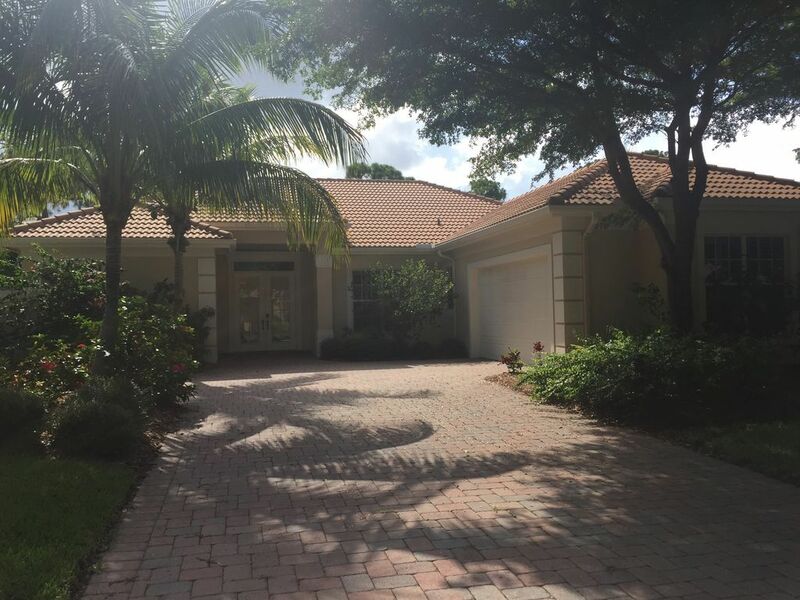 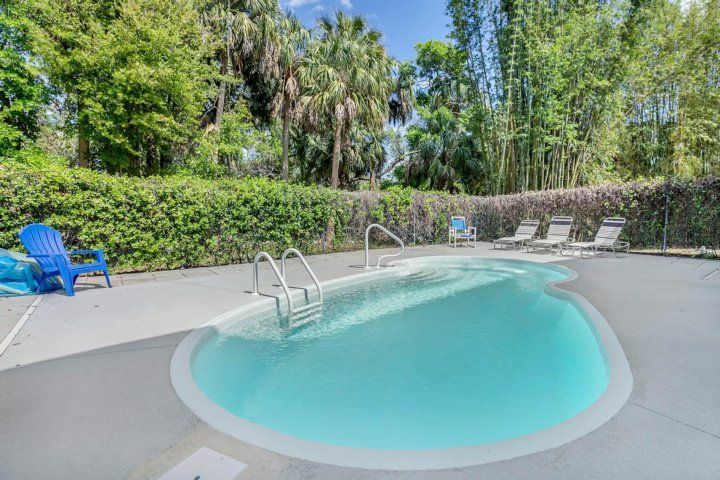 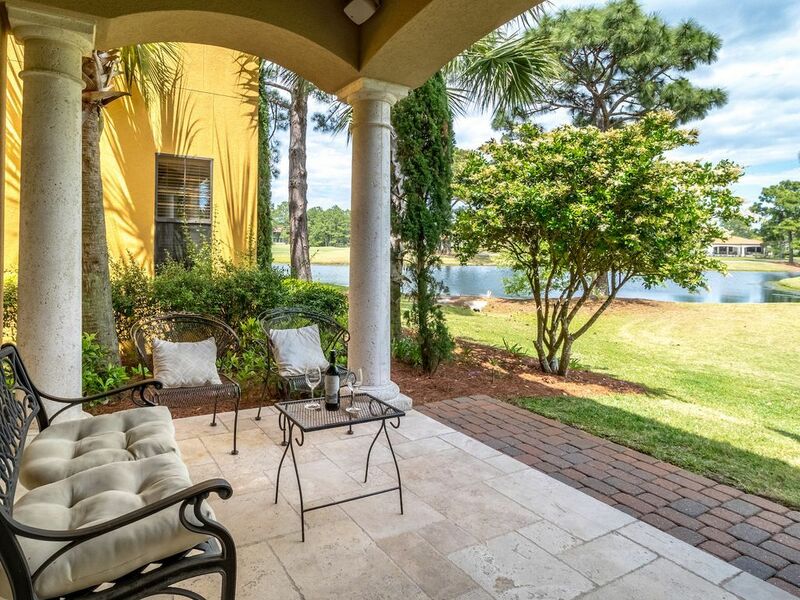 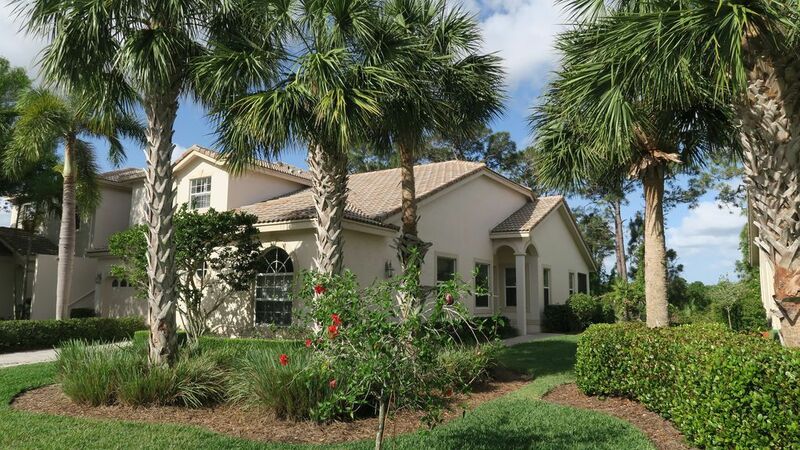 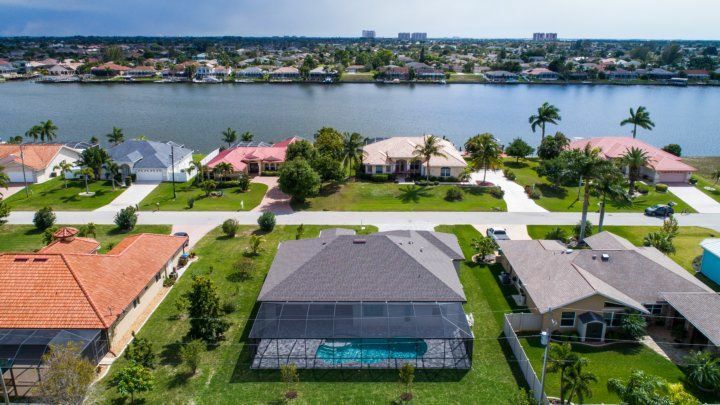 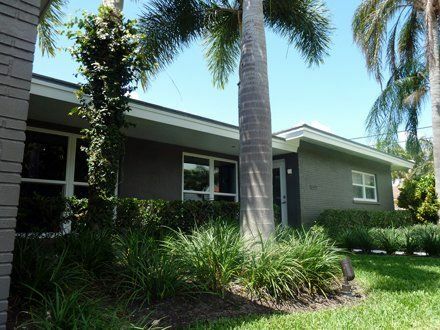 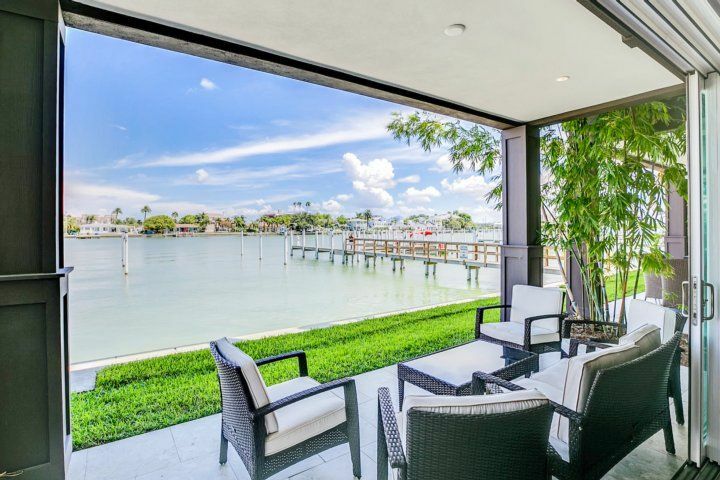 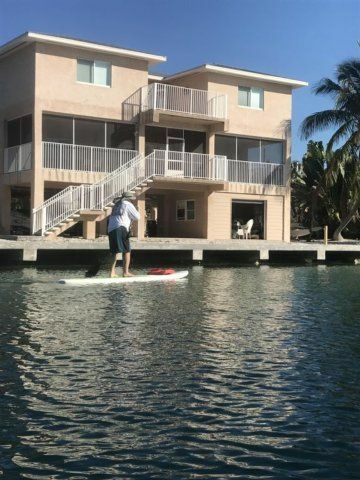 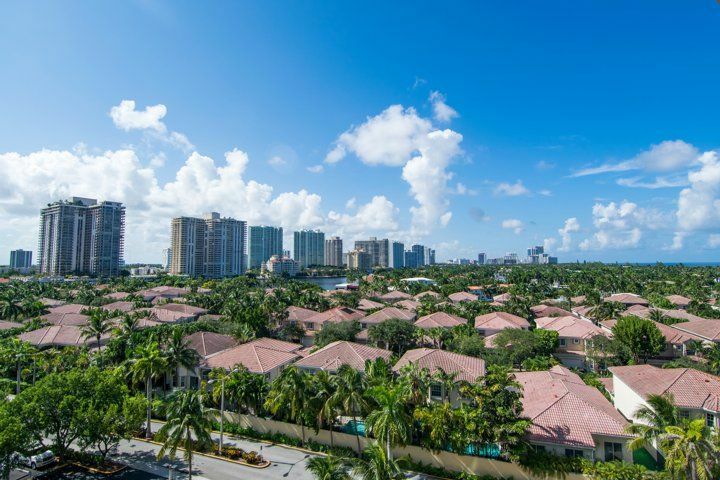 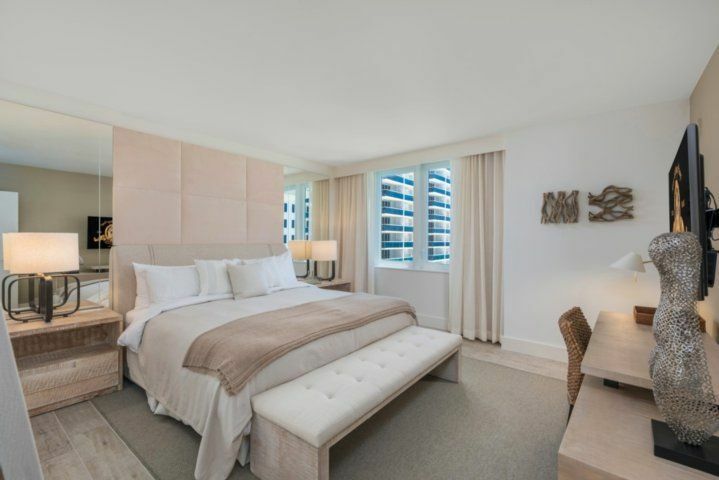 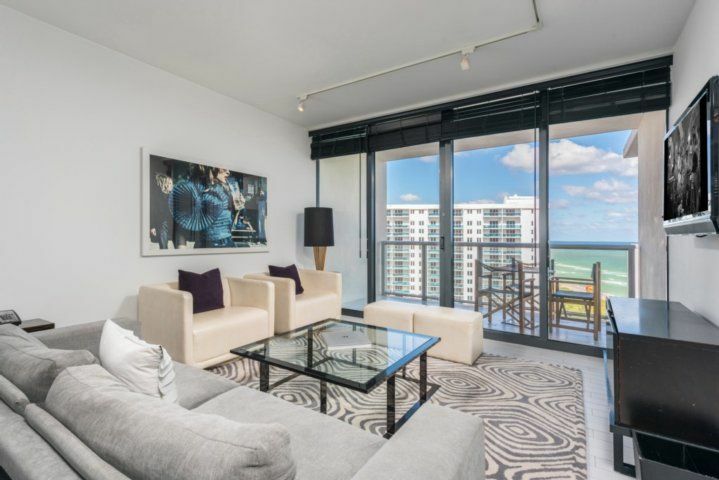 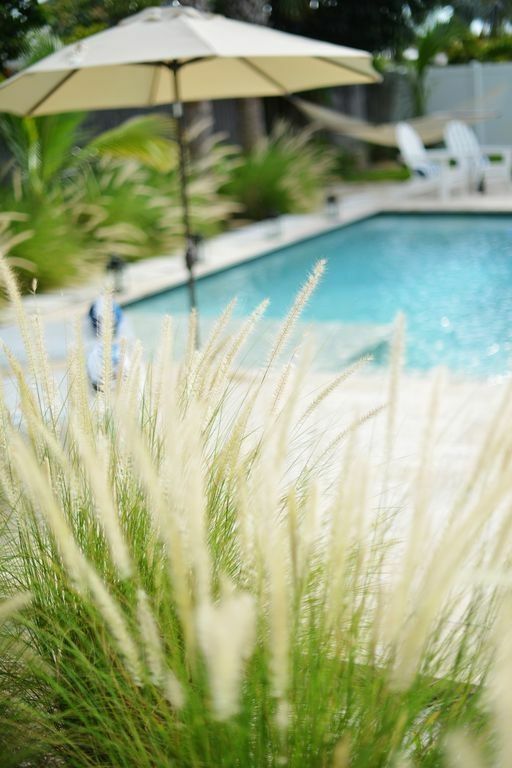 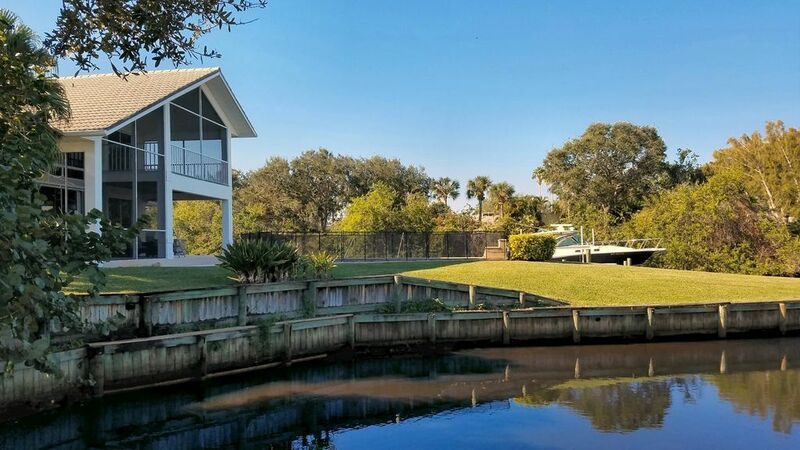 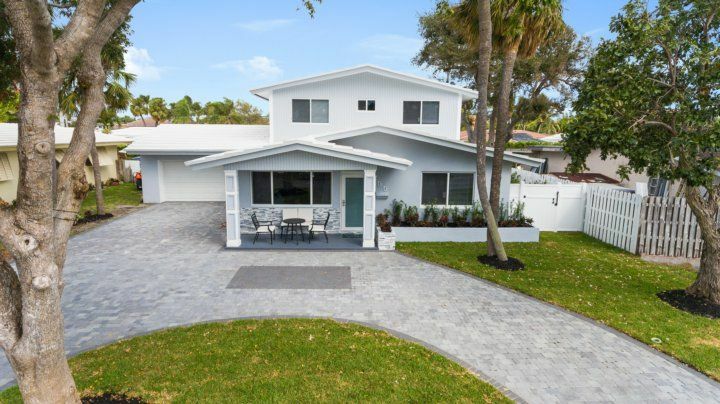 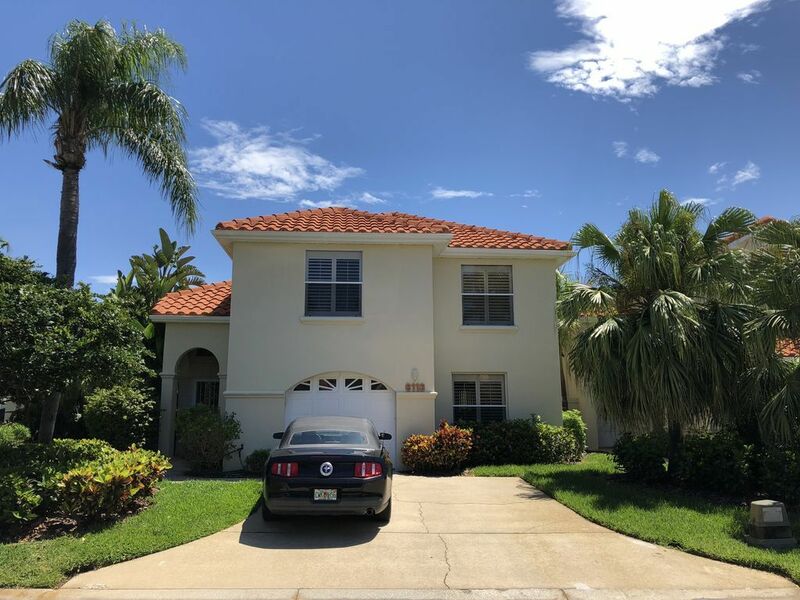 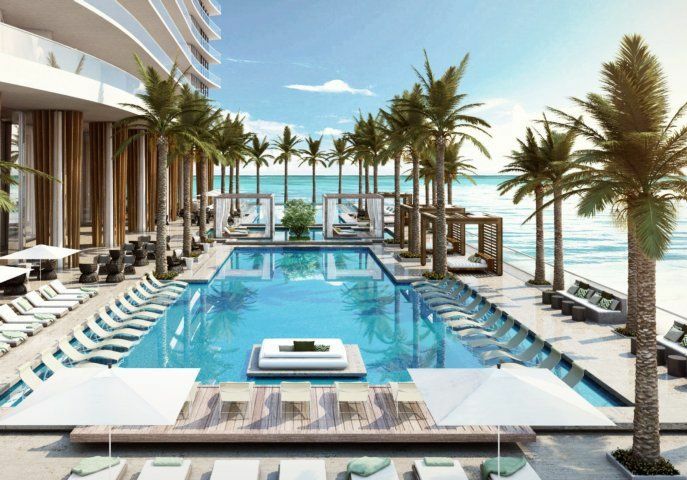 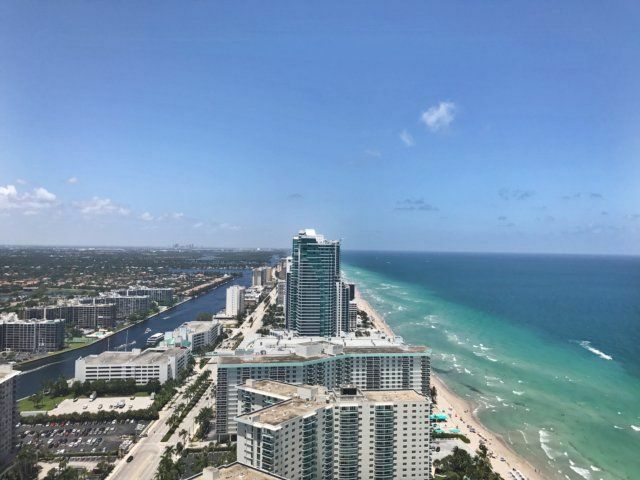 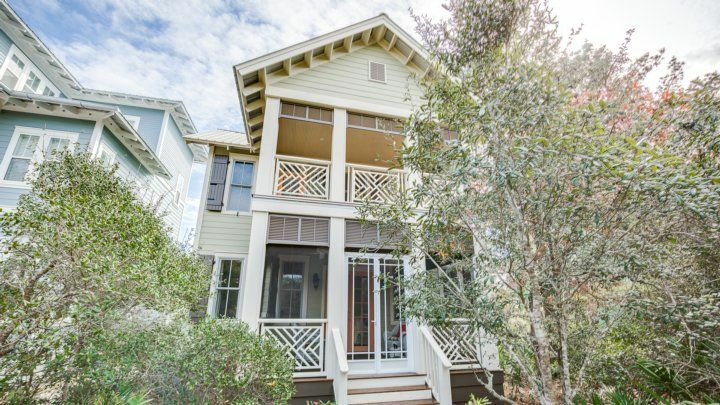 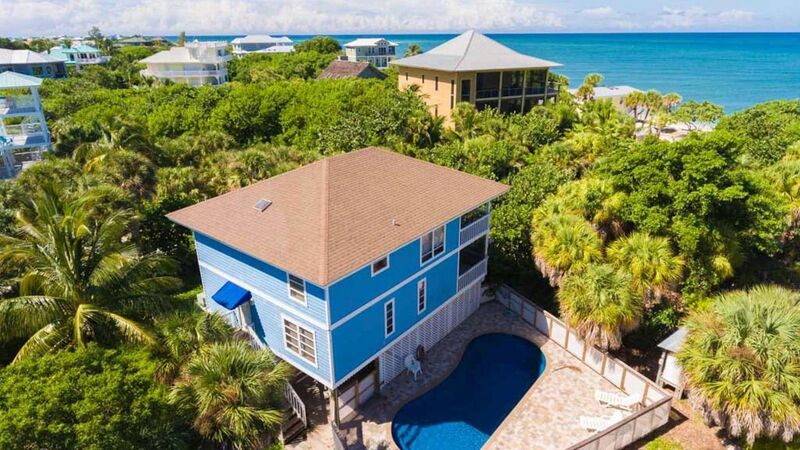 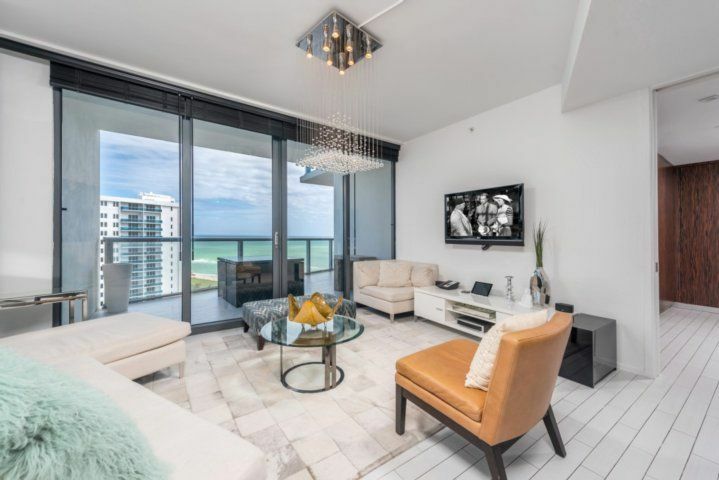 With spectacular views of the beautiful trees, pond, pool and peek a boo view of the Intracoastal, you will be asking yourself why you didn't choose Excelsior 306 sooner. 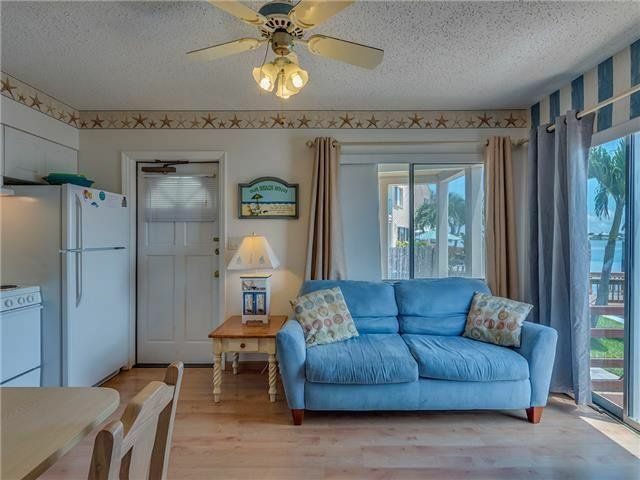 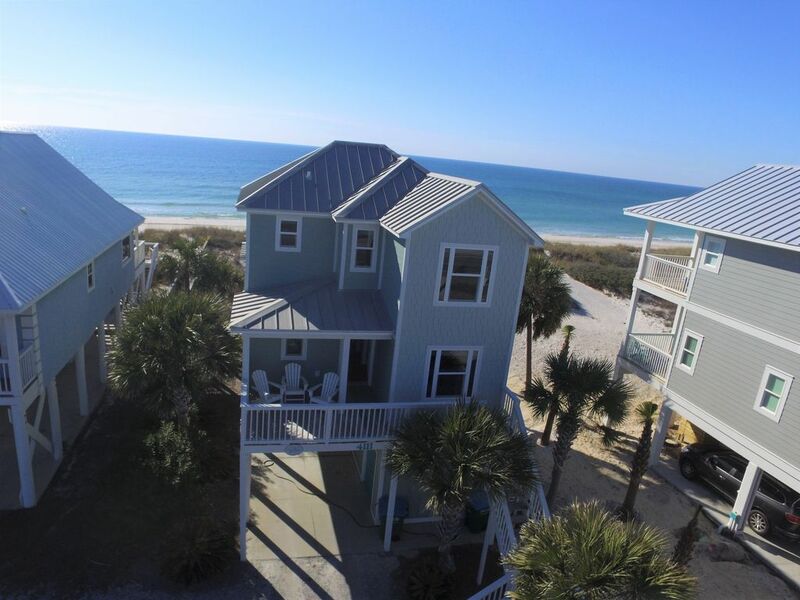 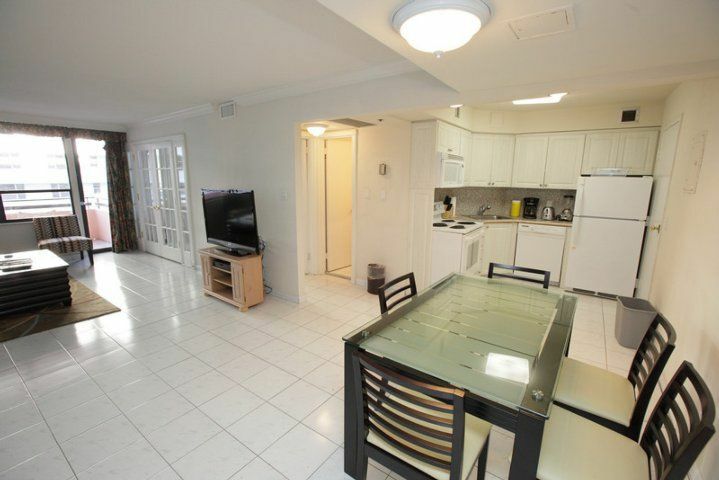 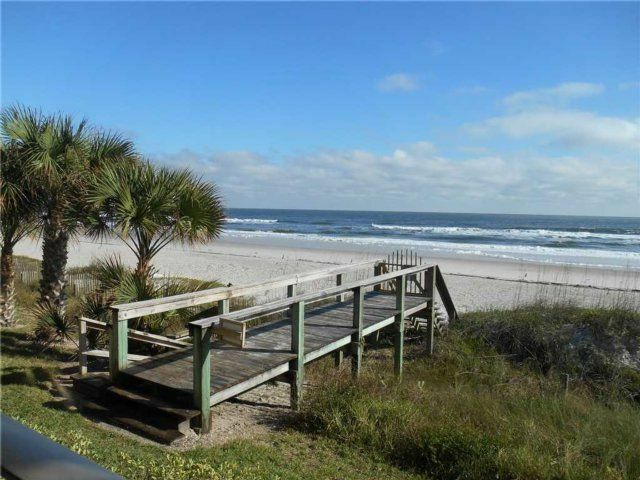 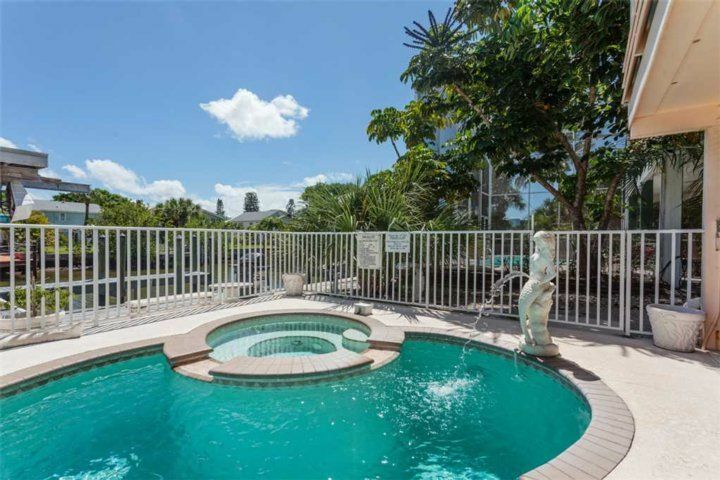 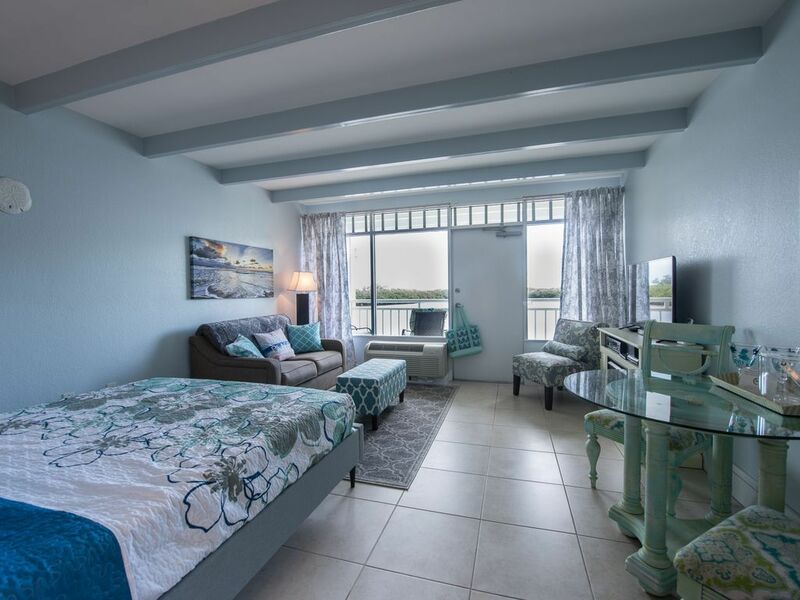 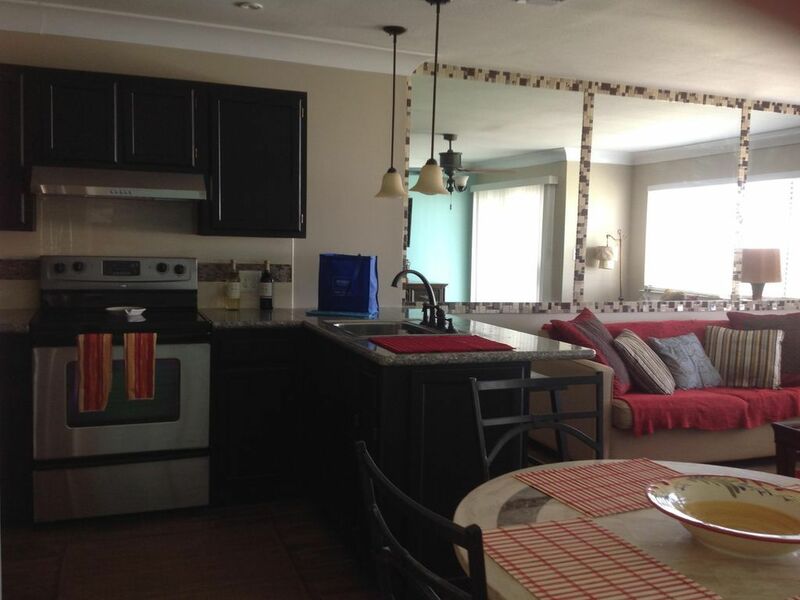 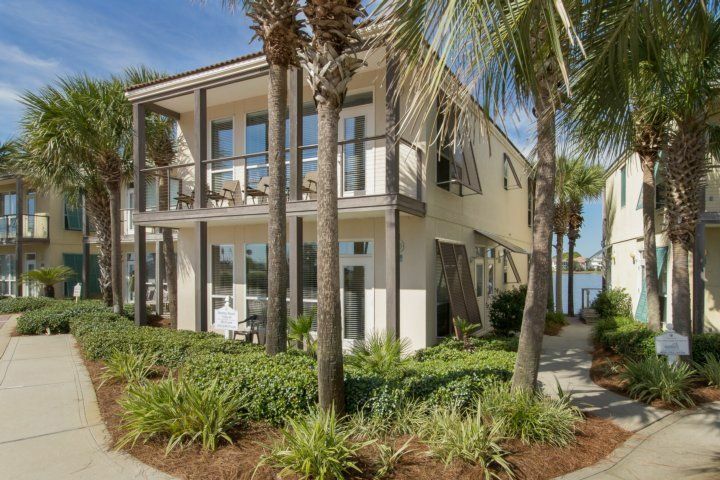 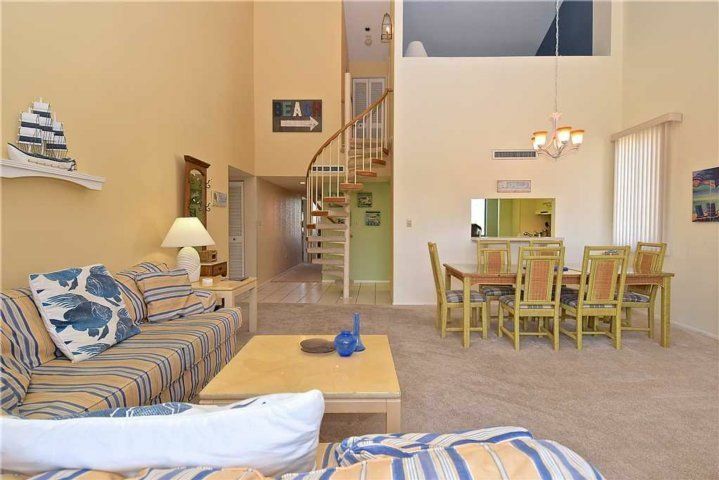 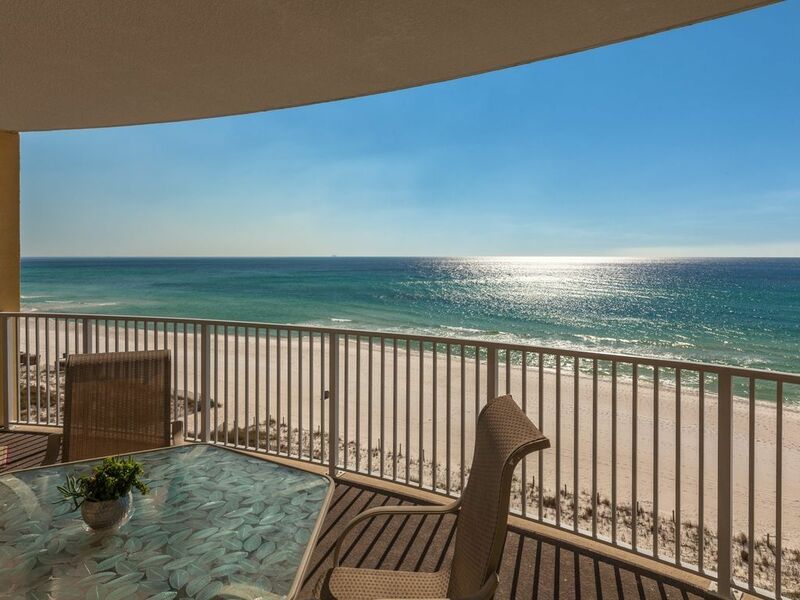 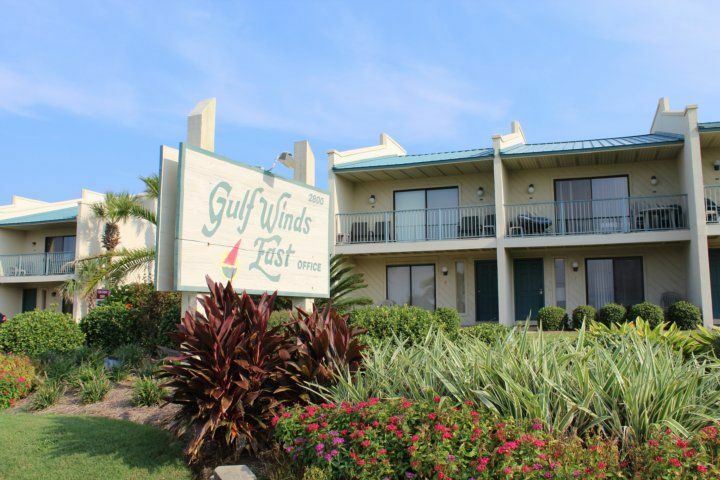 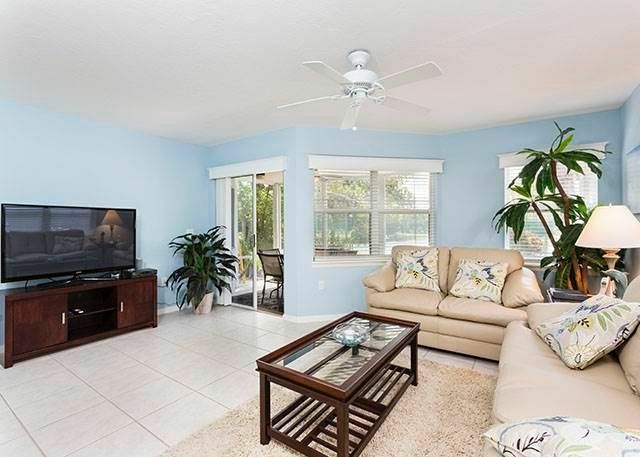 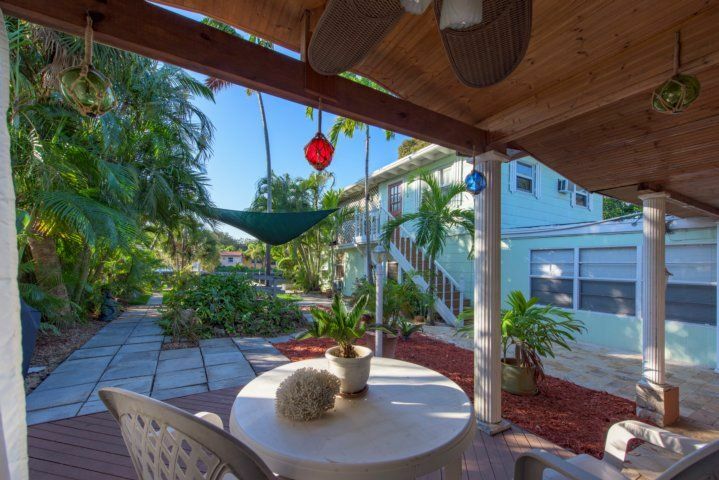 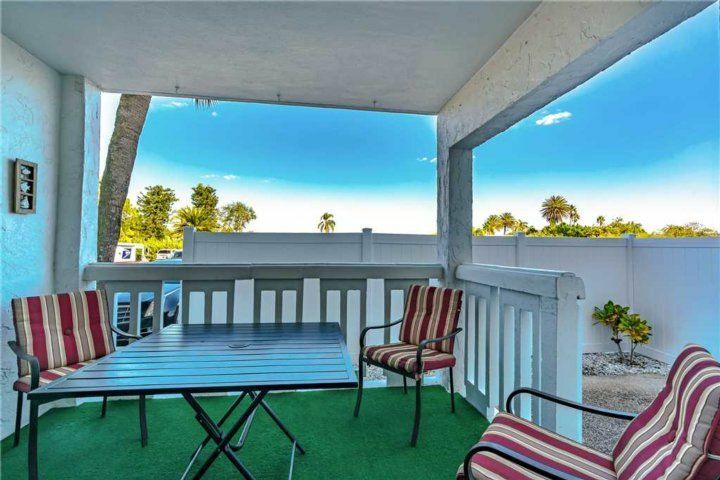 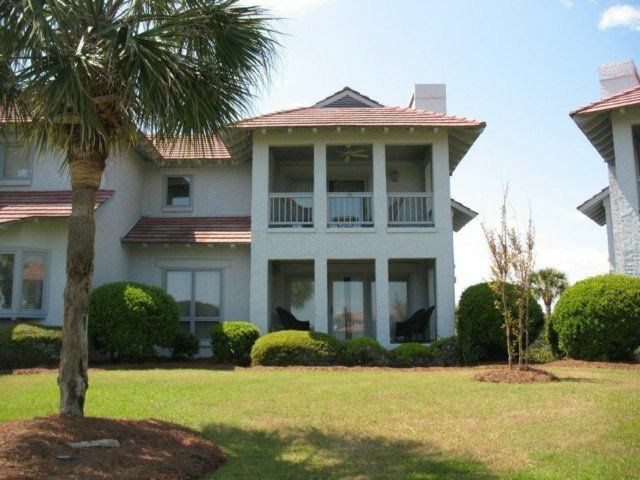 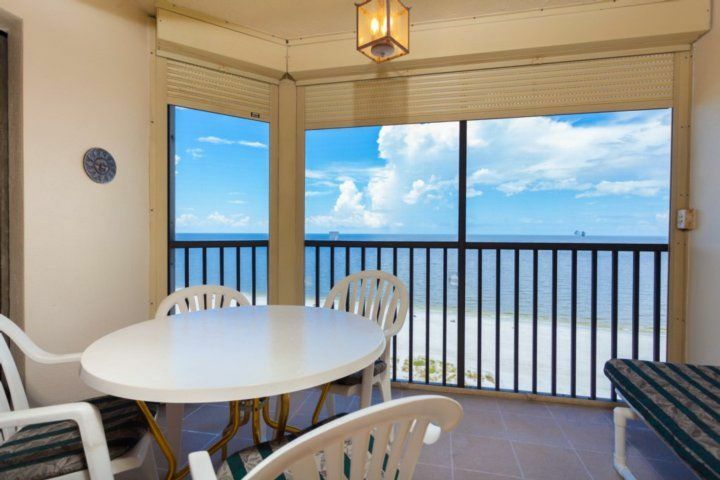 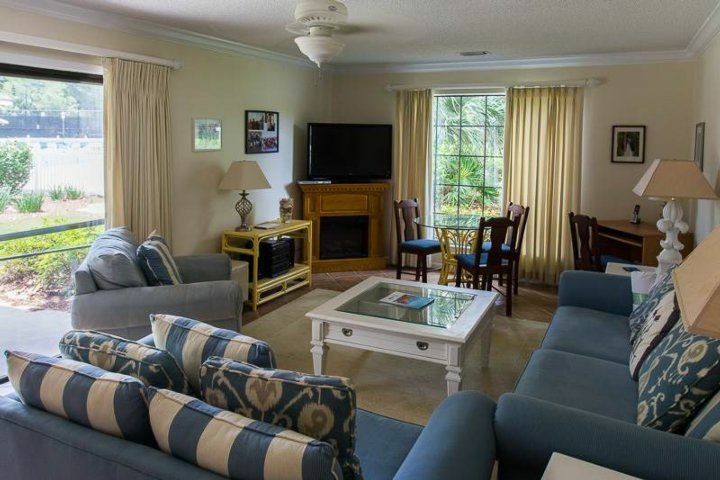 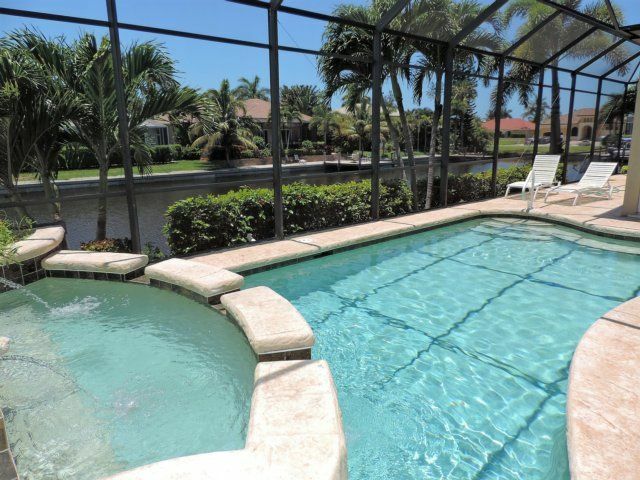 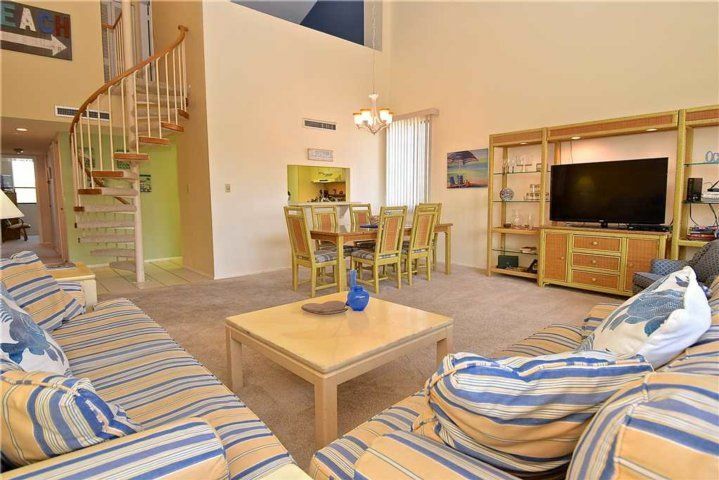 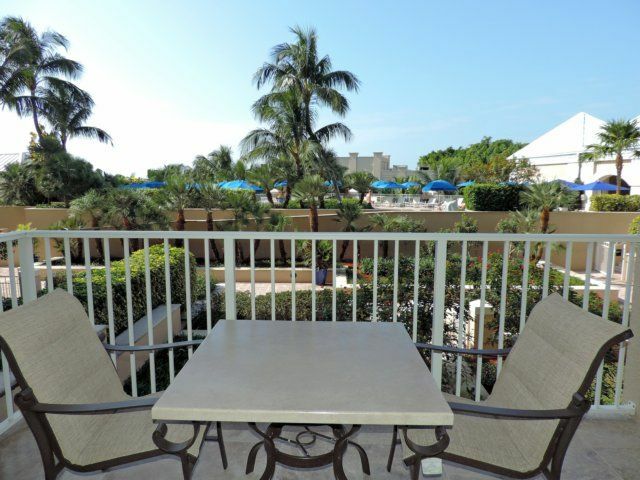 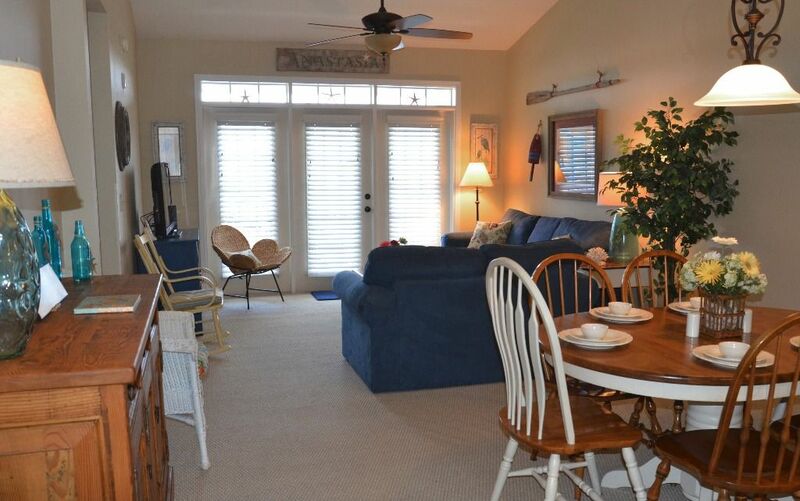 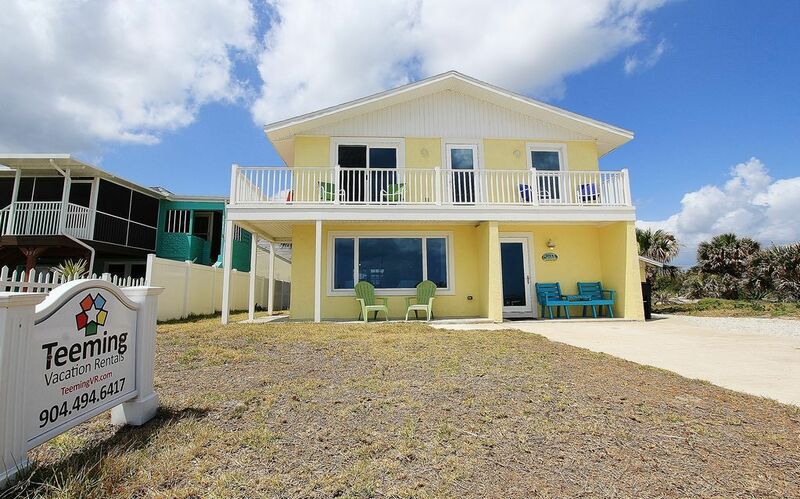 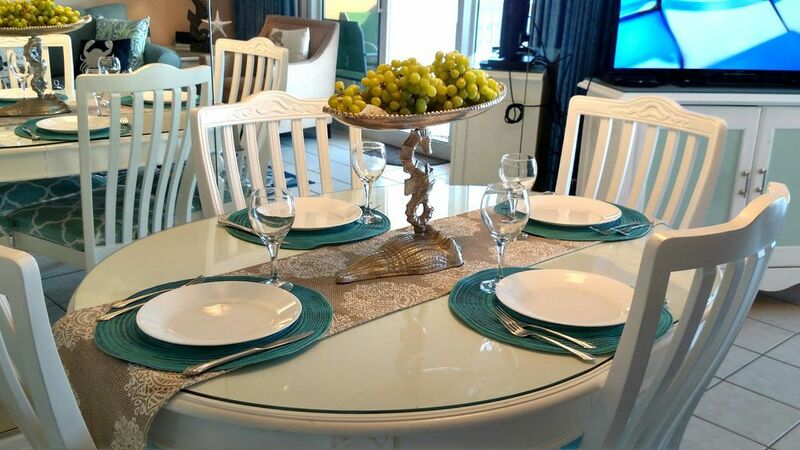 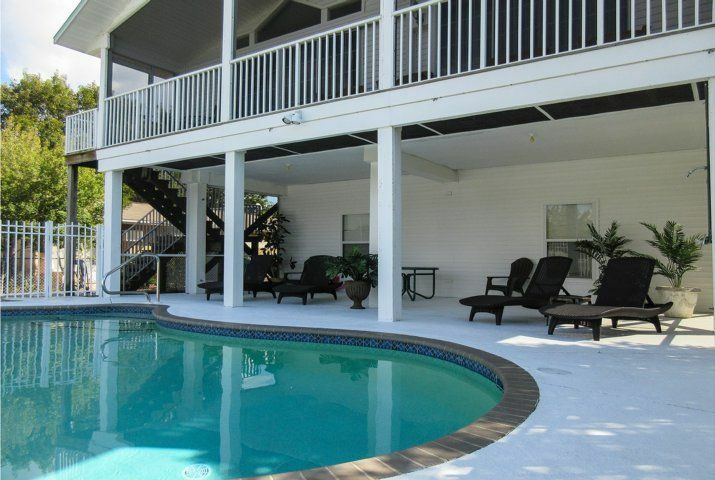 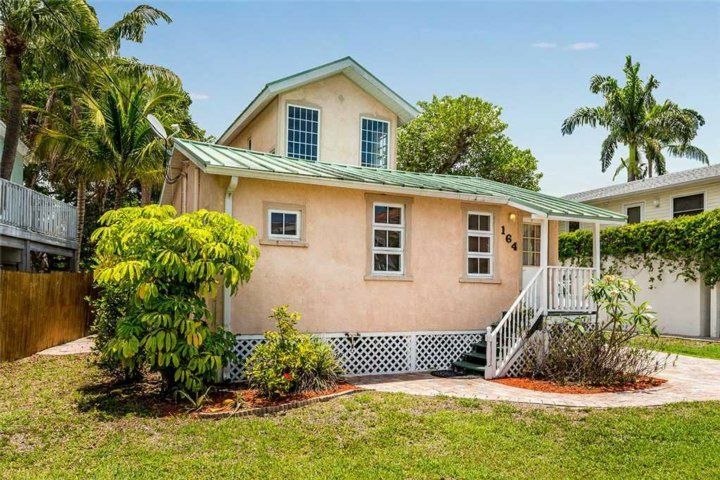 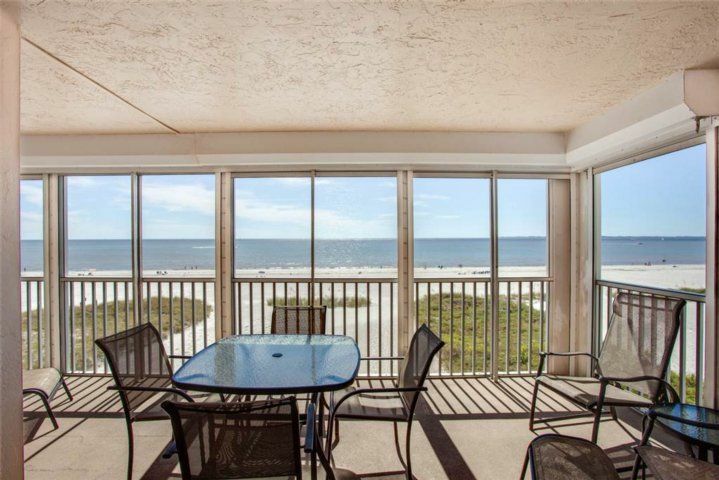 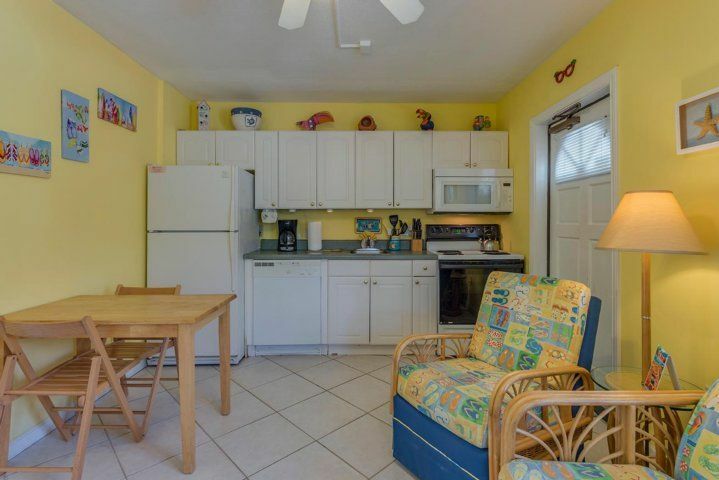 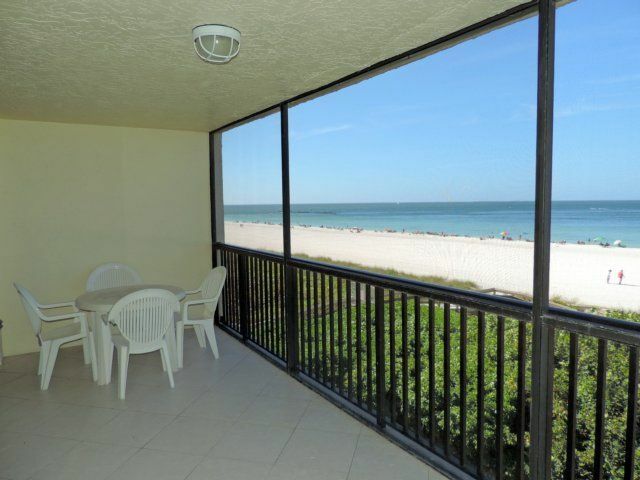 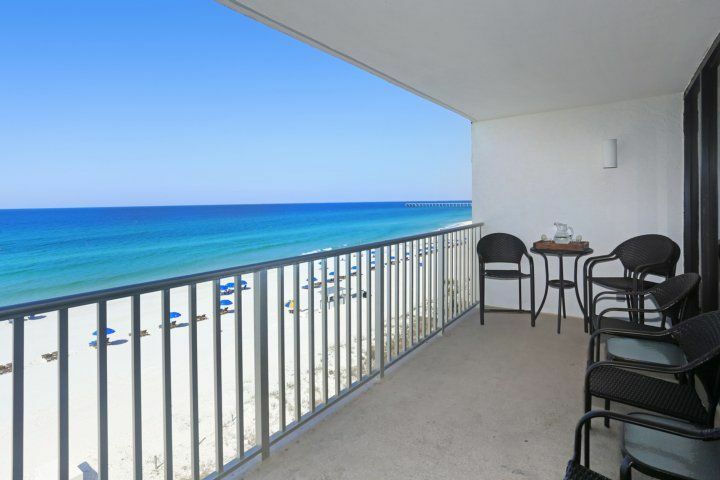 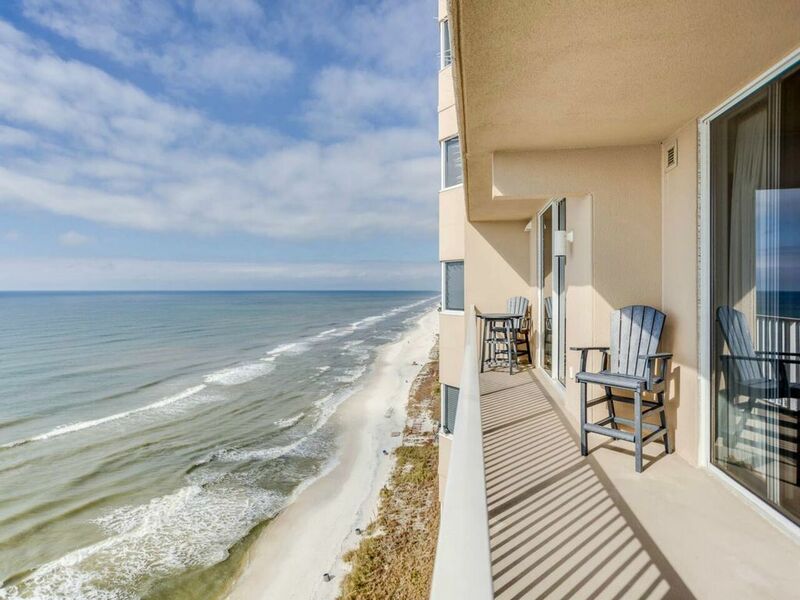 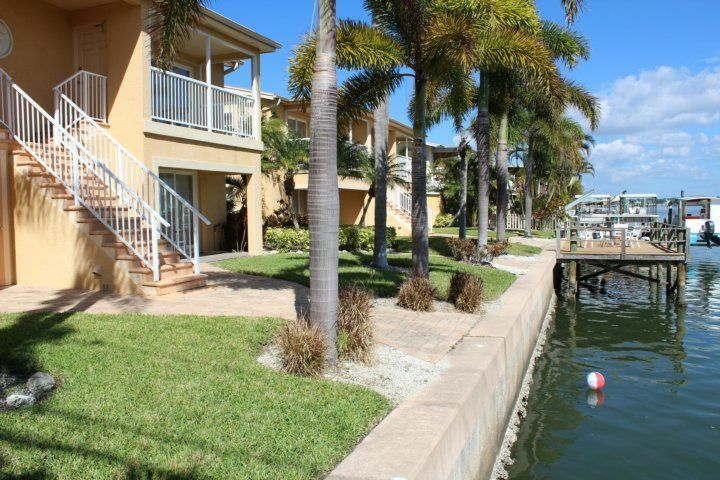 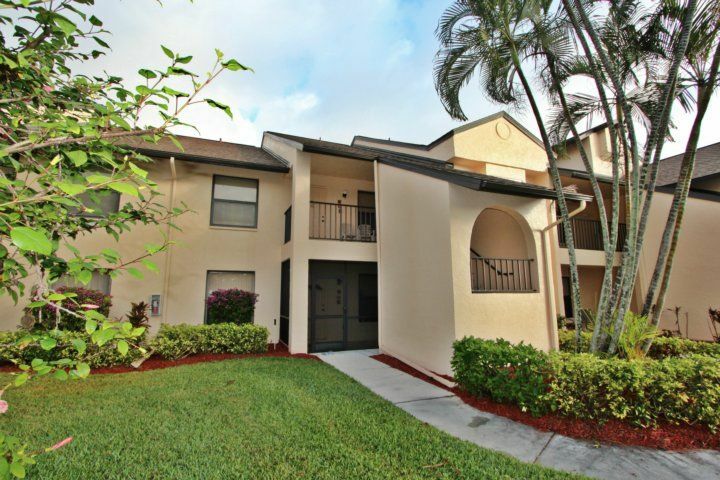 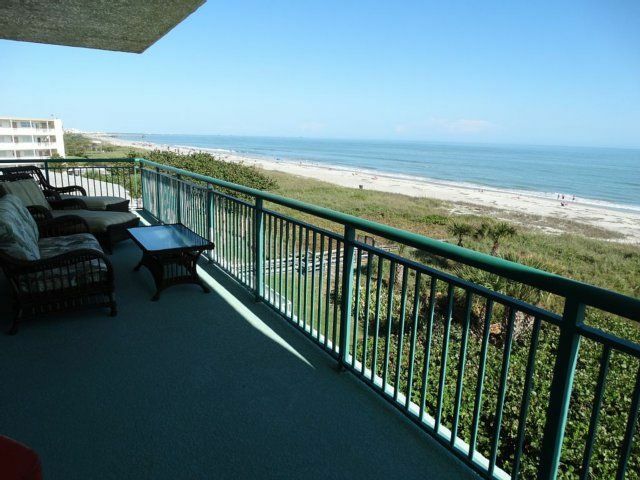 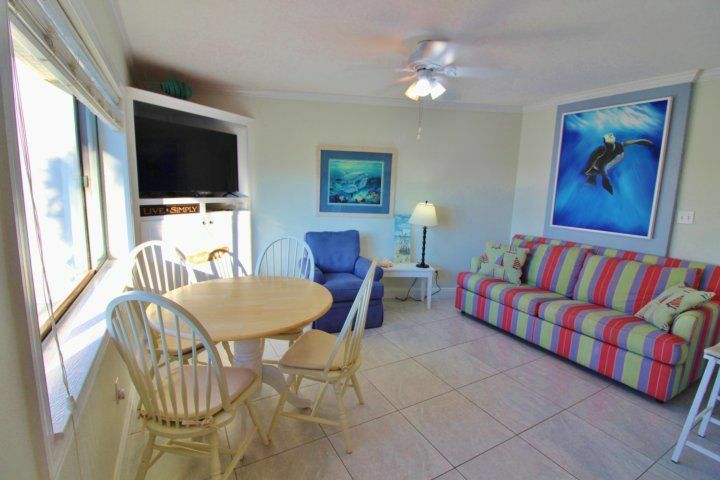 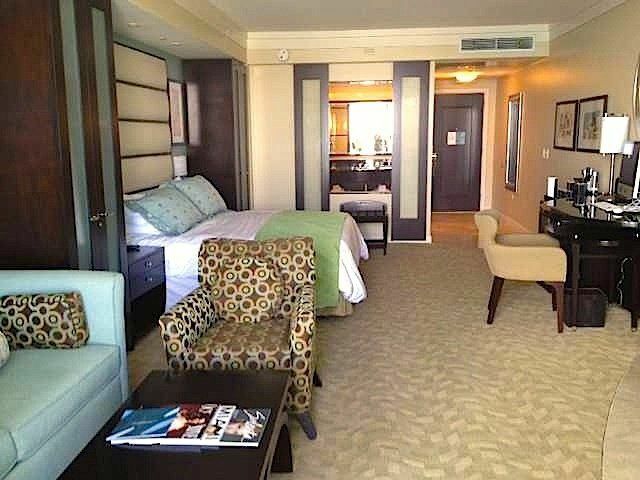 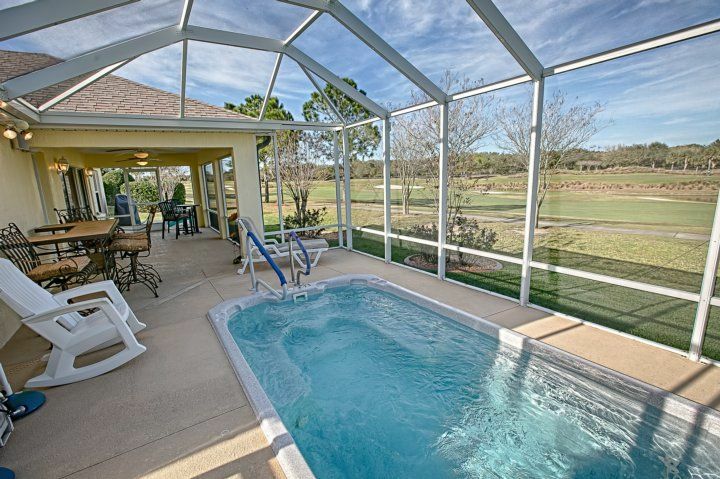 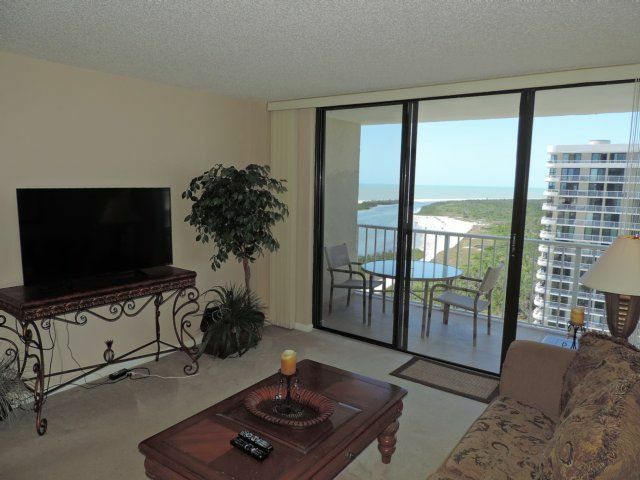 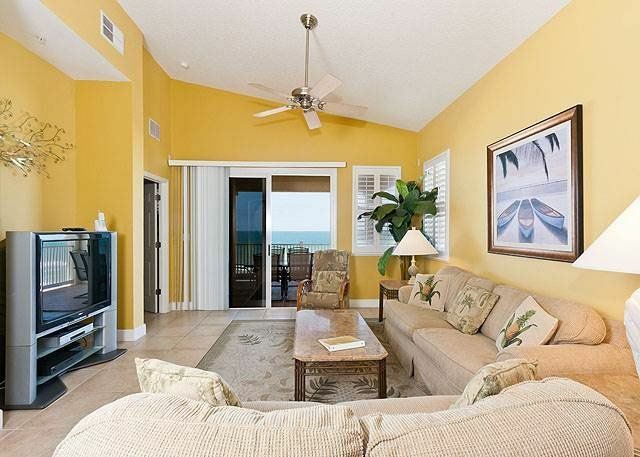 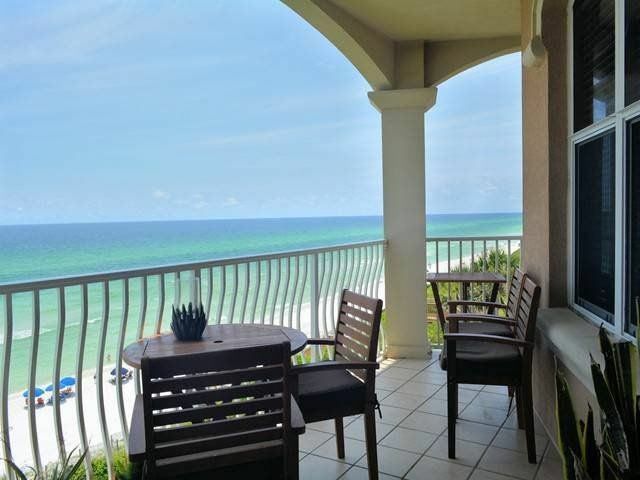 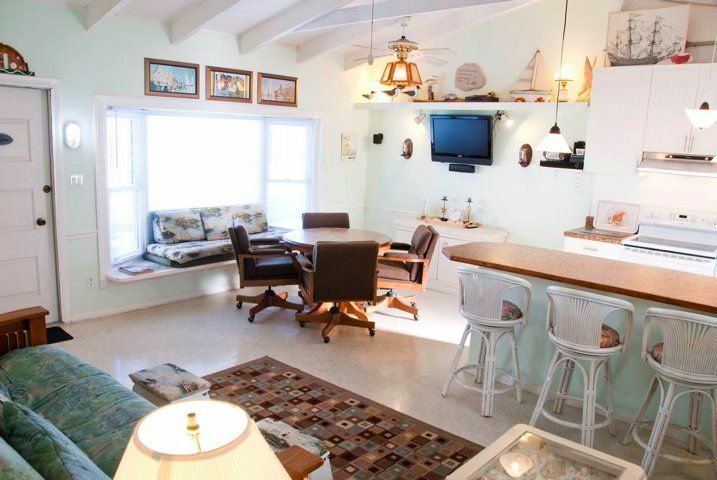 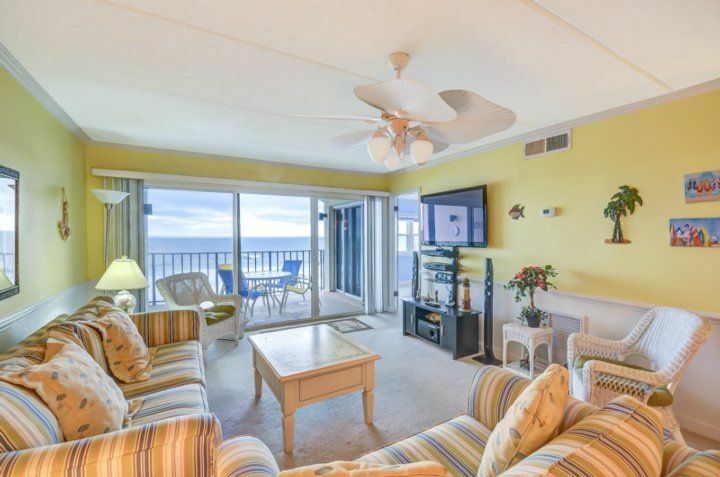 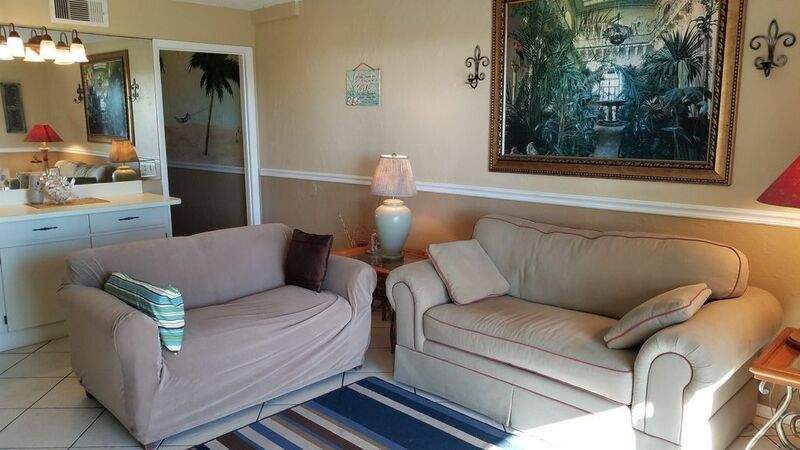 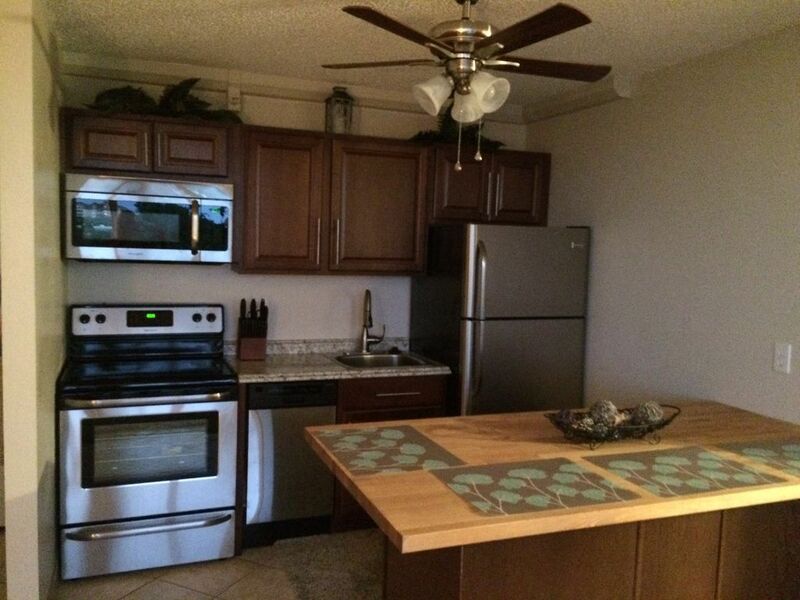 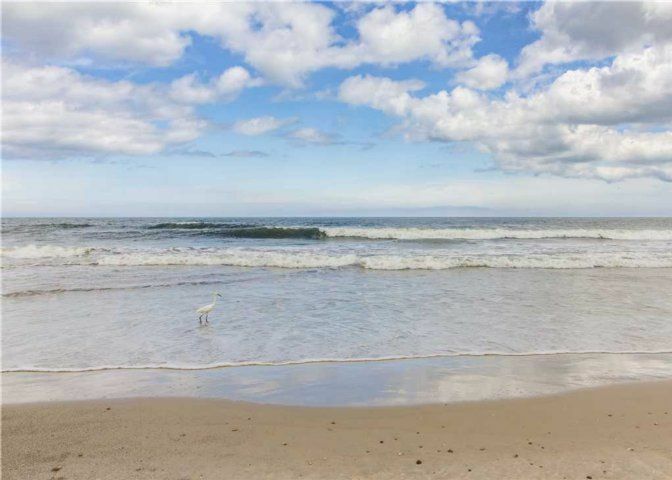 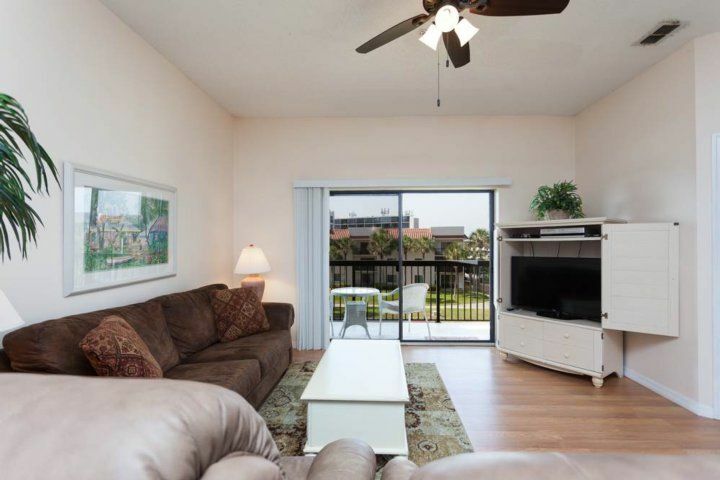 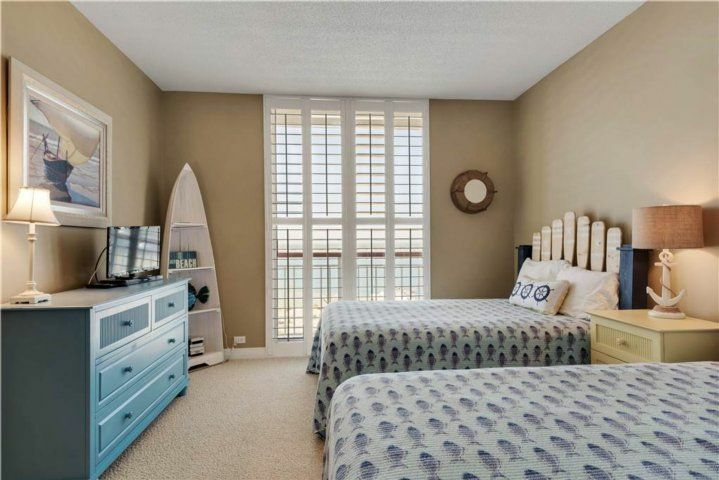 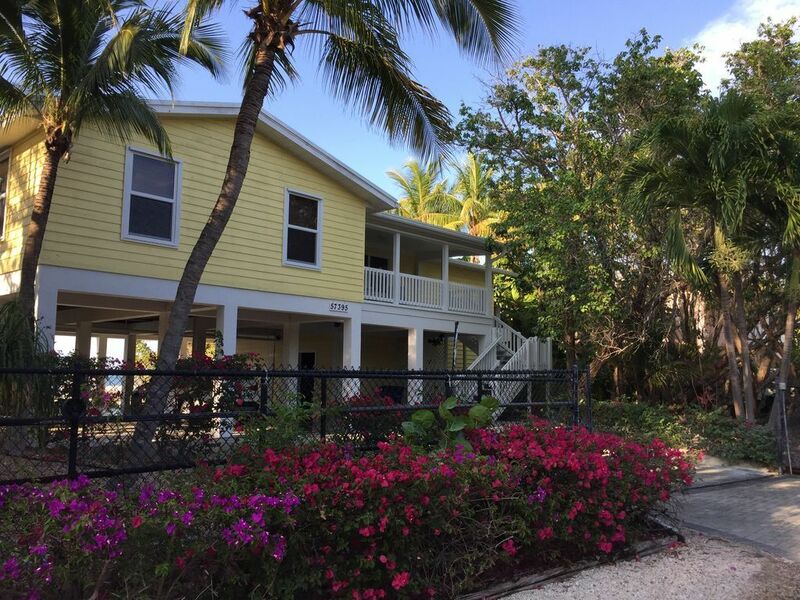 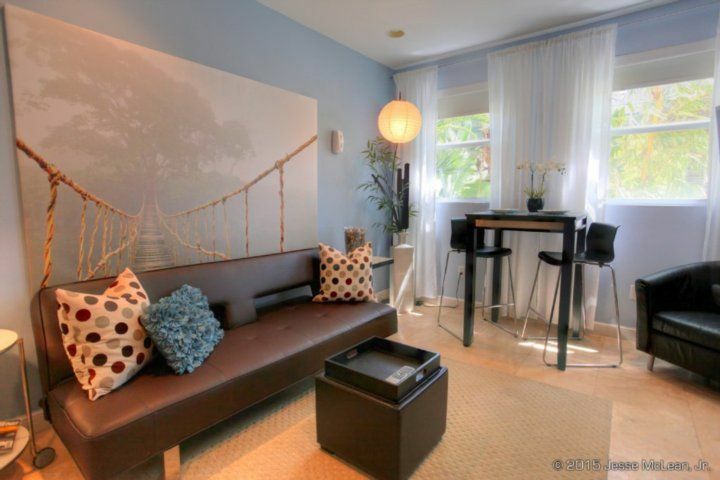 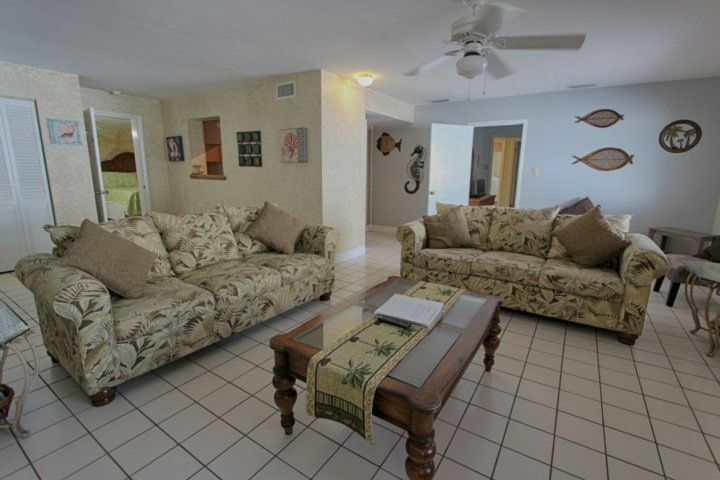 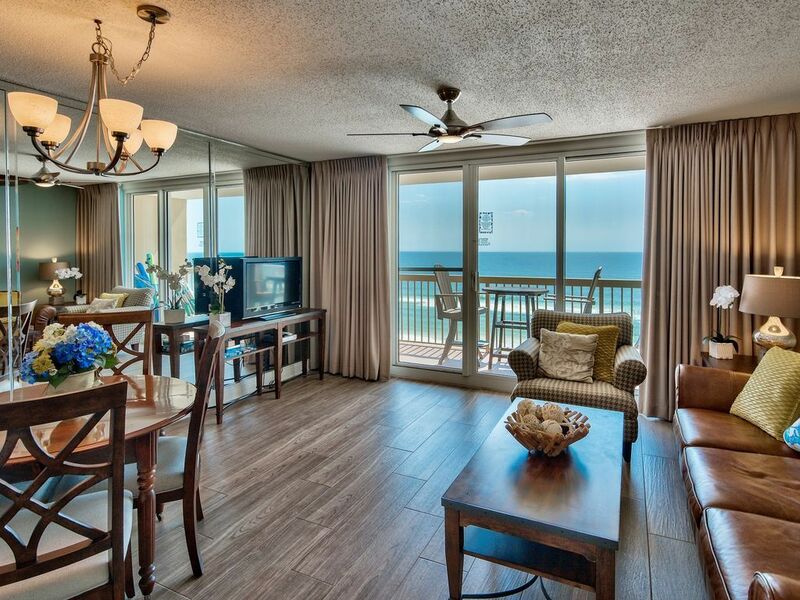 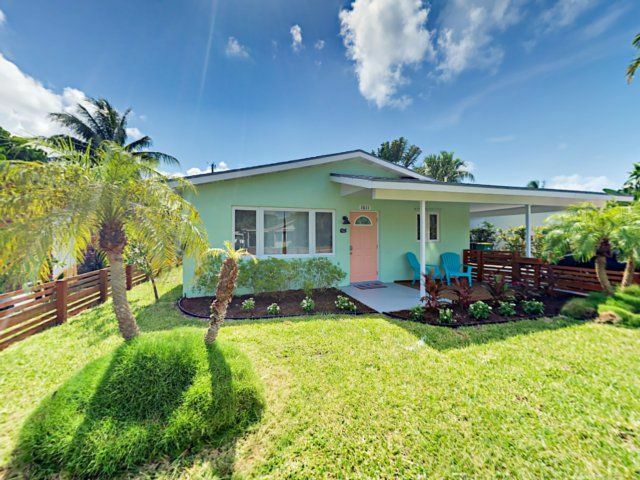 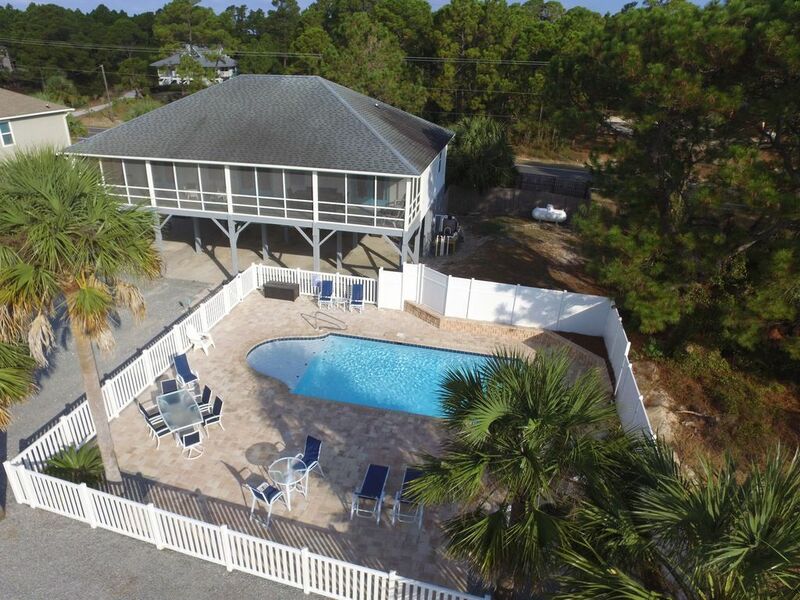 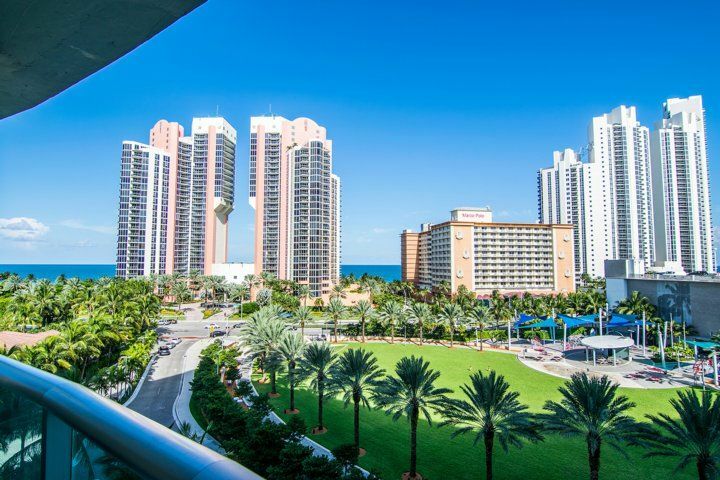 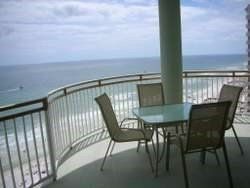 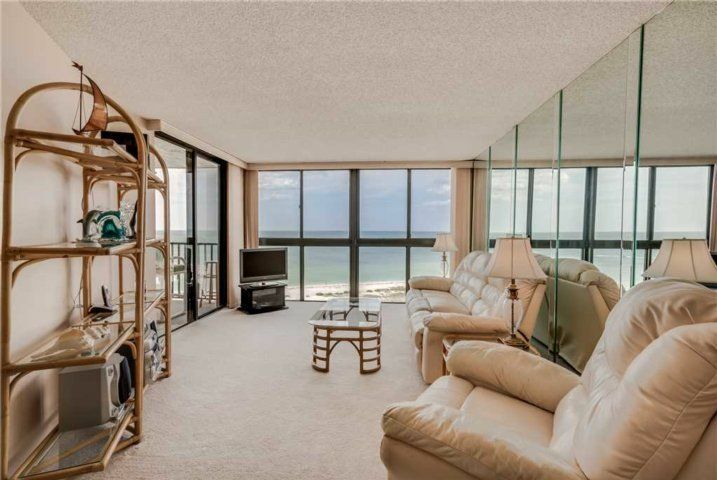 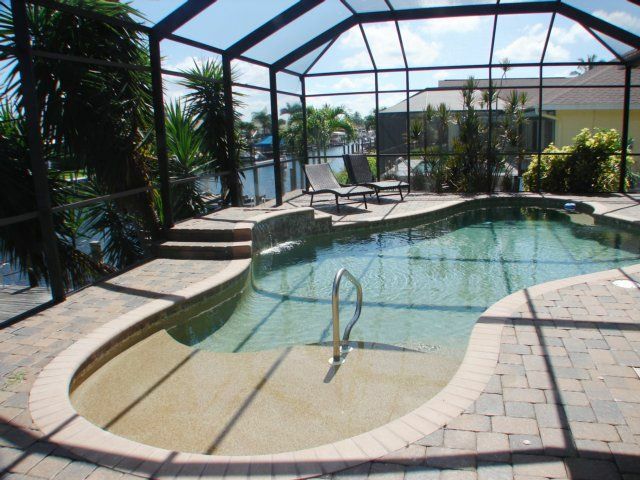 Our 3 bedroom condo sits on a little strip of paradise! 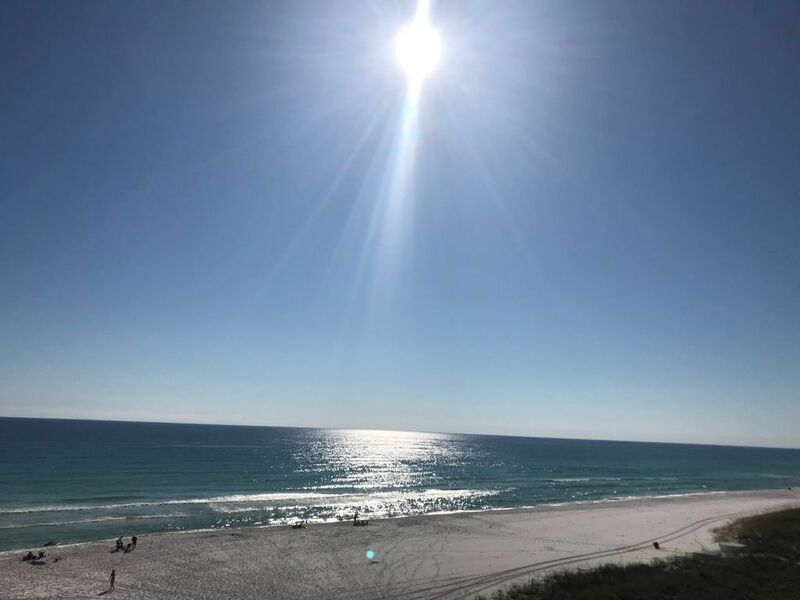 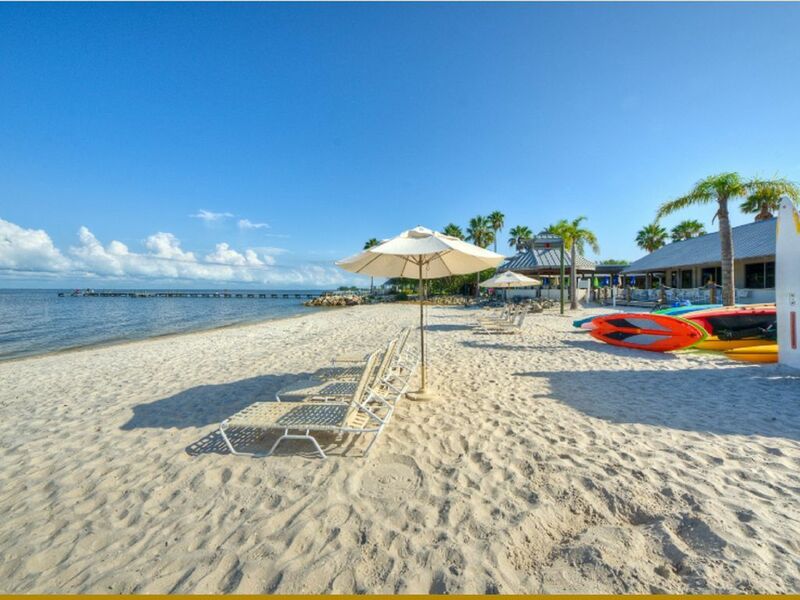 Located in a luxurious resort with everything from heated pools and outdoor grills to private beach access, it's a tropical getaway on one of the world's finest beaches. 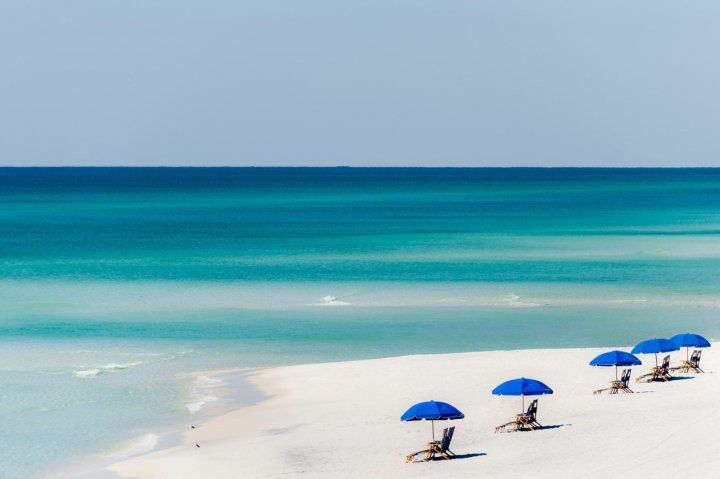 14-day minimum stay required. 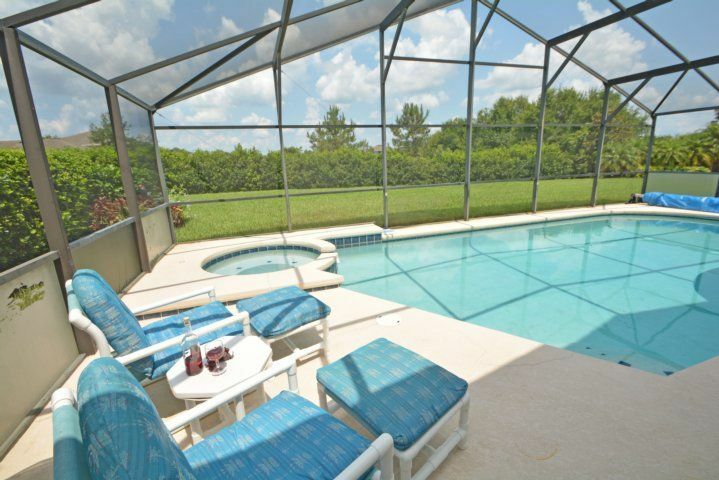 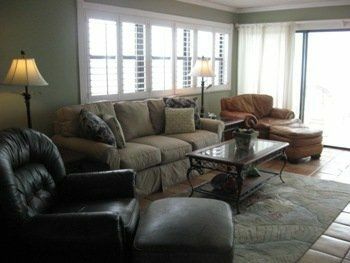 Screened for your comfort, this large outdoor area is, in effect, another room outside. 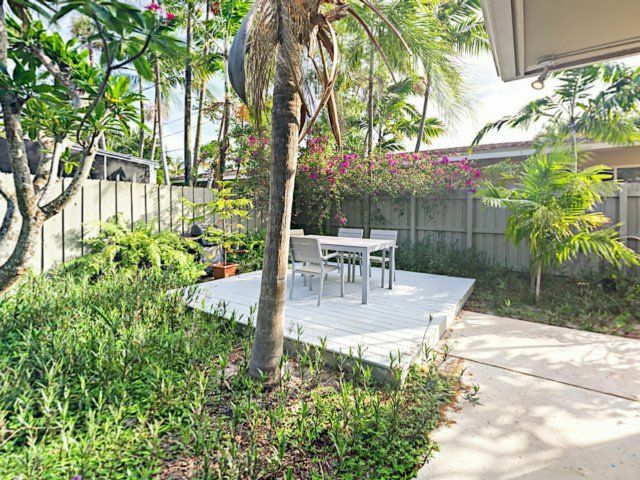 Lovely seating includes deck chairs and a sun lounger - making it a very inviting and flexible space. 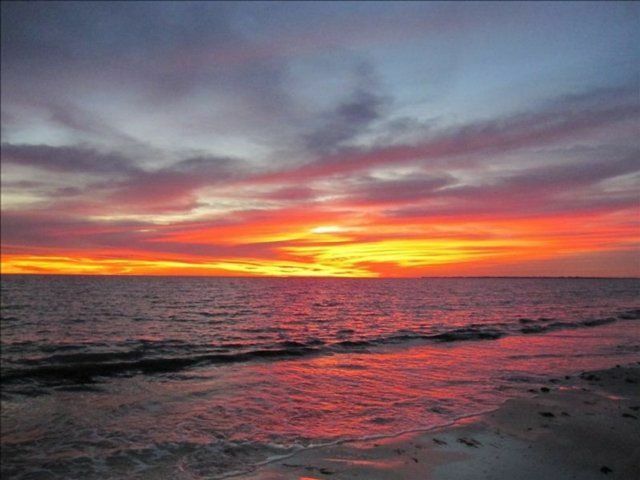 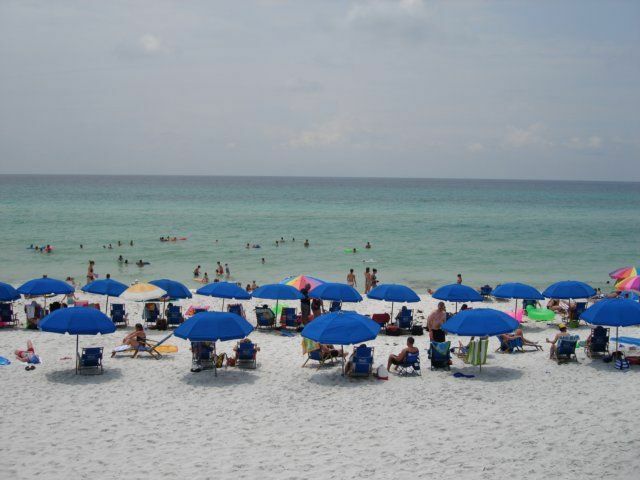 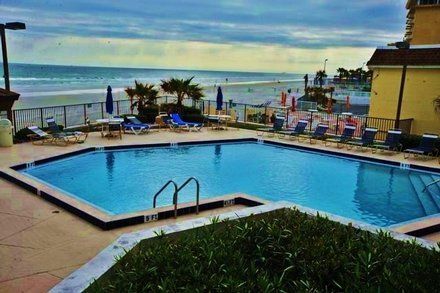 Time spent here is sure to be the highlight of your vacation. 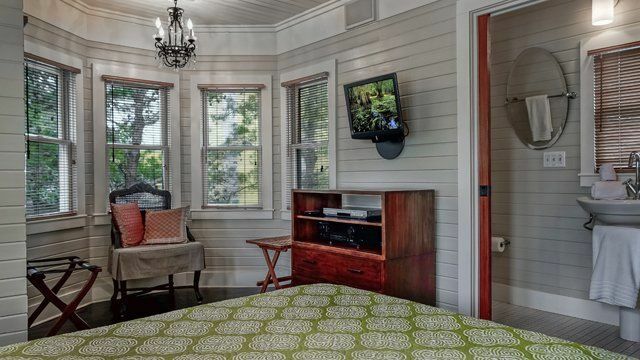 Tucked just inside is a cushioned armchair - the place to finish the book you’ve been waiting for the chance to read. 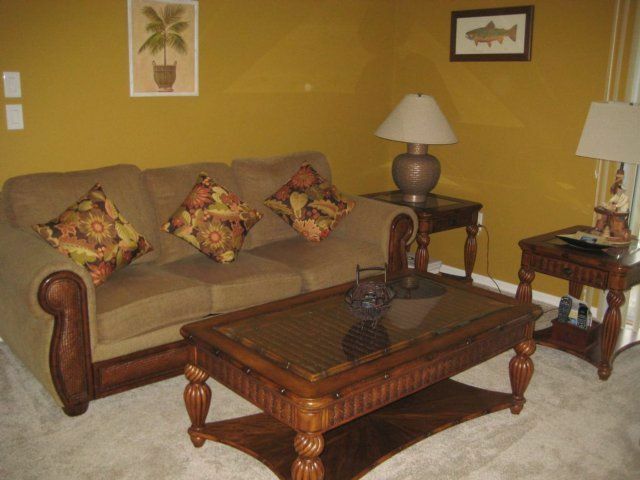 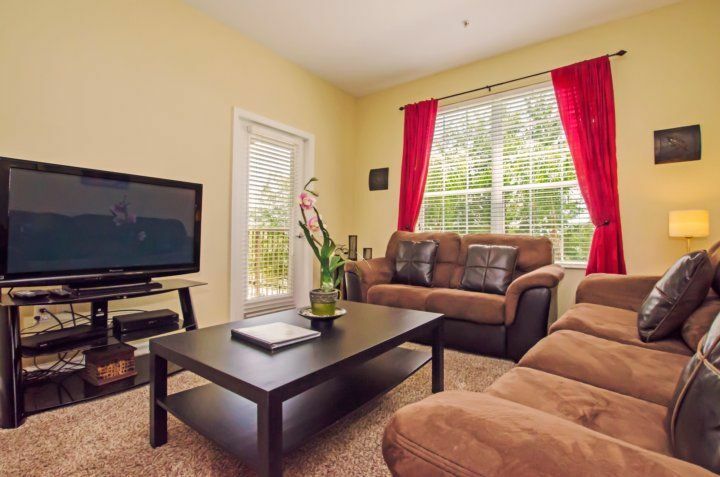 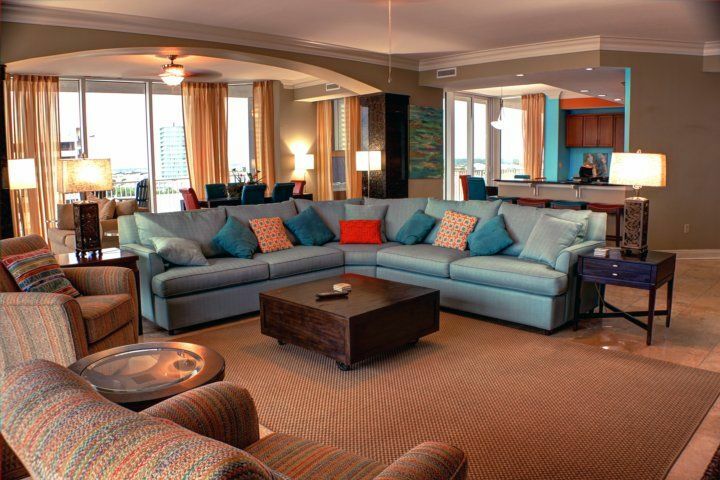 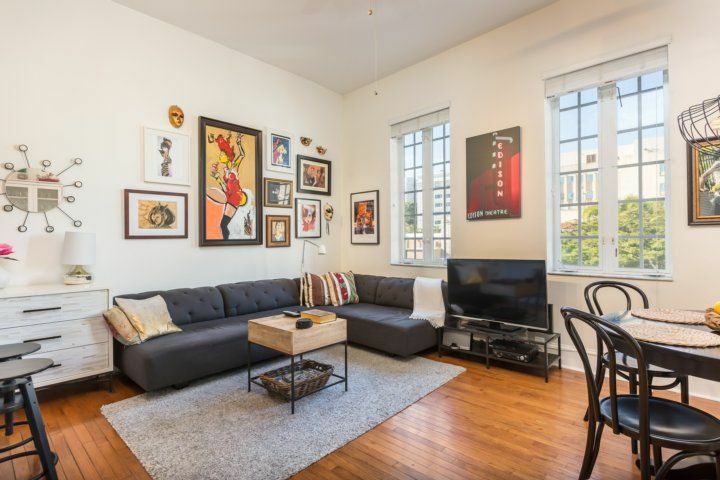 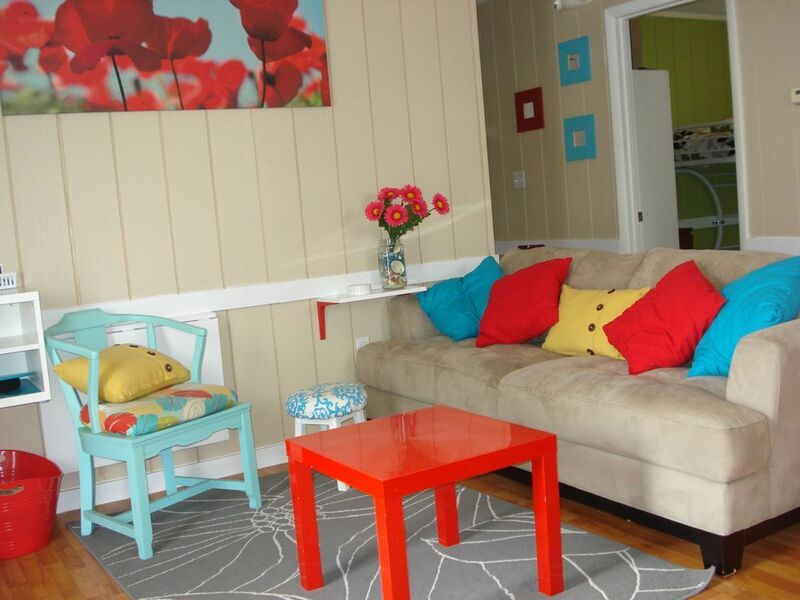 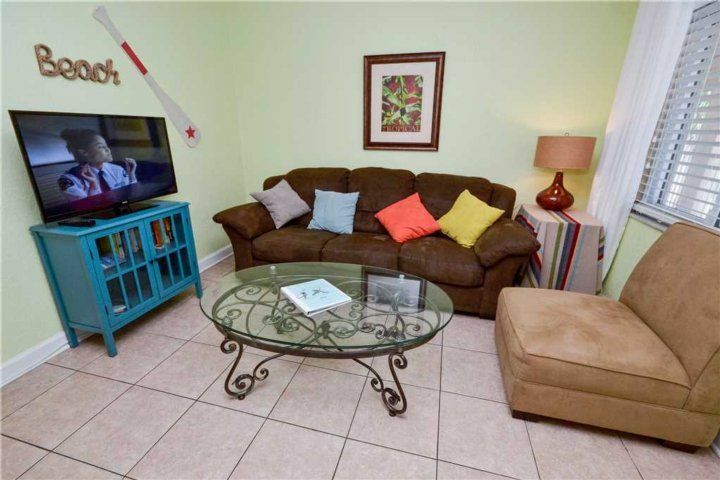 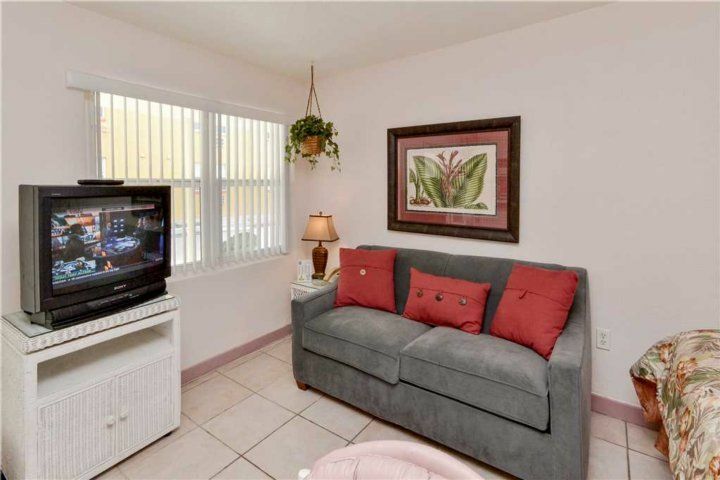 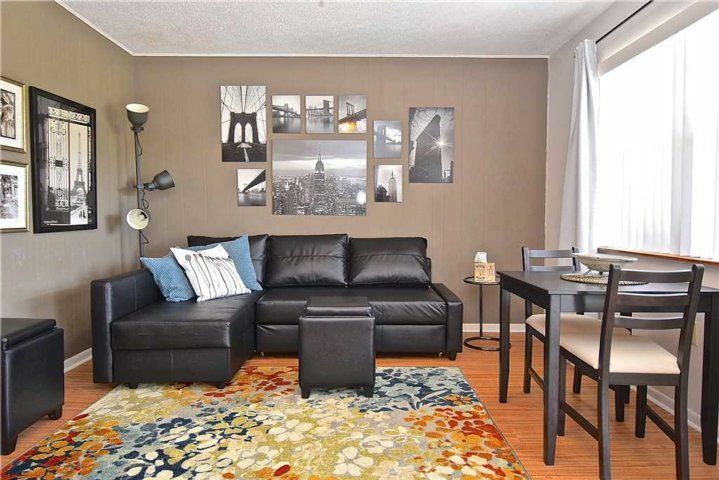 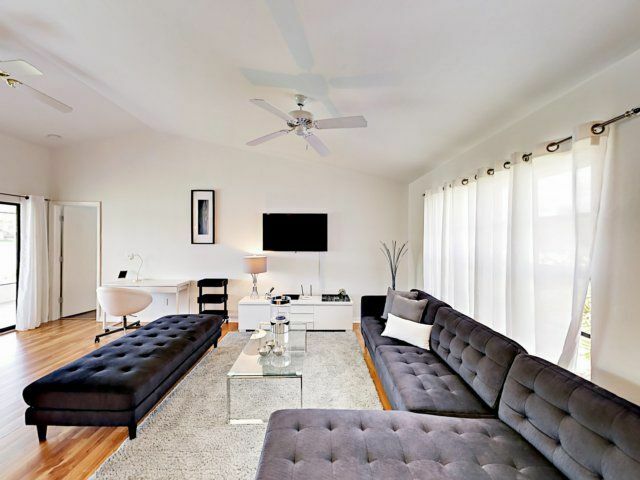 Stretch out on one of the room’s two oversized couches as you enjoy a movie or some TV. 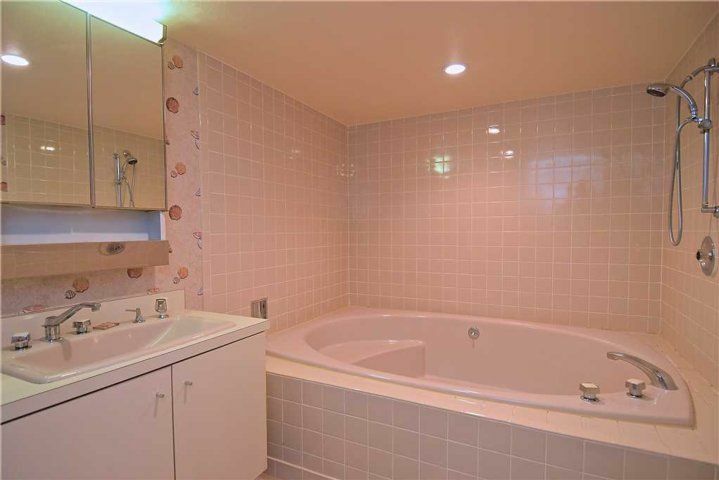 Light paintwork is also well-suited to this climate - and really offsets your new tan. 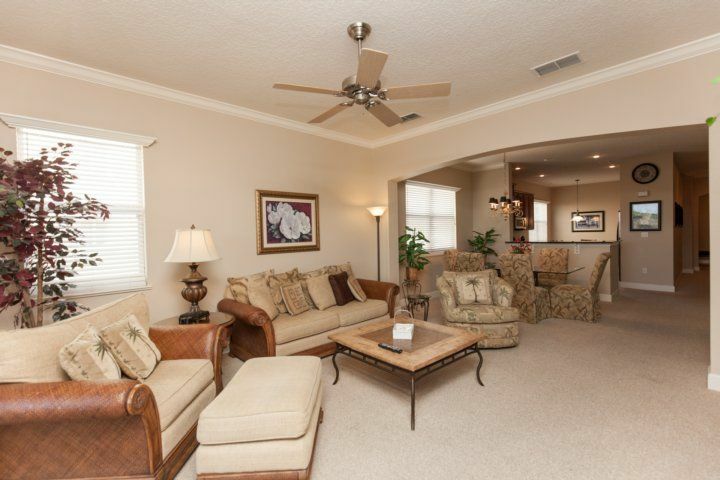 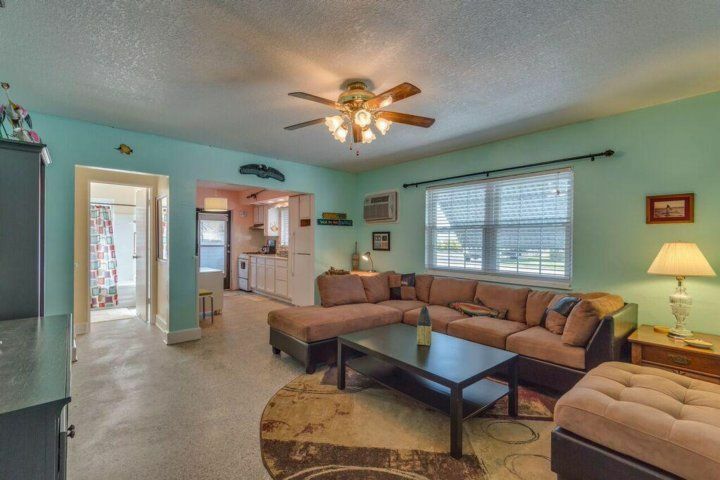 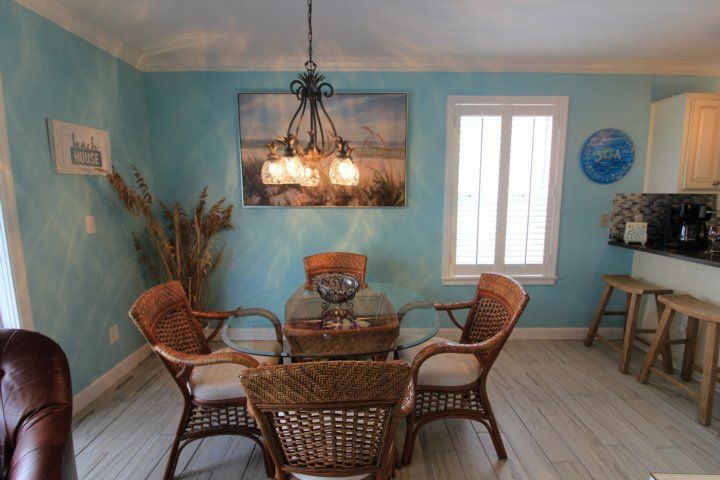 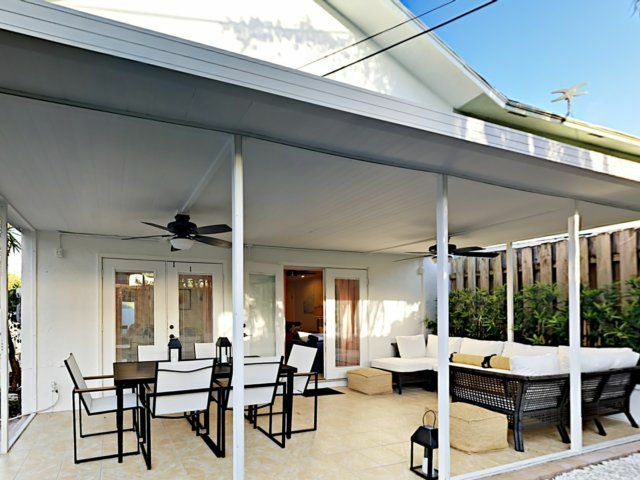 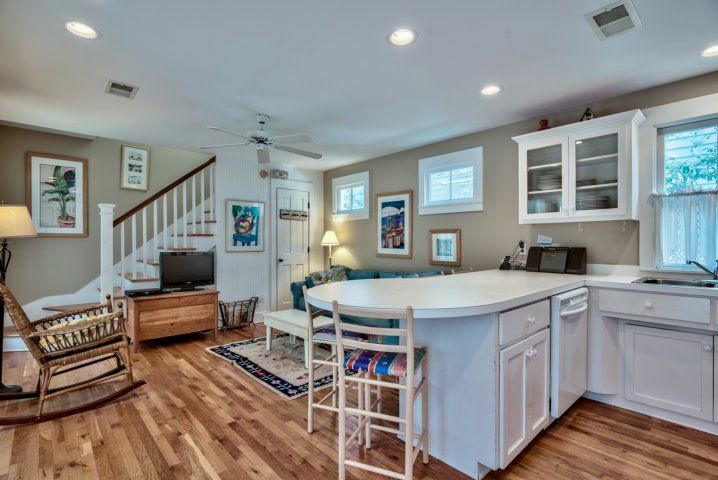 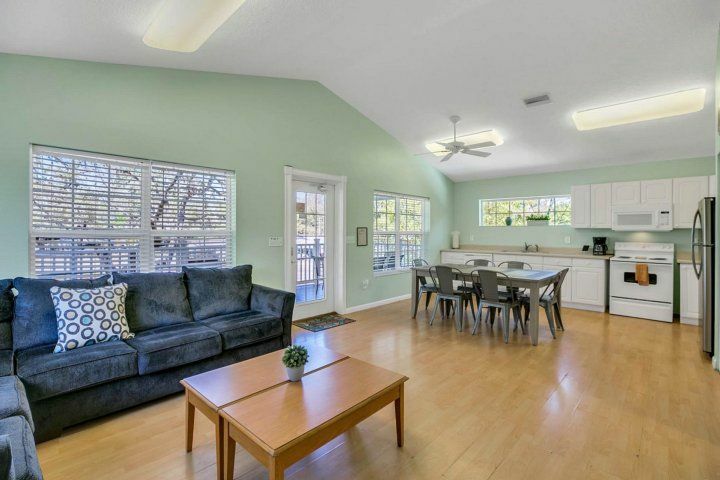 The vaulted ceiling is the perfect place for a ceiling fan, offering up cooling breezes from the bay outside. 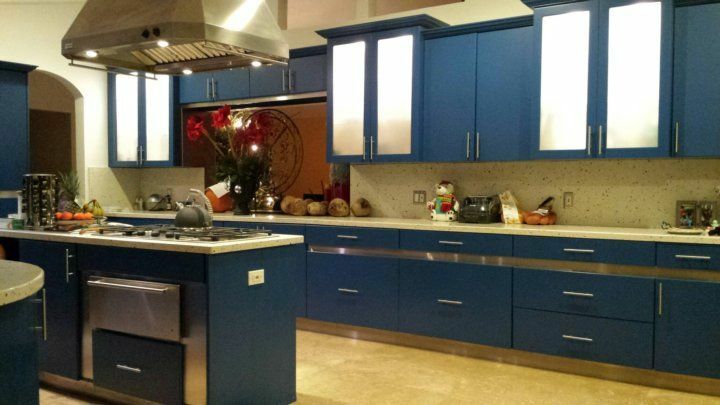 With every cooking and kitchen gadget available for your use - coffee maker, toaster, blender, etc. 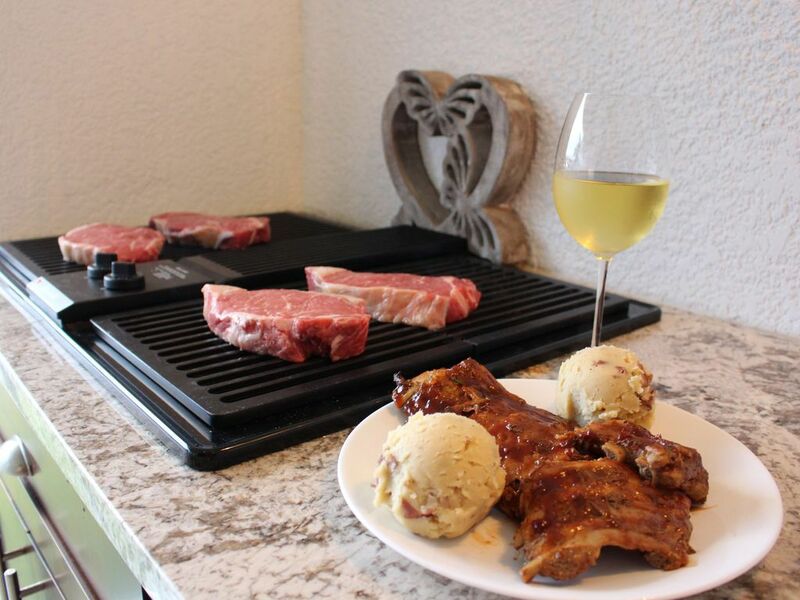 - you only need to Google your favorite BBQ and drink recipes. 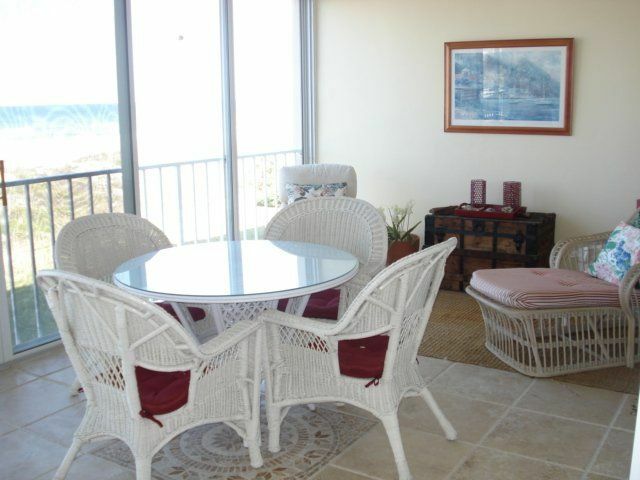 An intimate breakfast nook seats four - a natural segue all morning long for both the early and late risers. 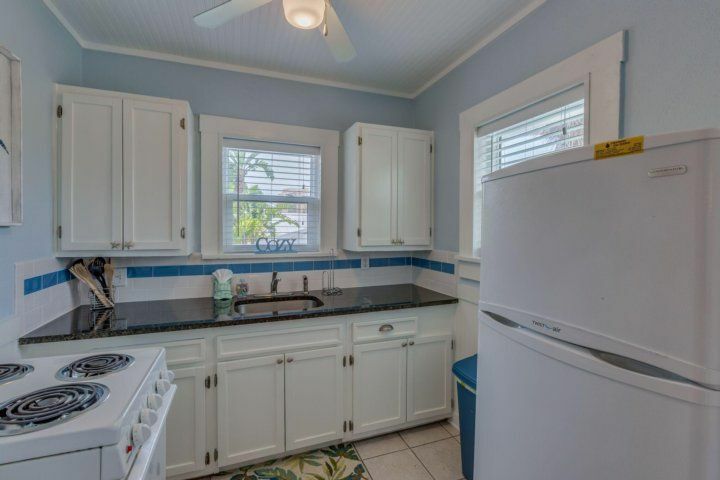 Next, to the coffee pot and toaster, it’s a great place to plan your day under a large, sunny window. 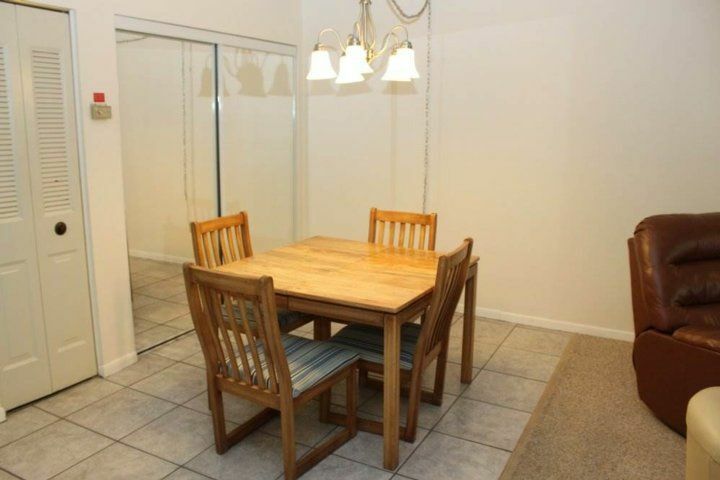 Alternatively, a rectangular dining table seats atop chairs. 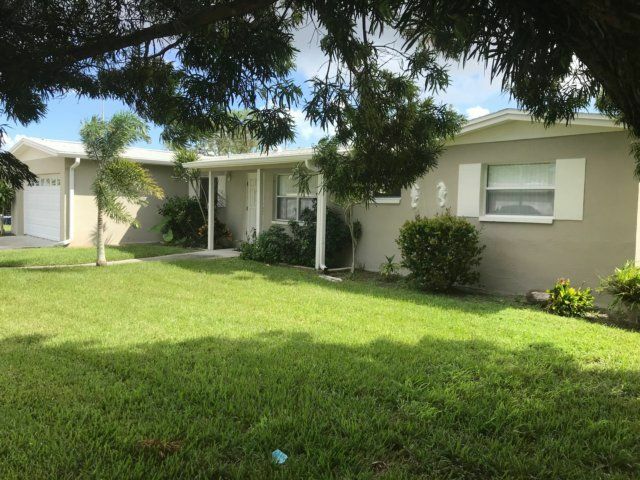 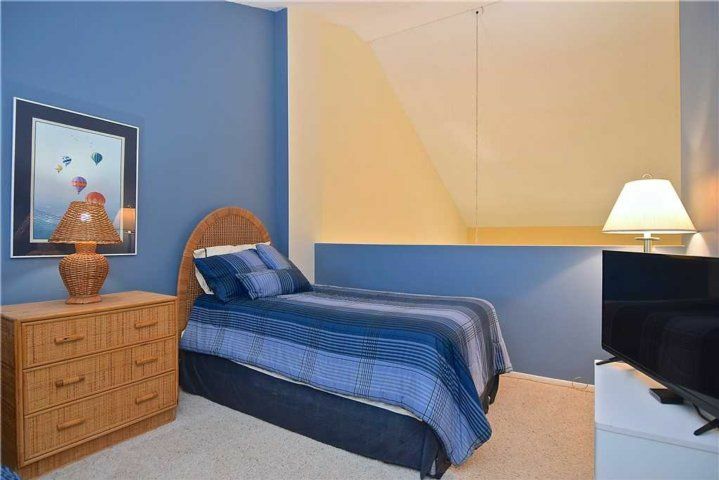 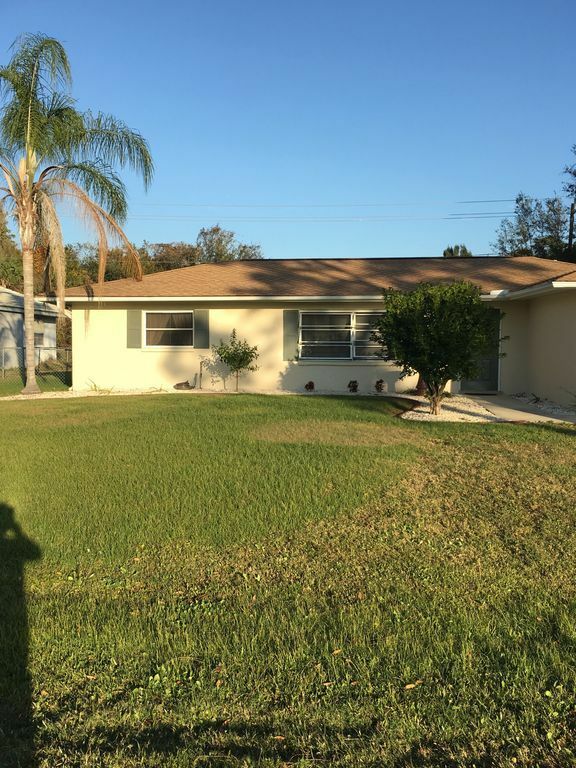 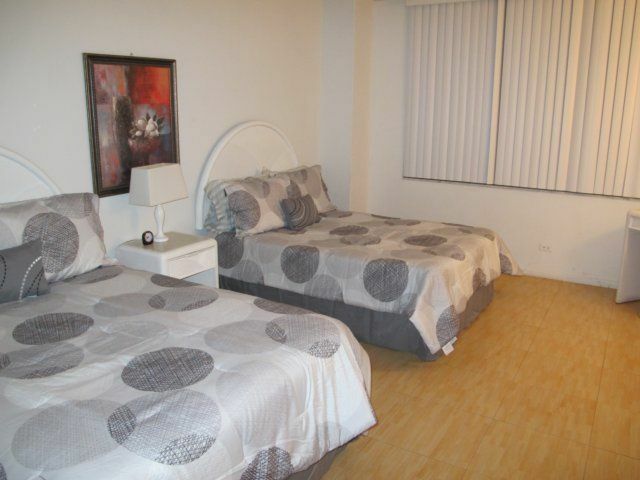 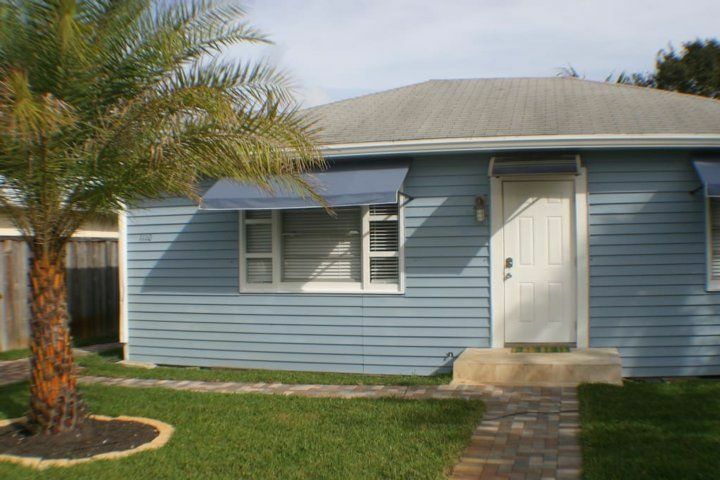 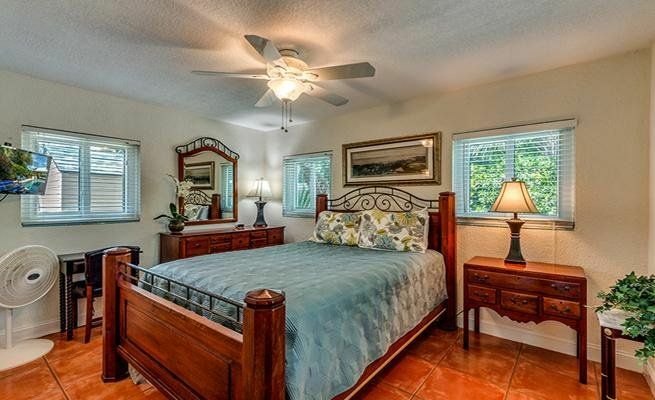 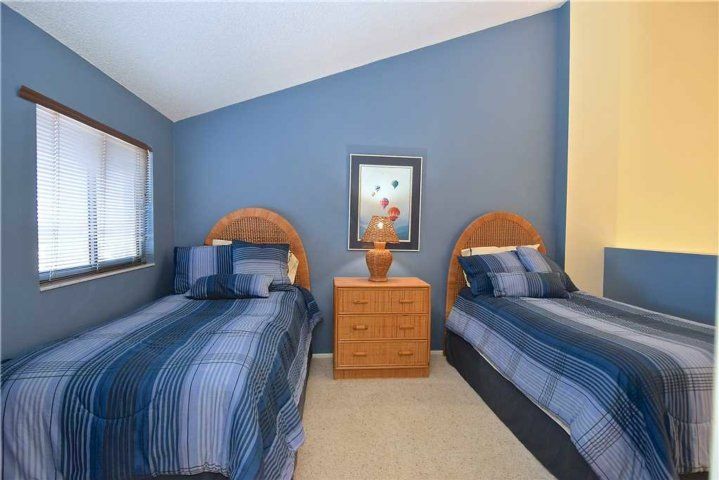 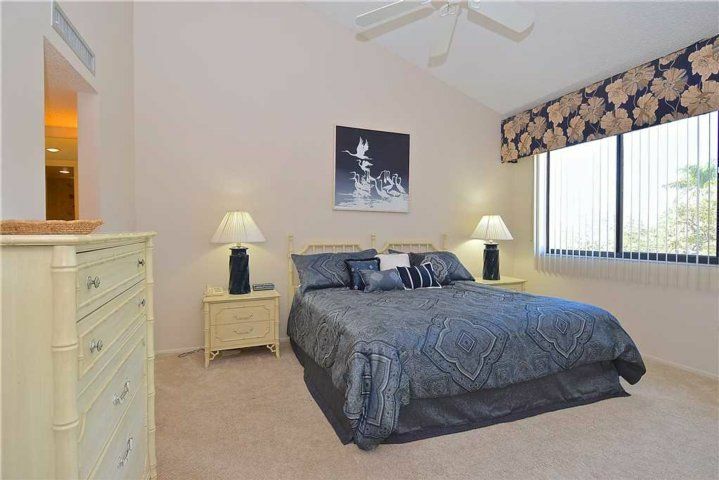 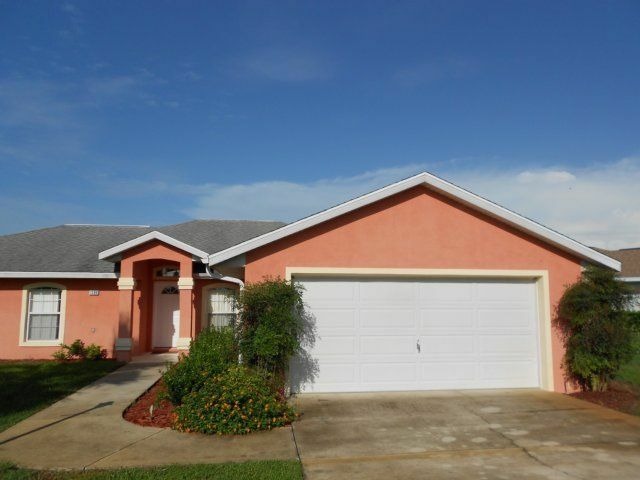 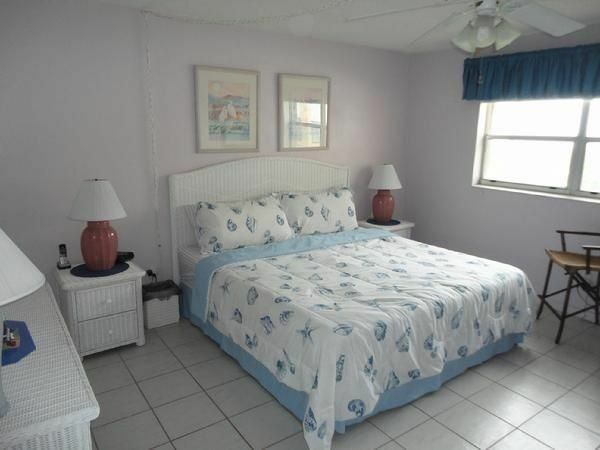 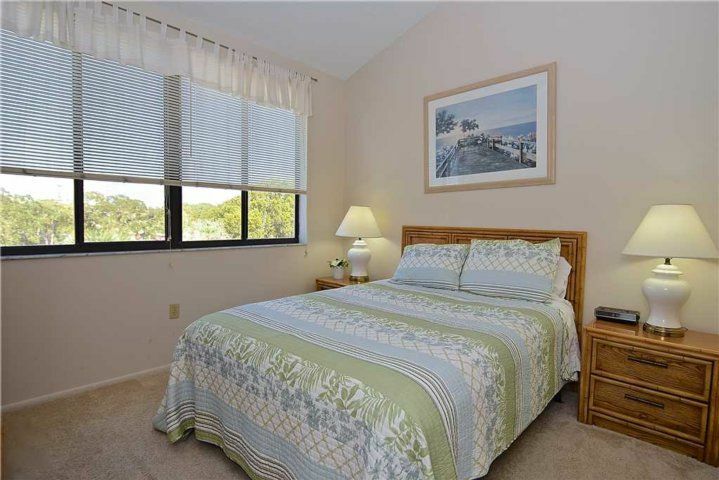 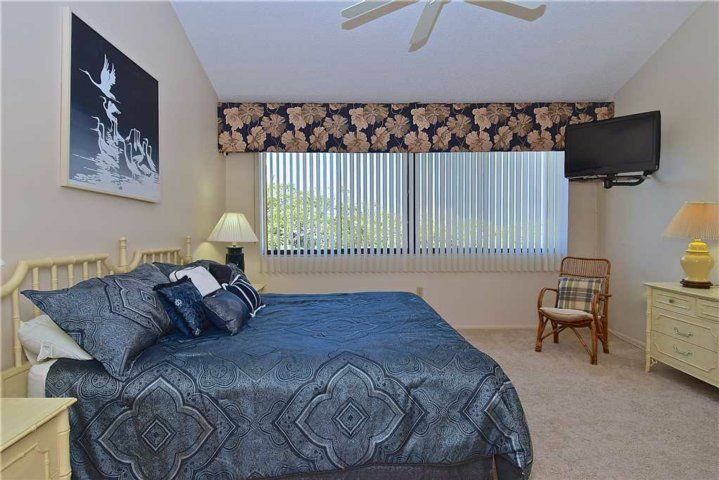 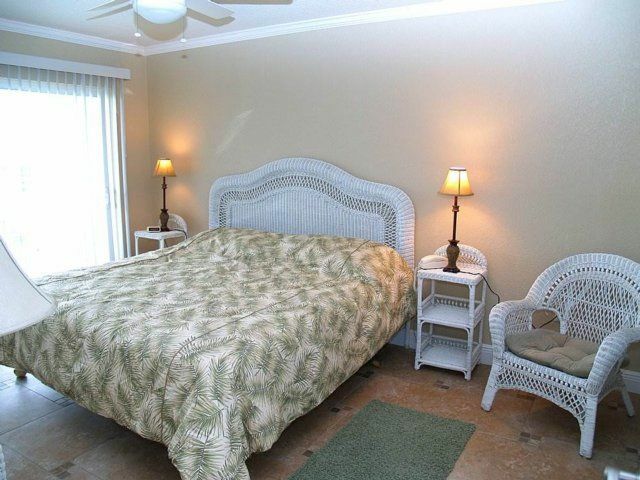 Three bedrooms provide the choice of a king bed in the master suite or a queen bed in the 2nd bedroom room. 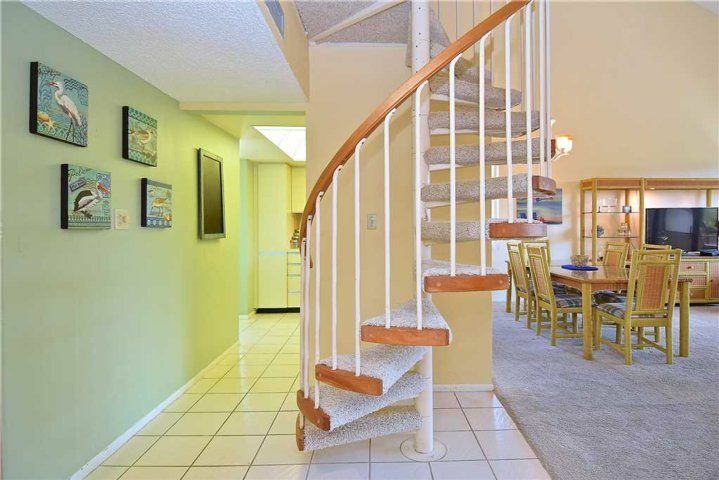 A spiral staircase takes you to a third bedroom loft area that is perfect for kids or another younger couple. 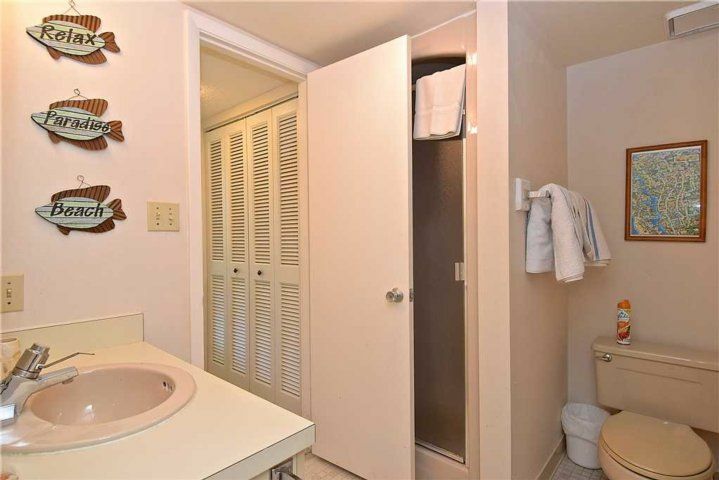 Ample storage allows you to fully move in during the course of your stay - you’ll love the walk-in closet. 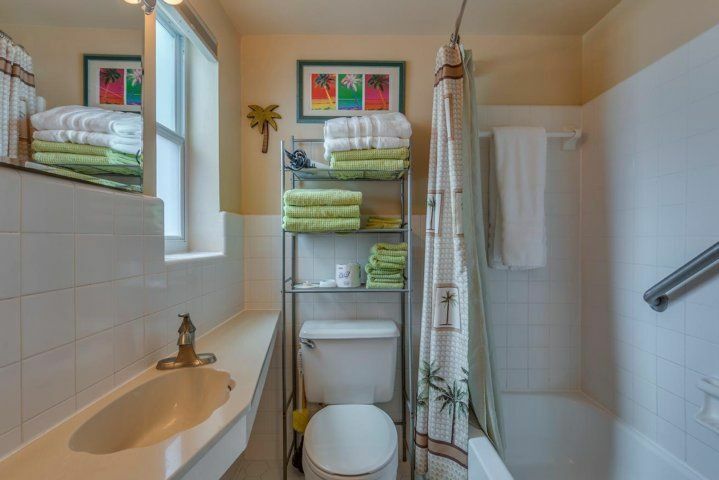 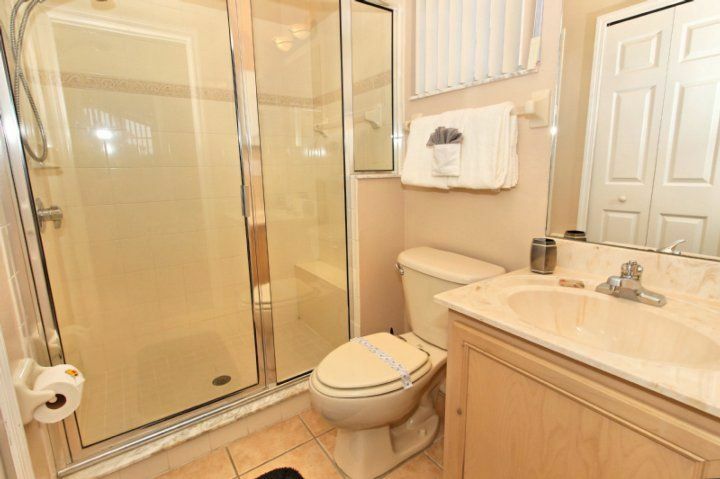 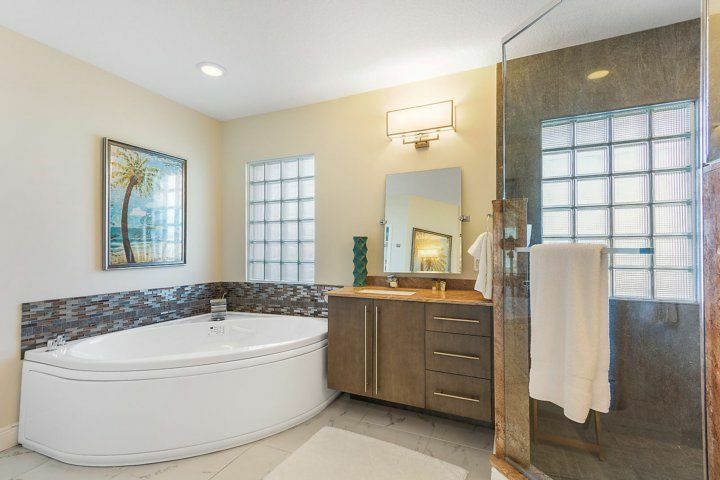 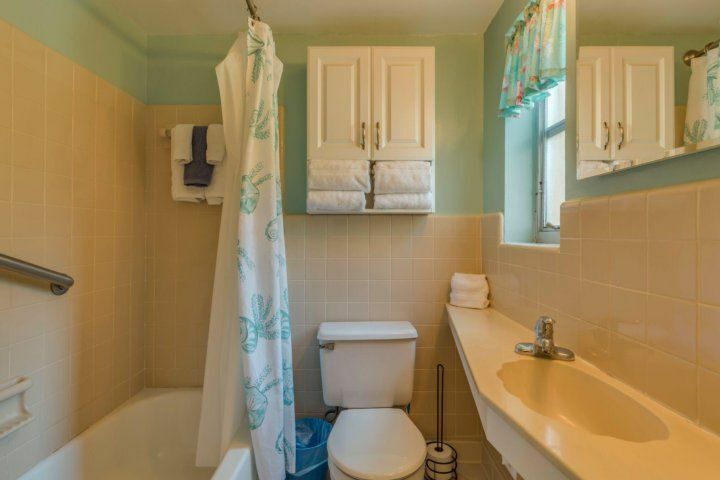 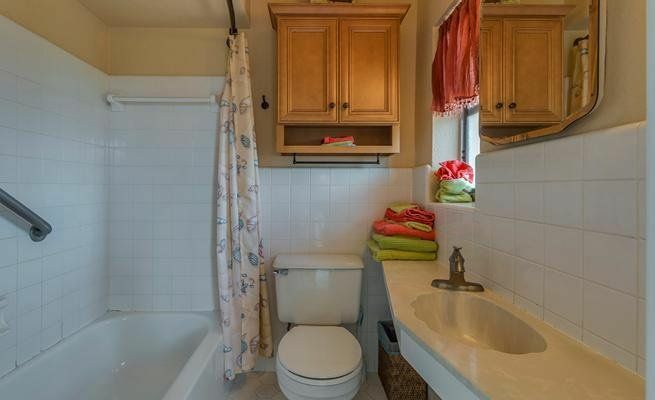 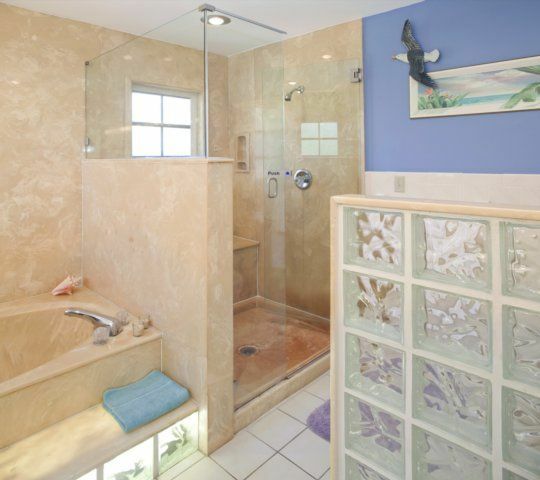 The unit’s roominess doesn’t end in the master bathroom - there’s a large soaking bathtub and shower, as well as his/hers vanities. 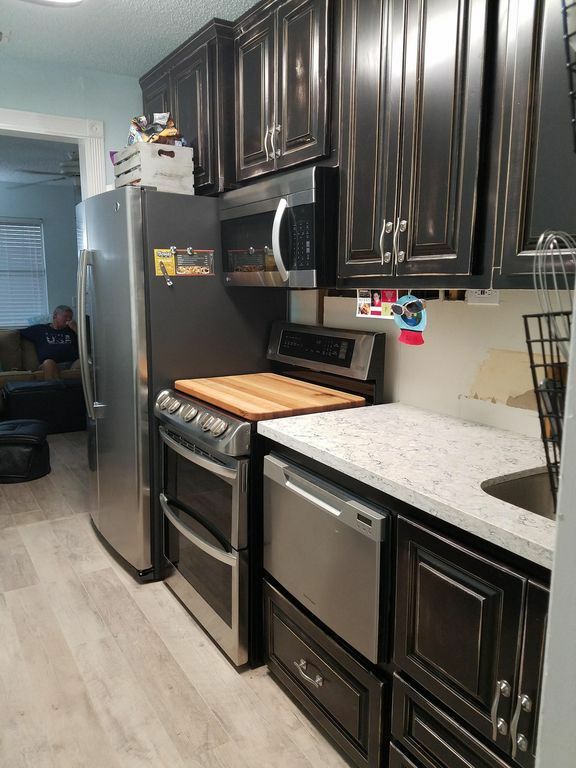 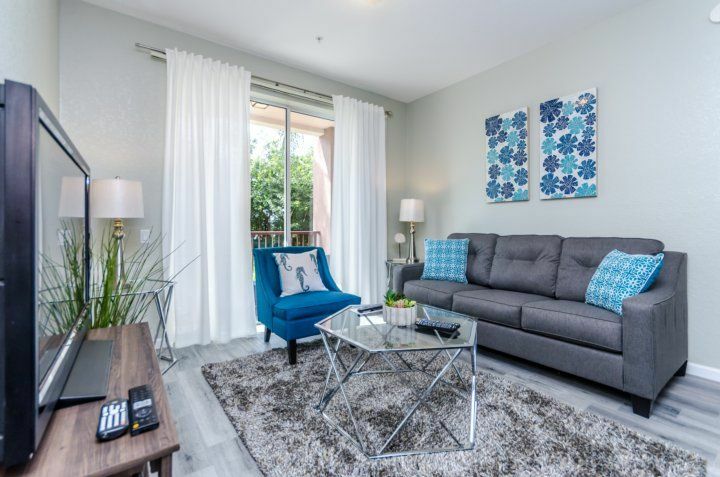 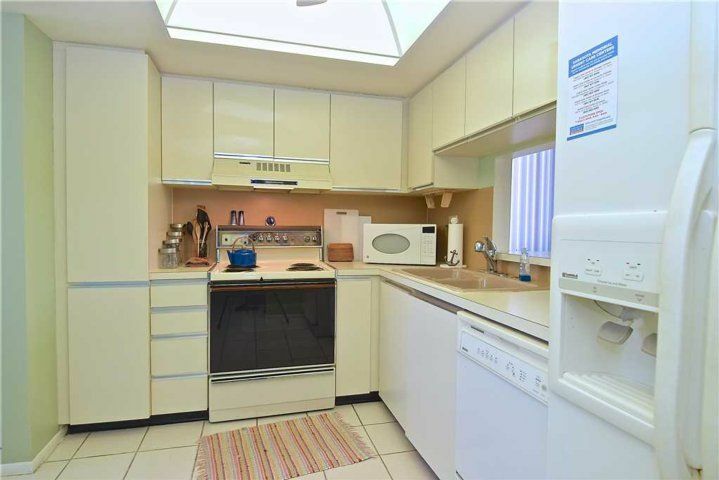 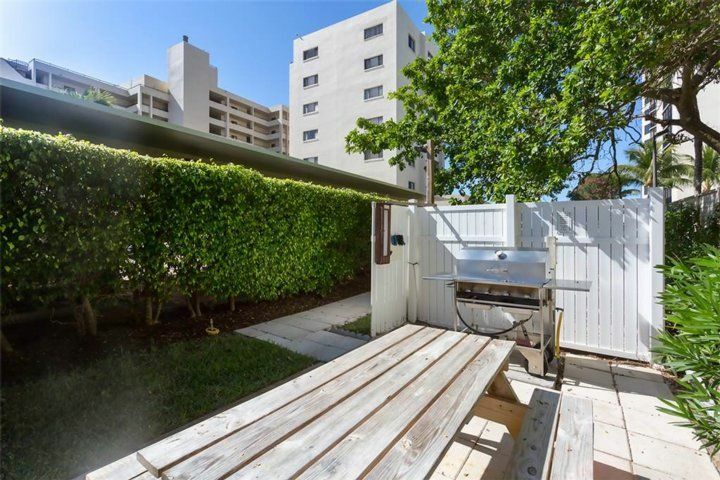 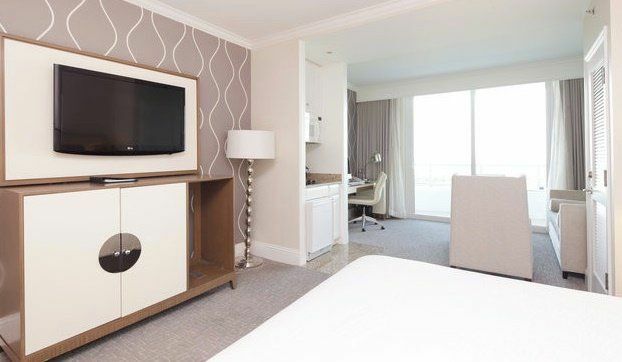 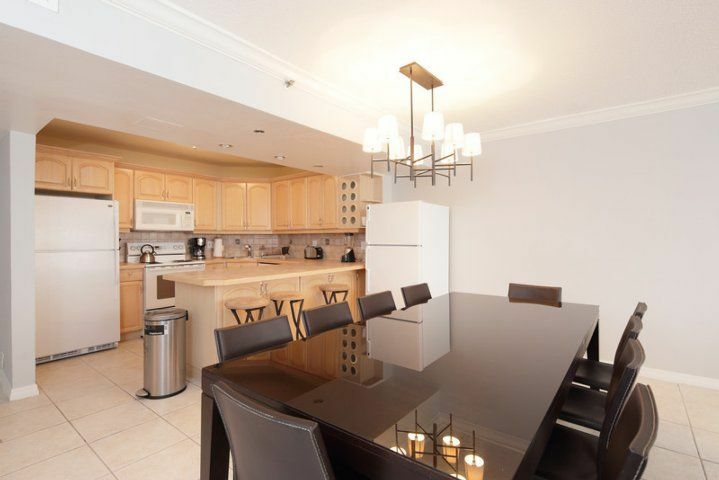 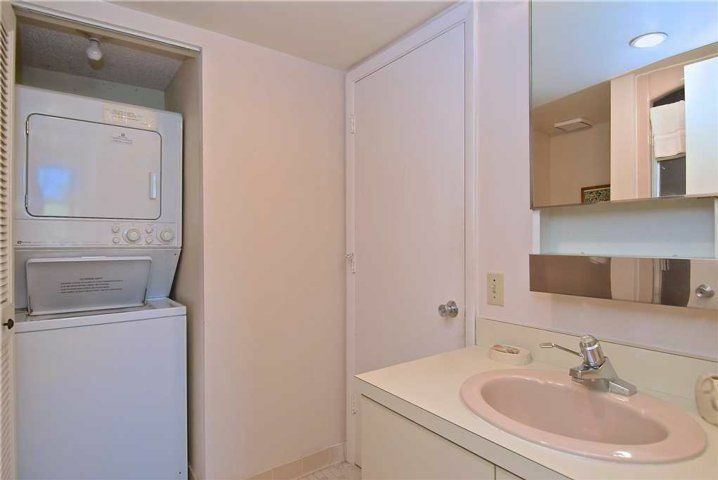 A designated covered parking space for you, in addition to generous parking for your guests, makes this a truly convenient unit - as does its in-suite laundry room. 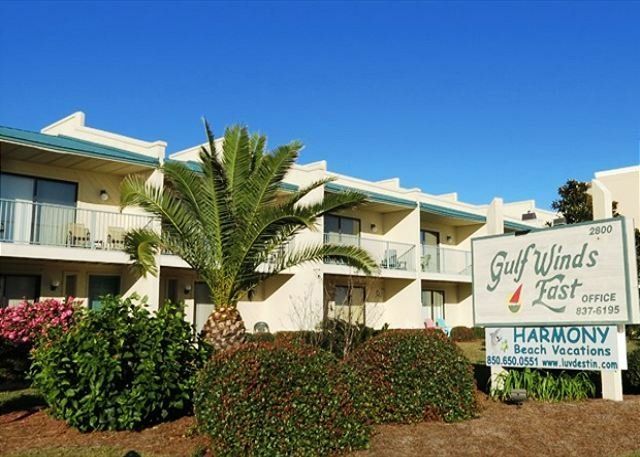 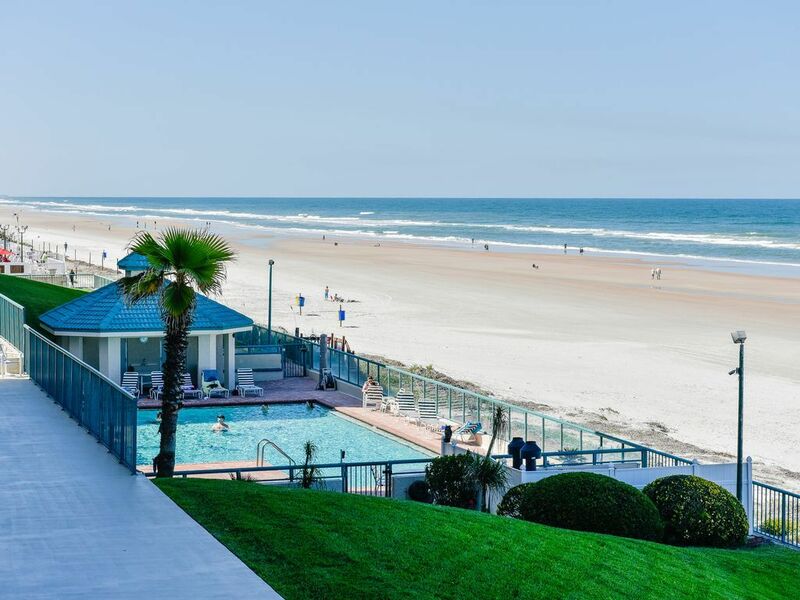 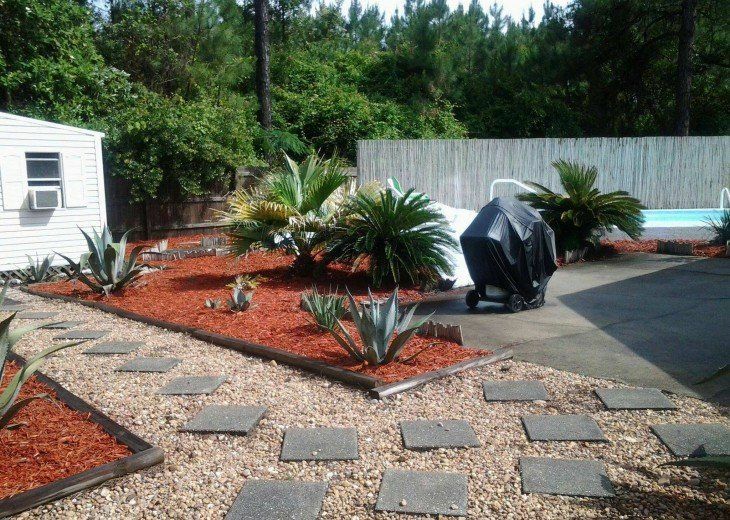 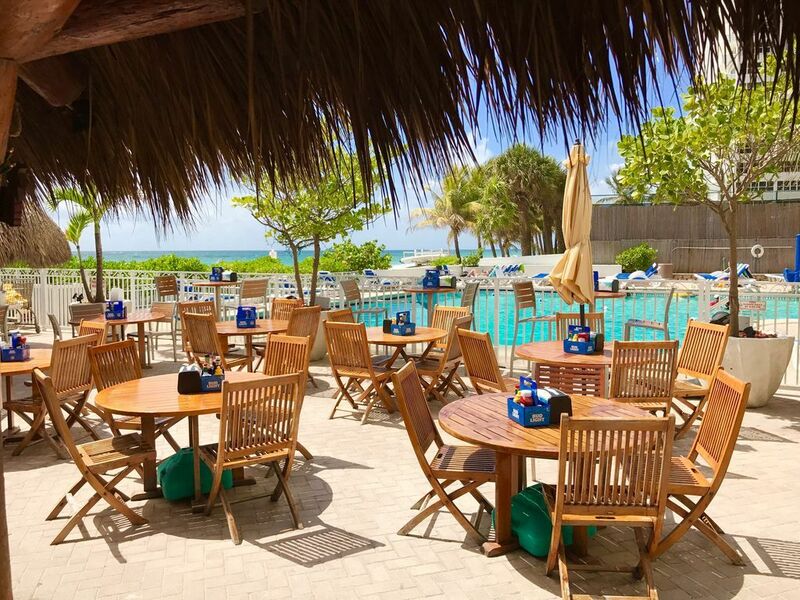 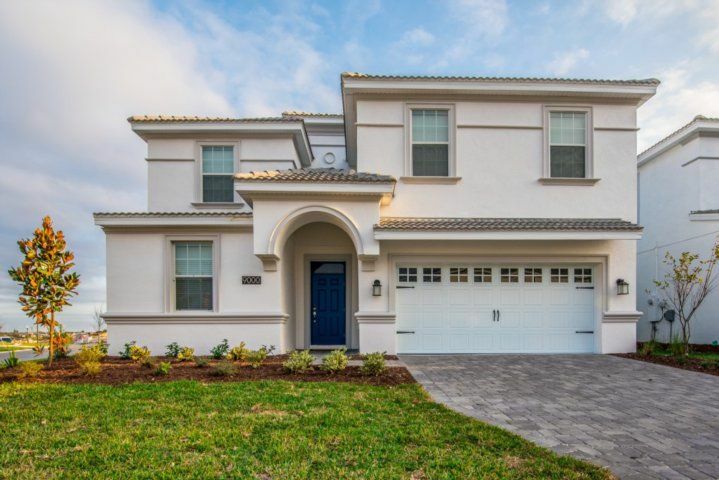 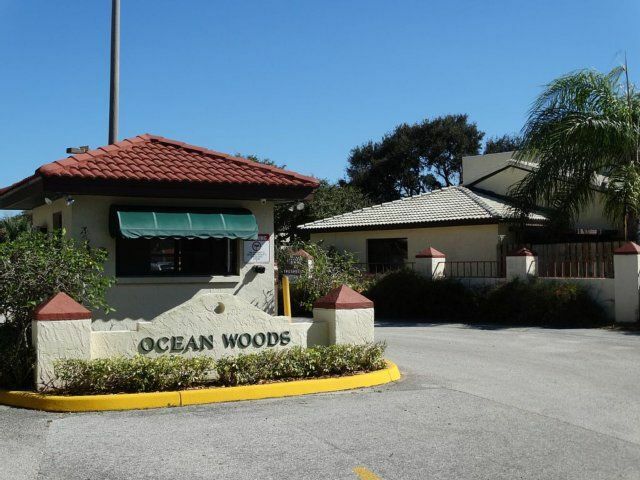 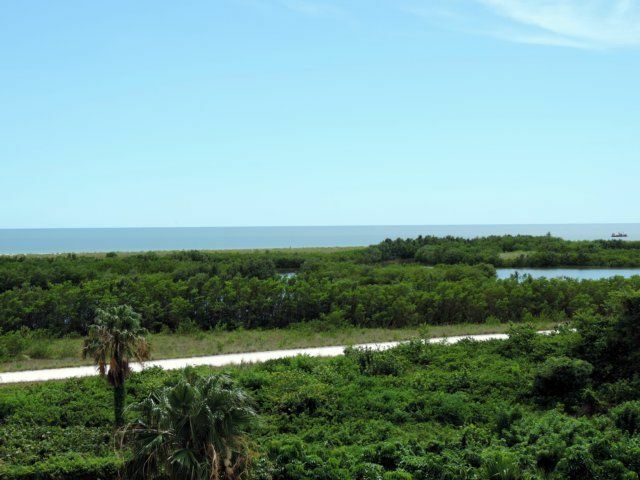 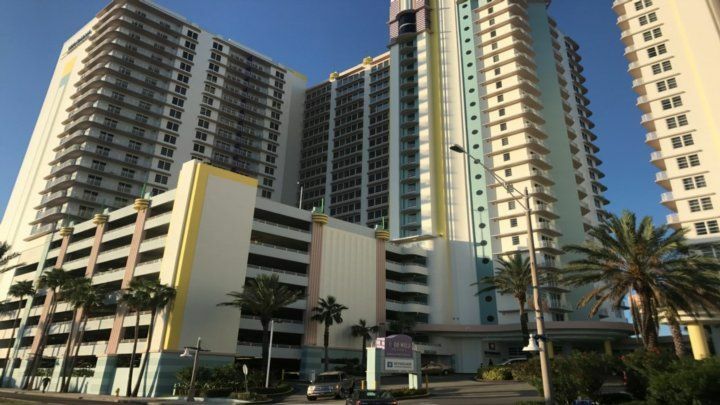 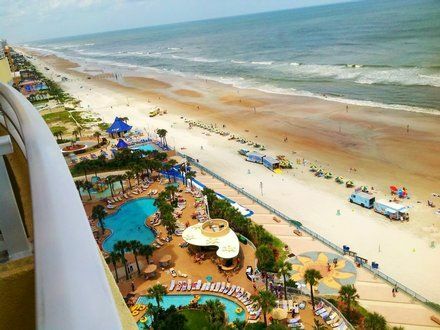 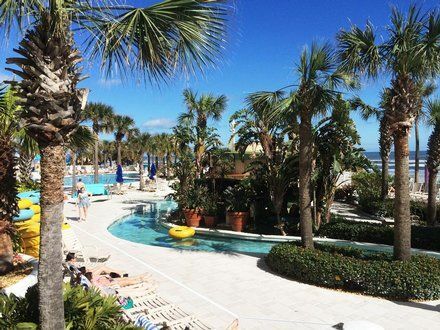 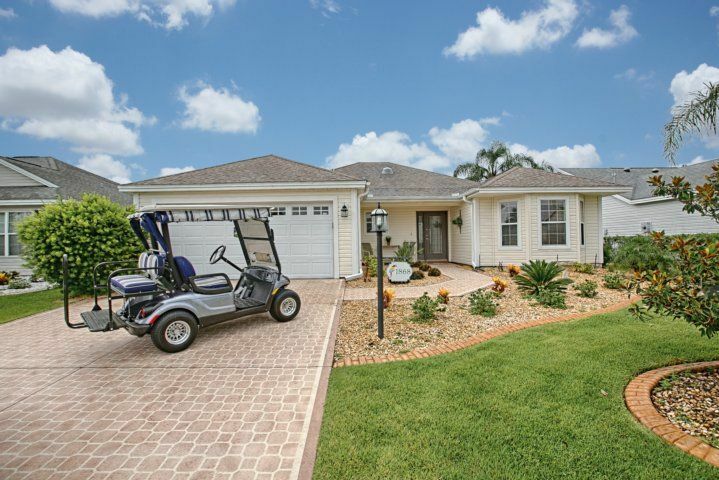 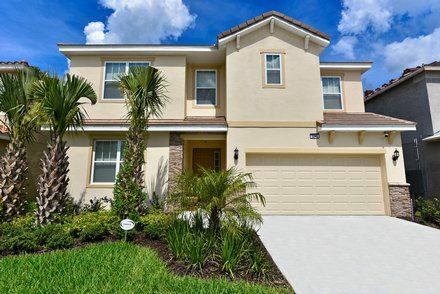 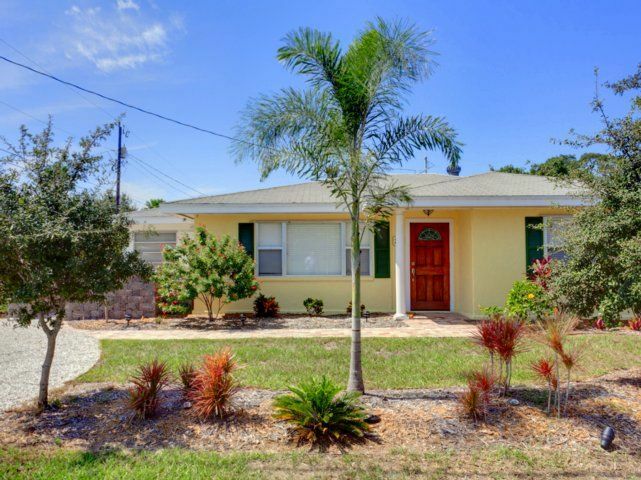 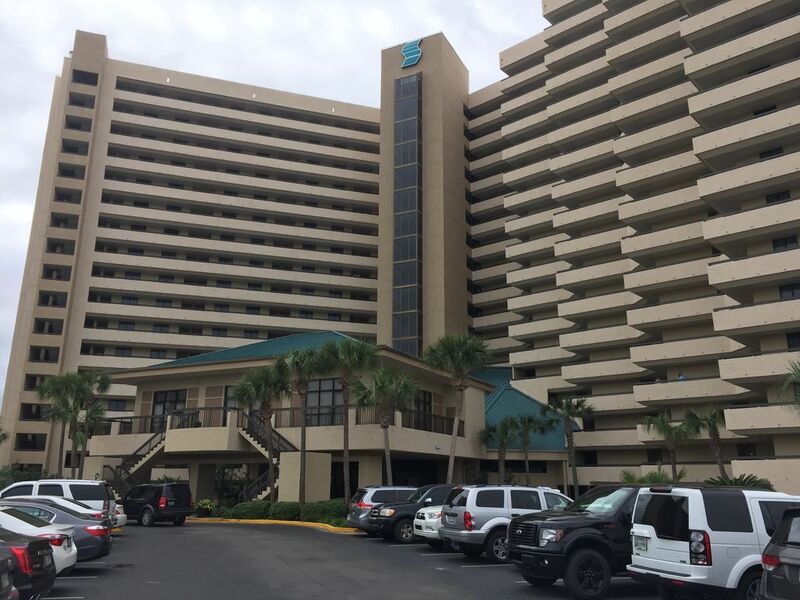 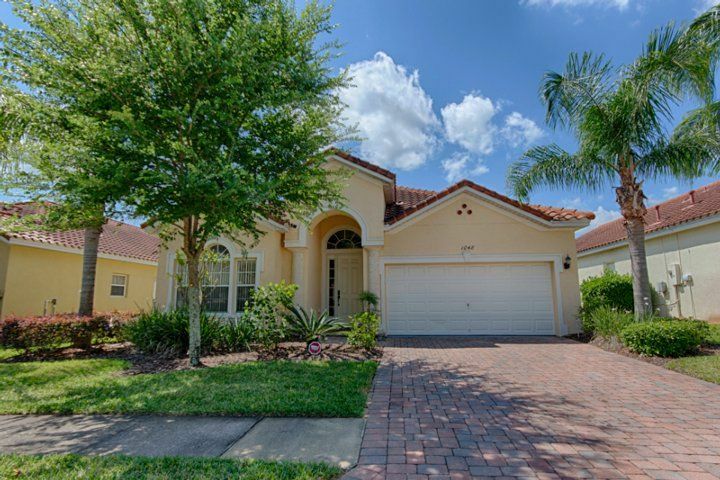 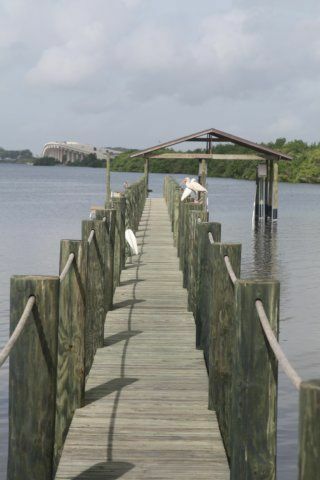 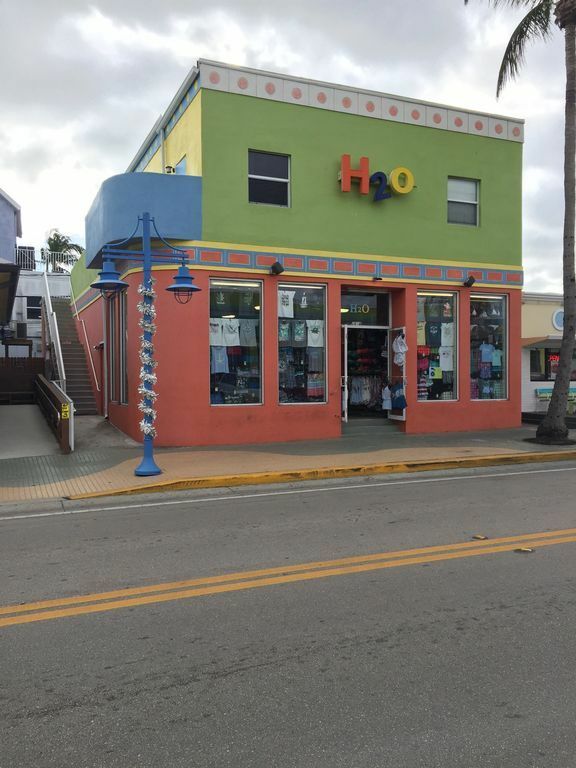 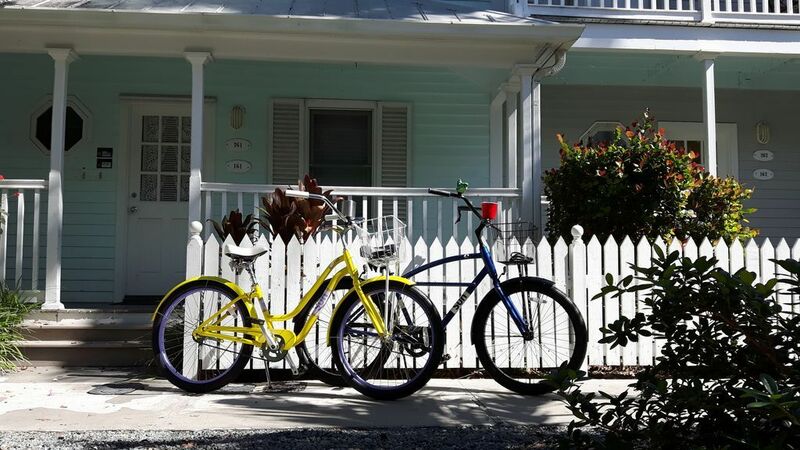 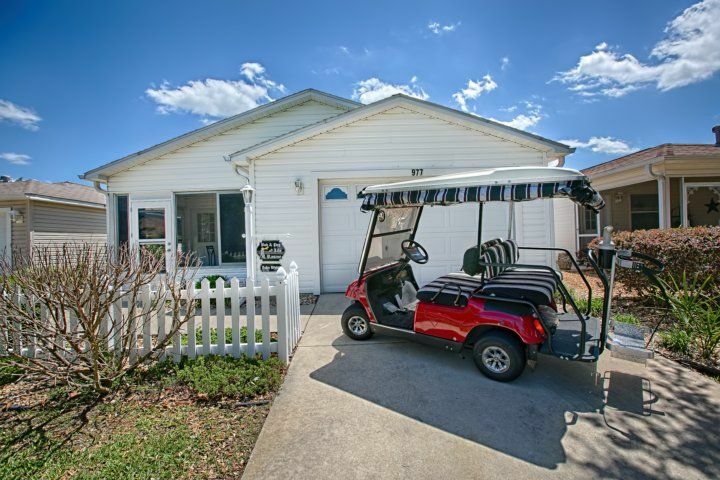 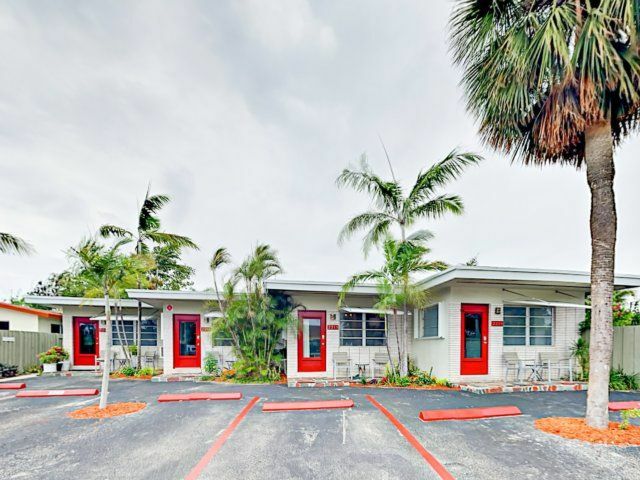 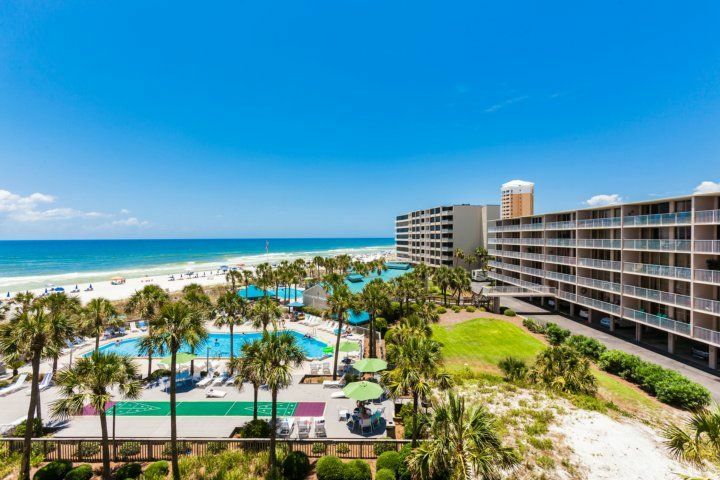 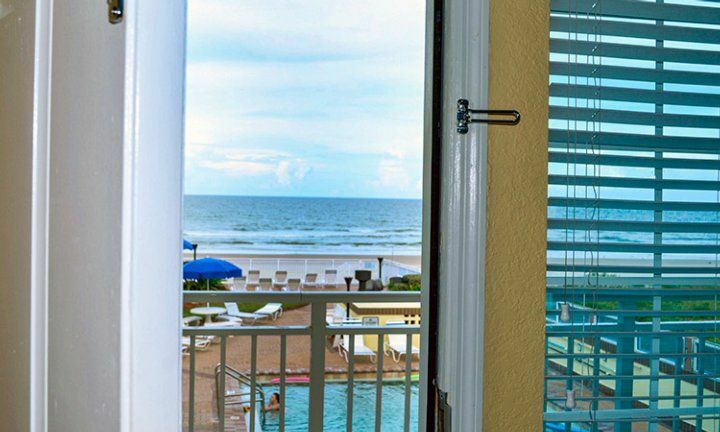 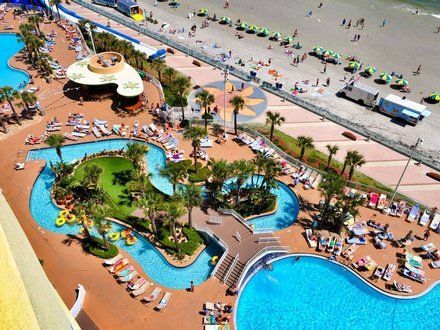 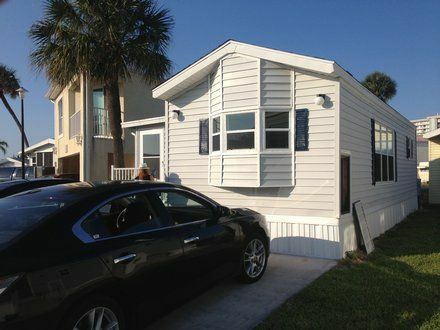 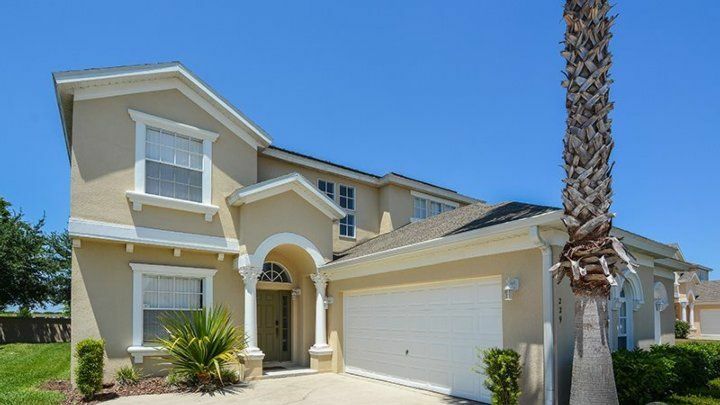 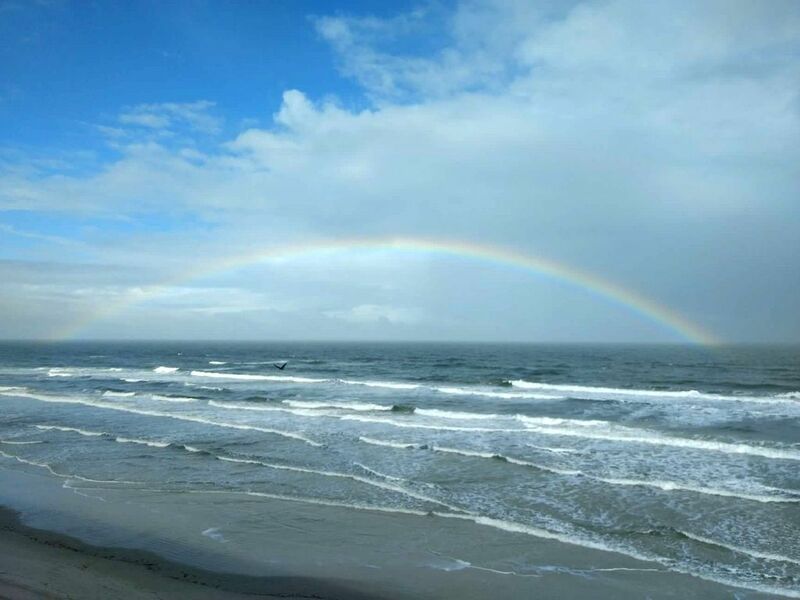 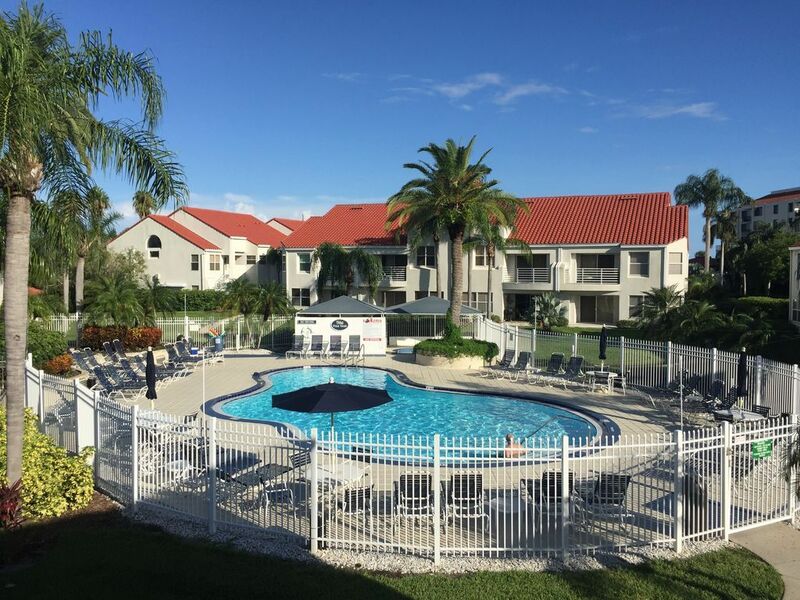 Either park your cars for the duration of your trip to enjoy the resort’s many options - or take day trips to nearby Sarasota, Busch Gardens, and the Mote Aquarium. 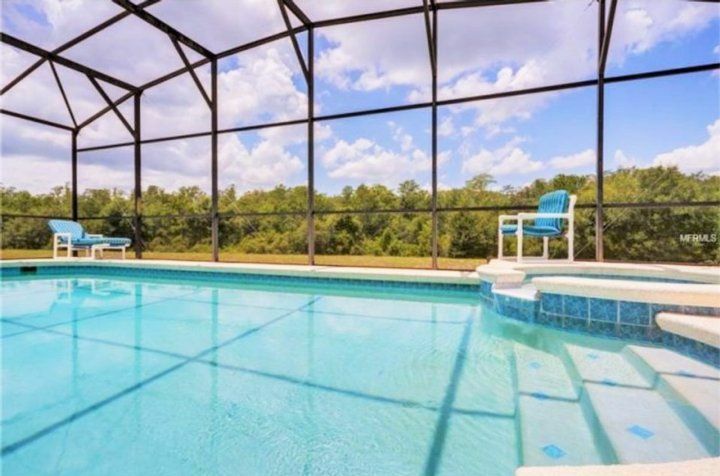 100 miles and you’re at Disney World. 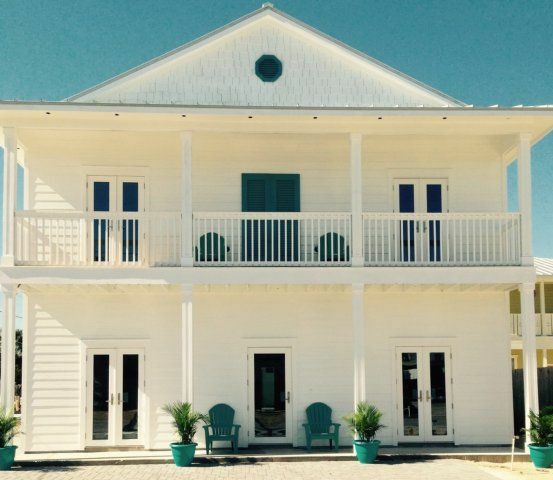 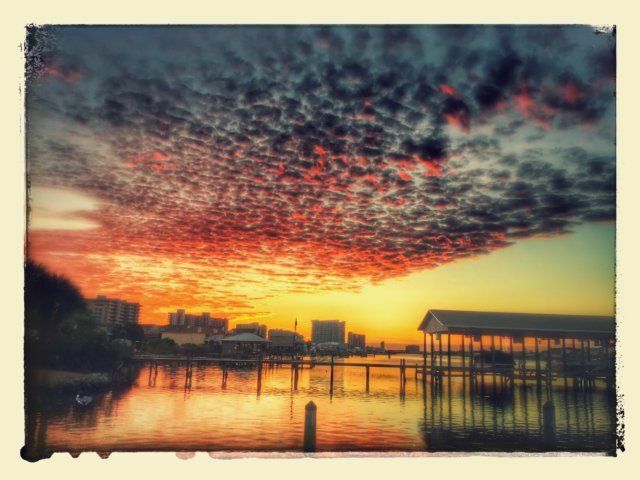 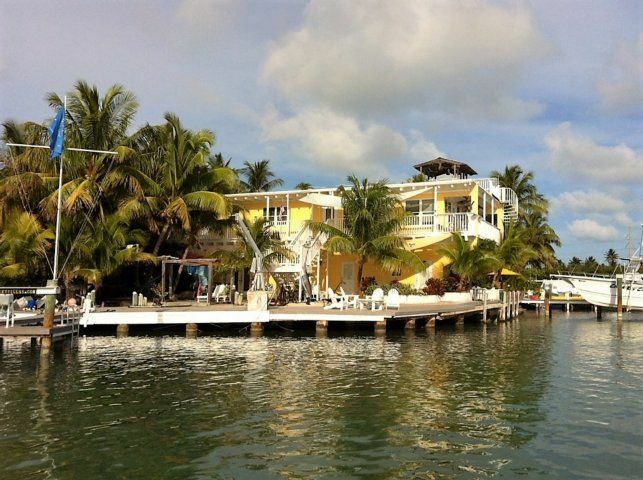 Soon, you’ll want to live your whole life on the water. 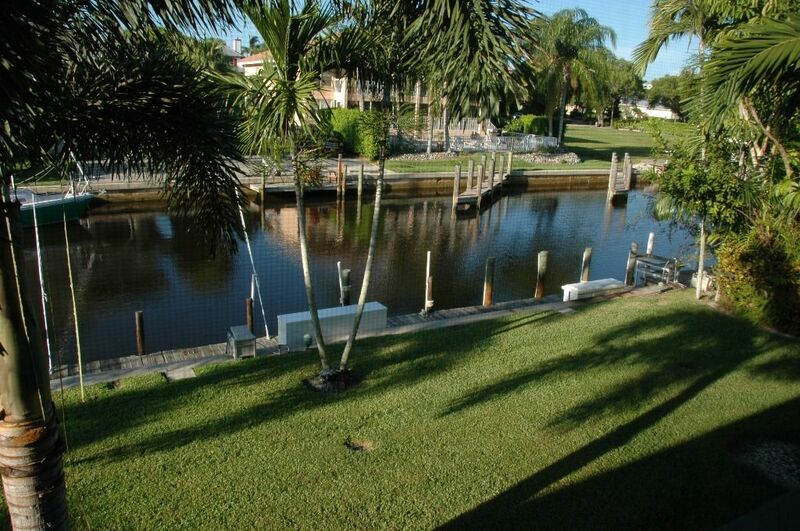 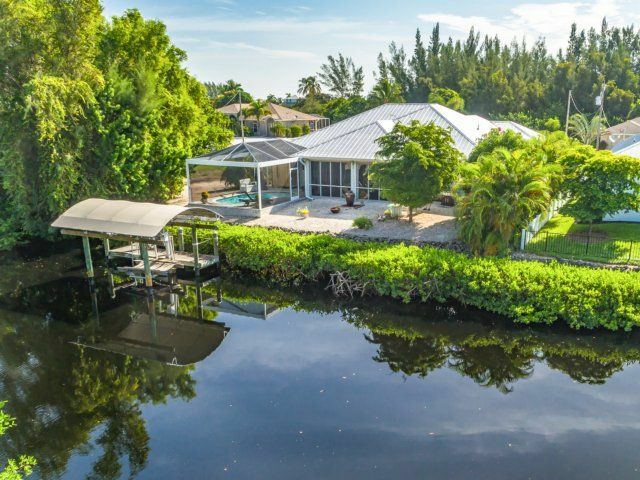 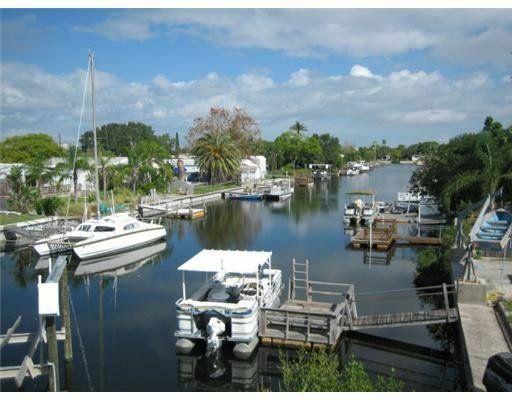 Your views of wide open waterways are framed with lush, green banks. 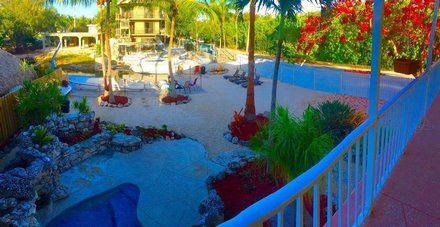 In fact, the resort’s gorgeous landscaping is a common refrain in guests’ comments. 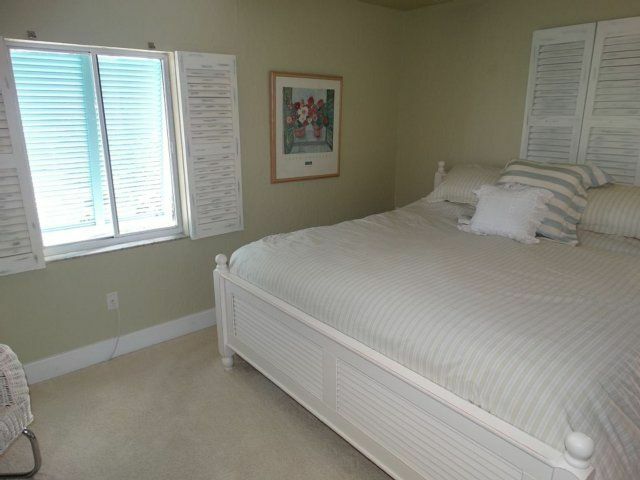 Lucky for you, you can enjoy it all while still in bed - and every minute of the day that follows. 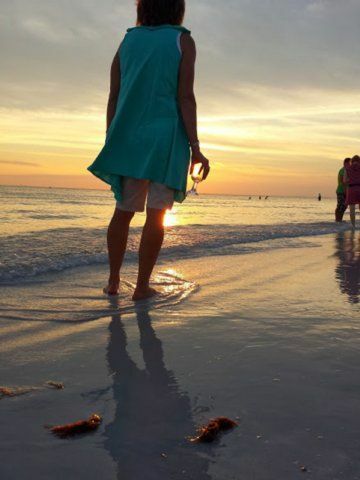 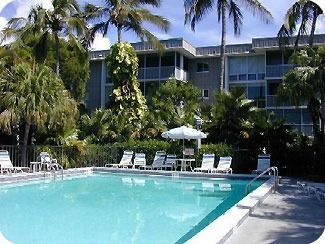 Excelsior has some of the oldest and most beautiful trees on Siesta Key! 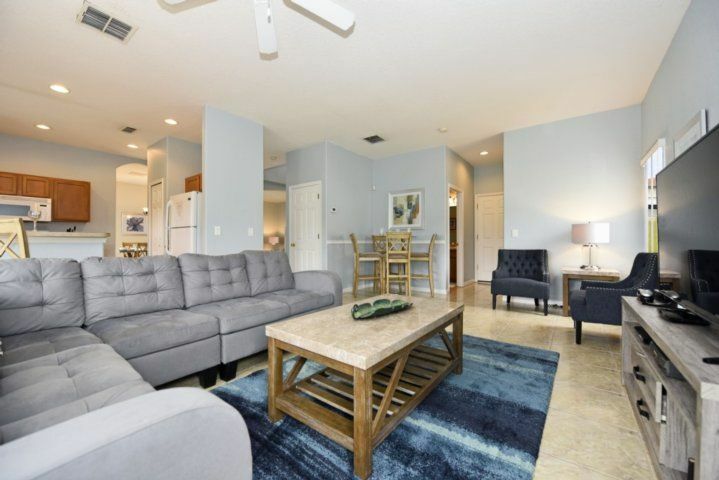 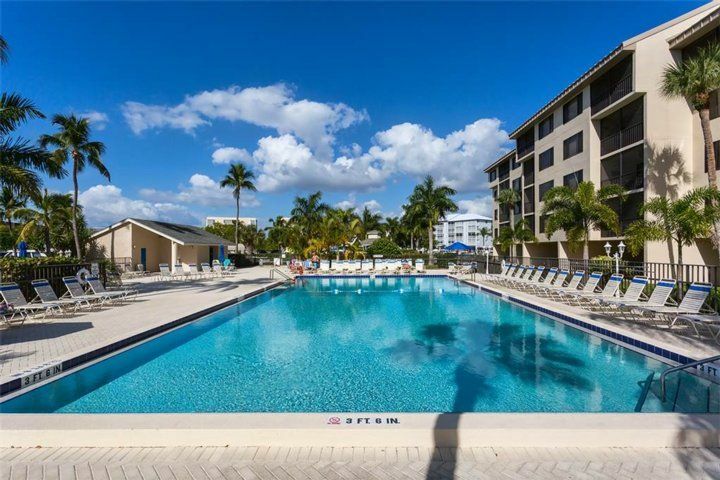 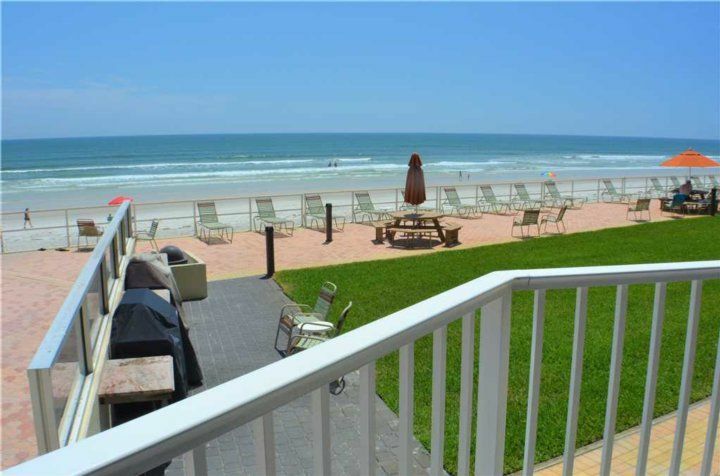 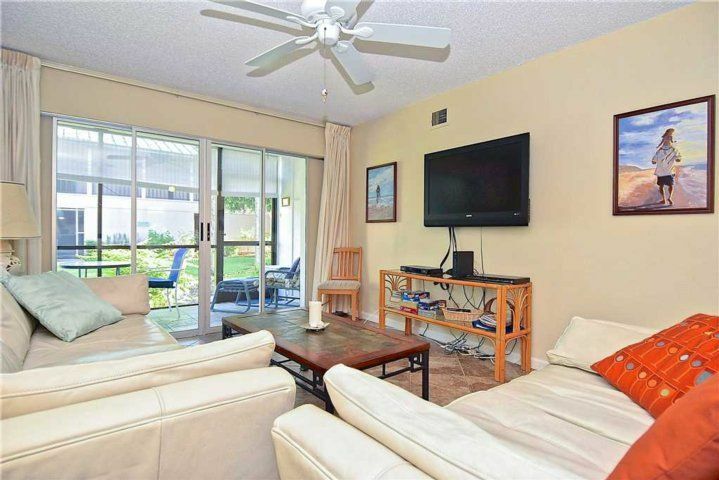 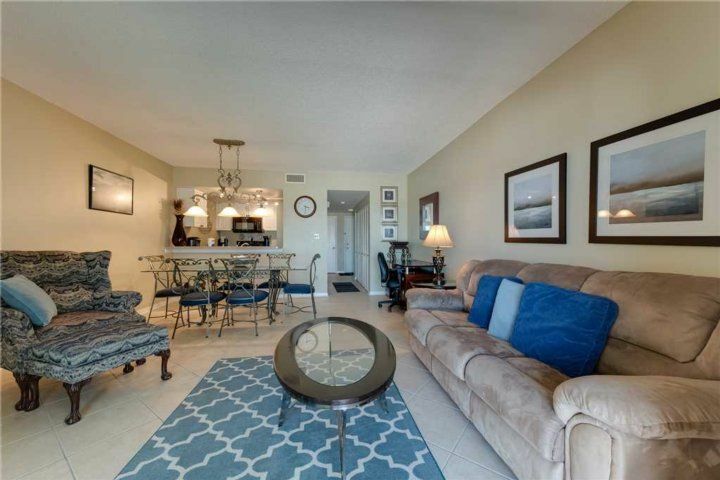 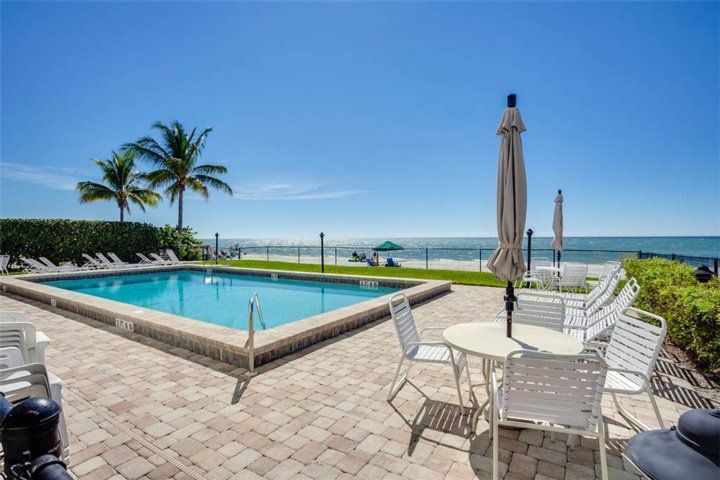 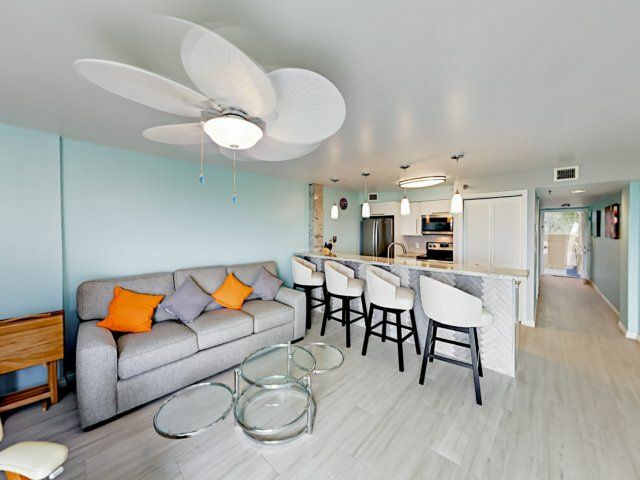 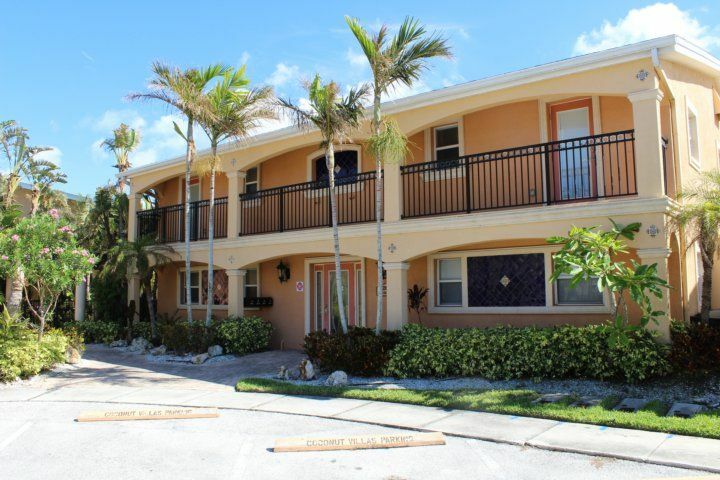 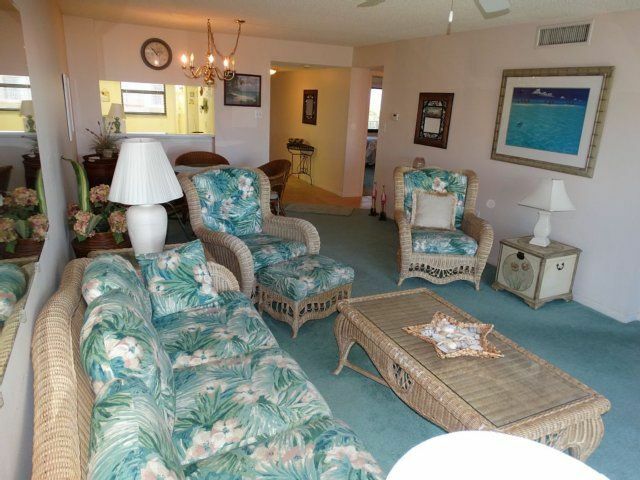 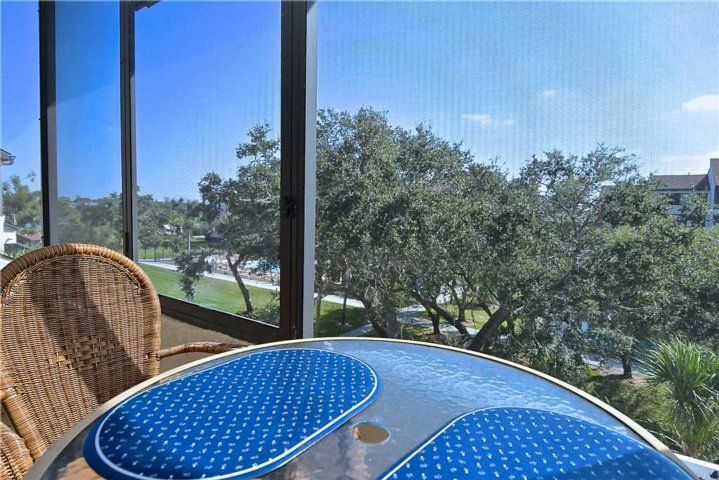 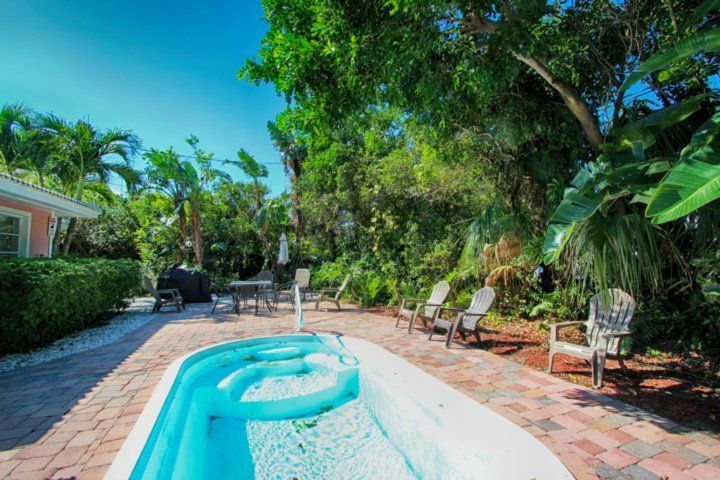 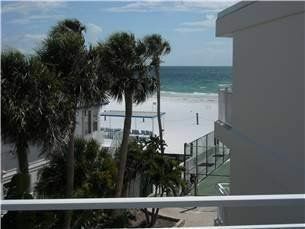 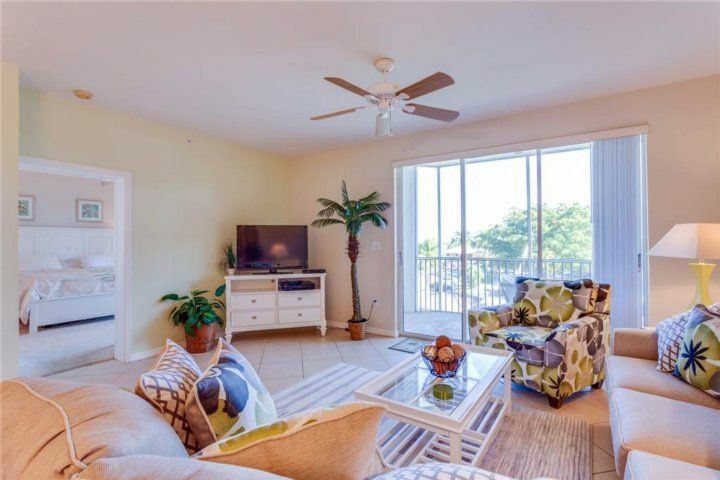 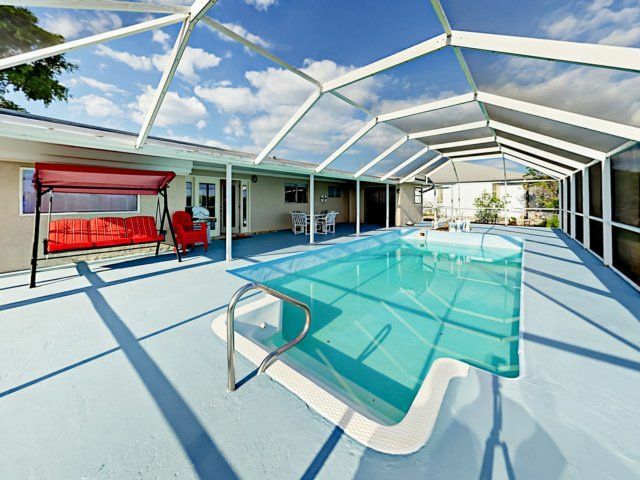 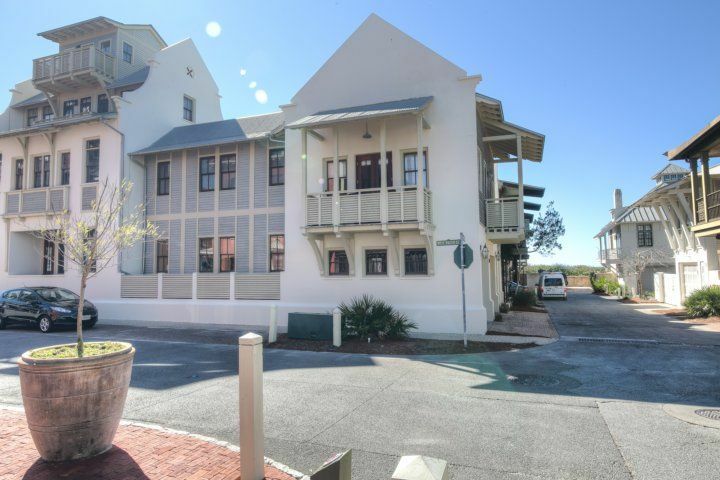 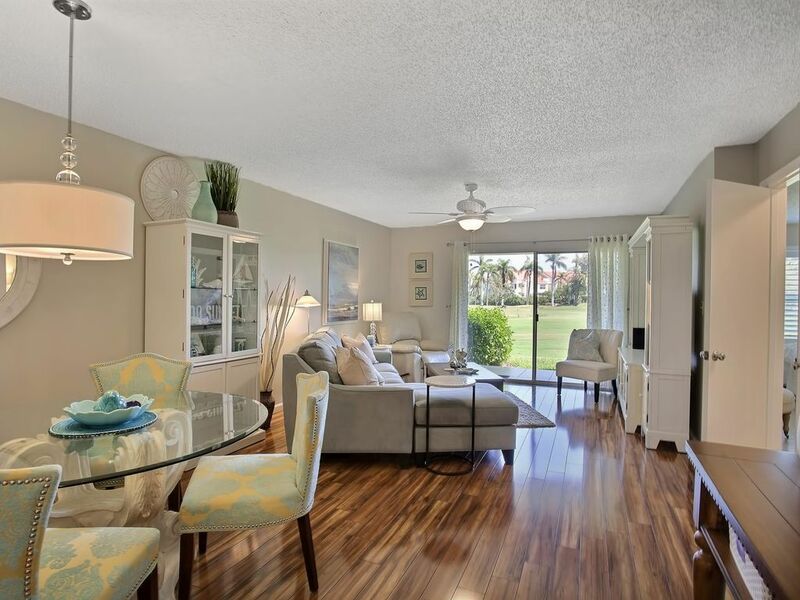 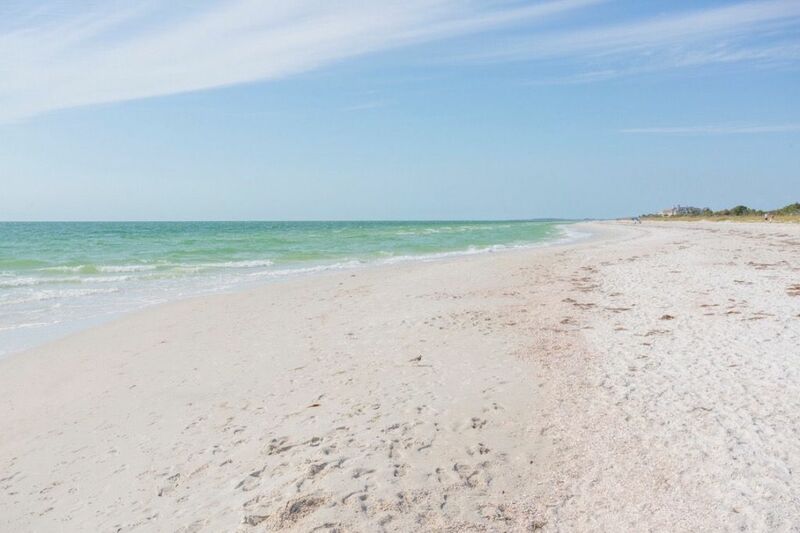 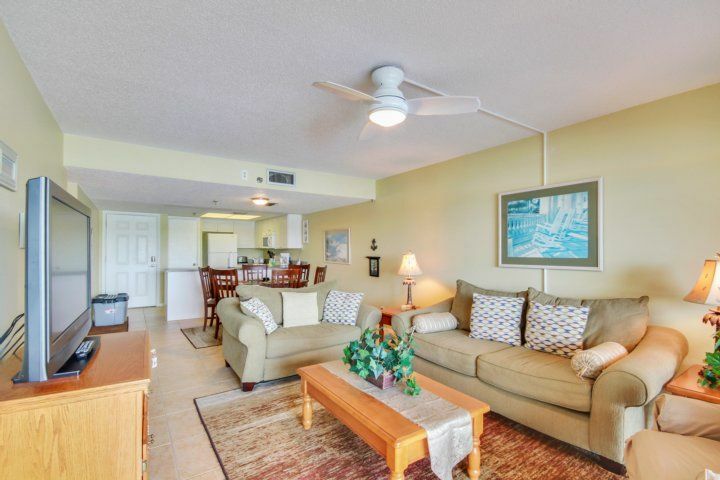 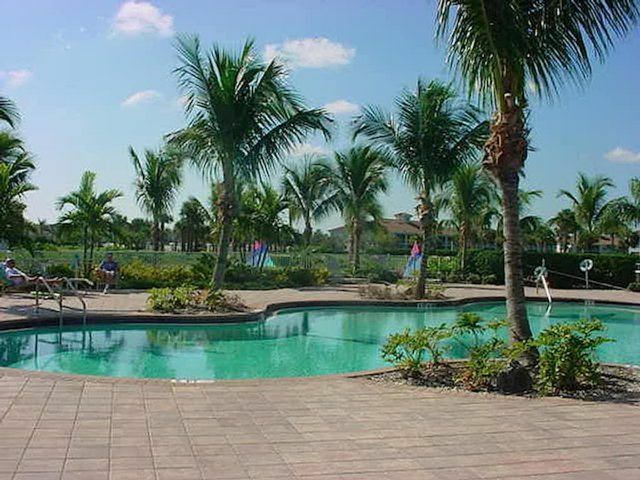 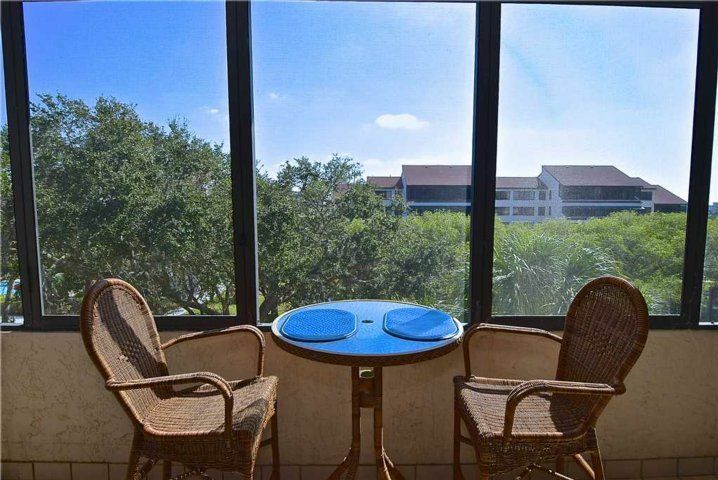 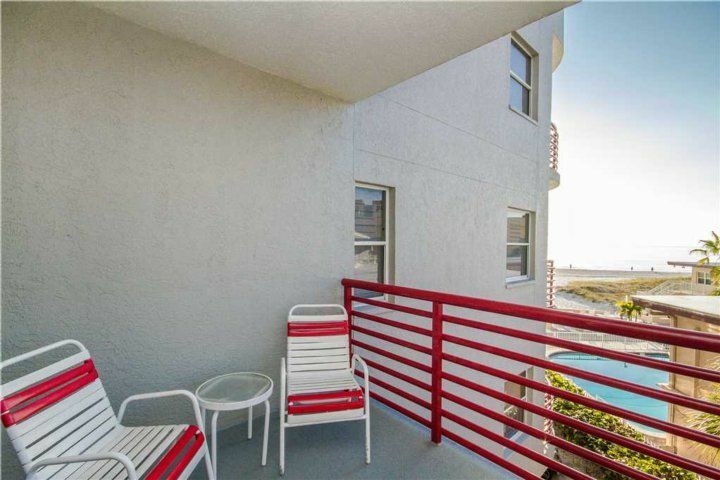 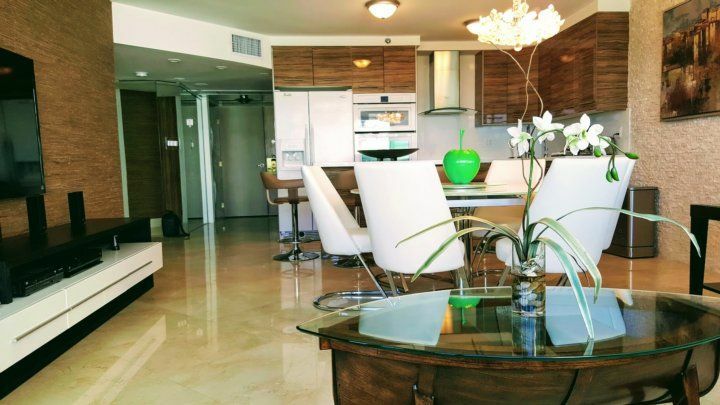 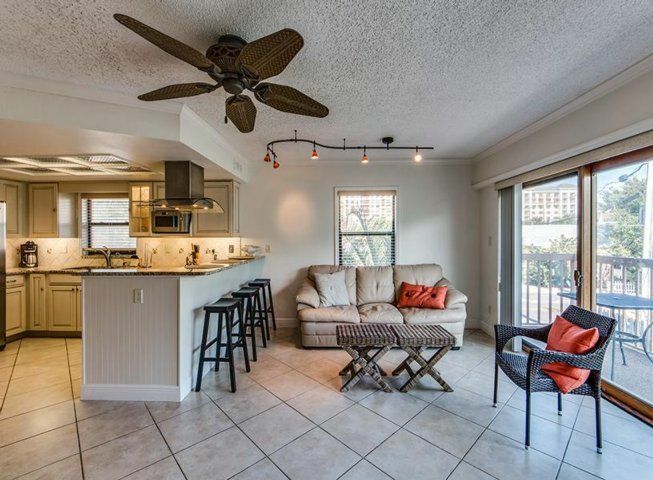 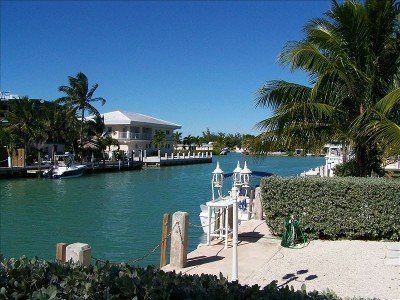 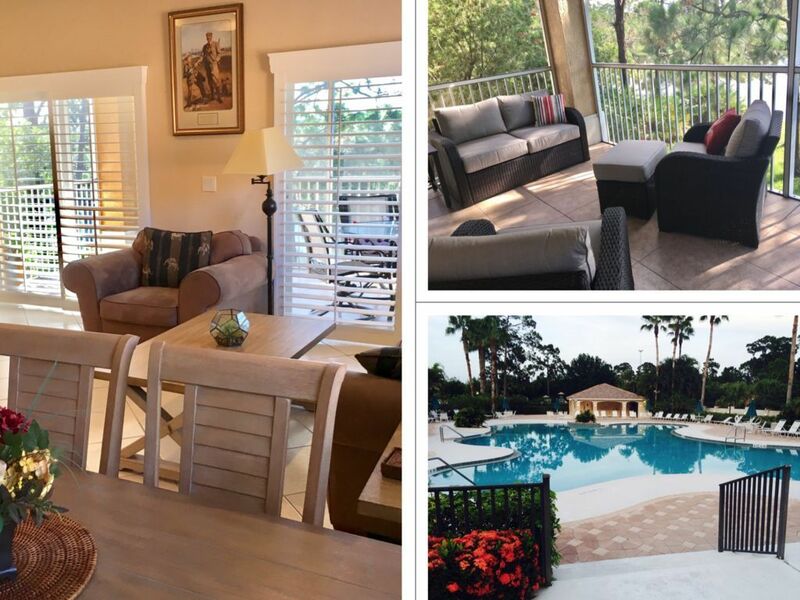 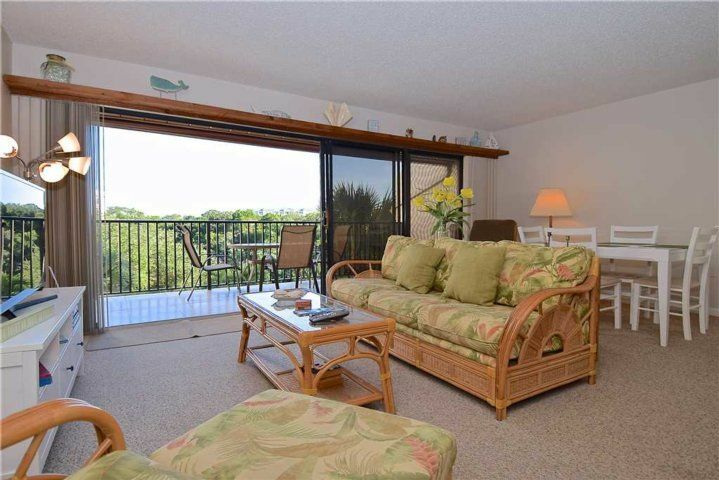 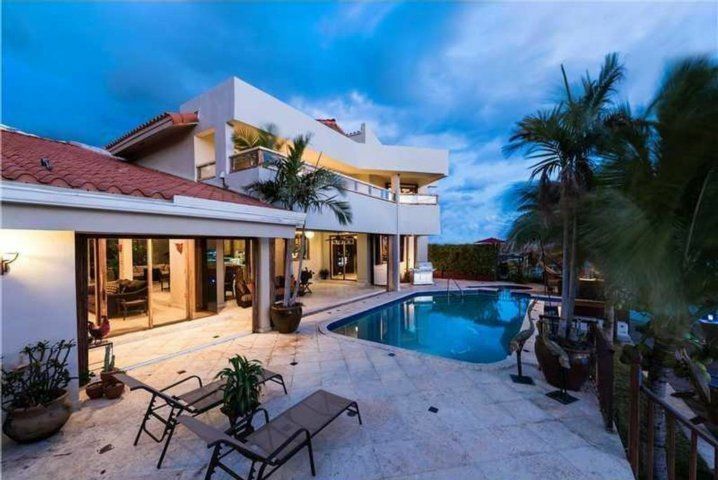 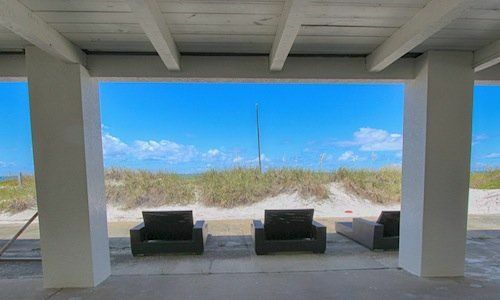 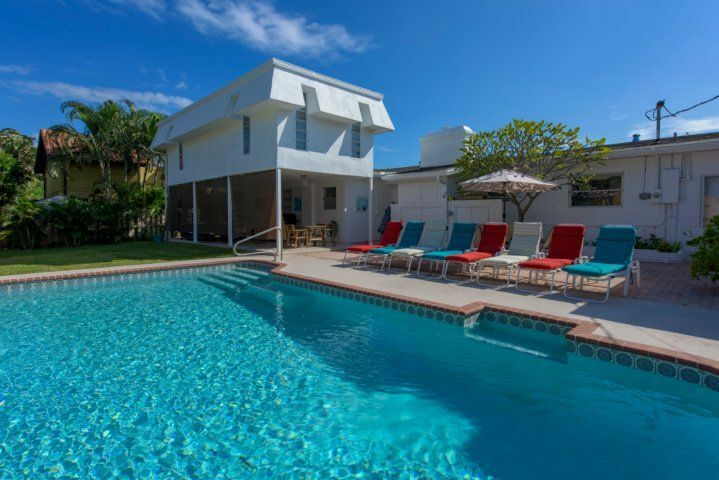 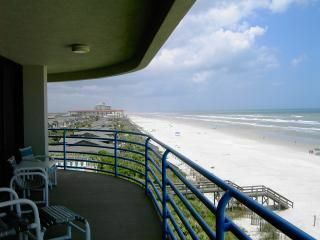 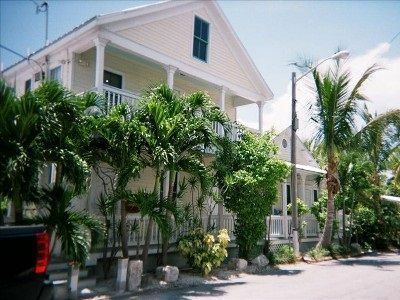 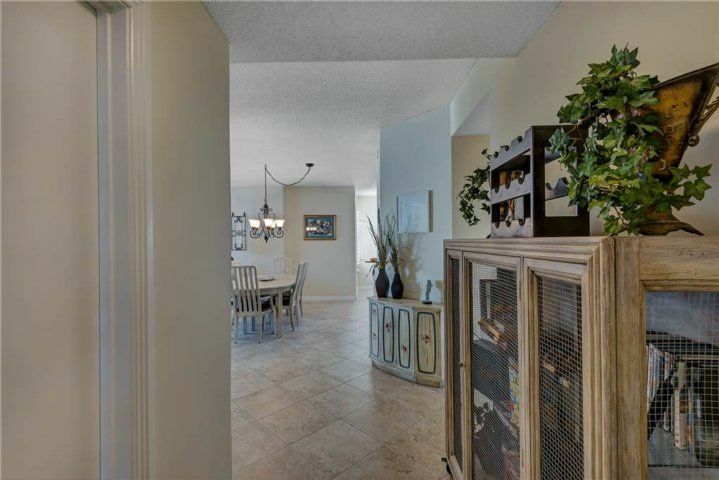 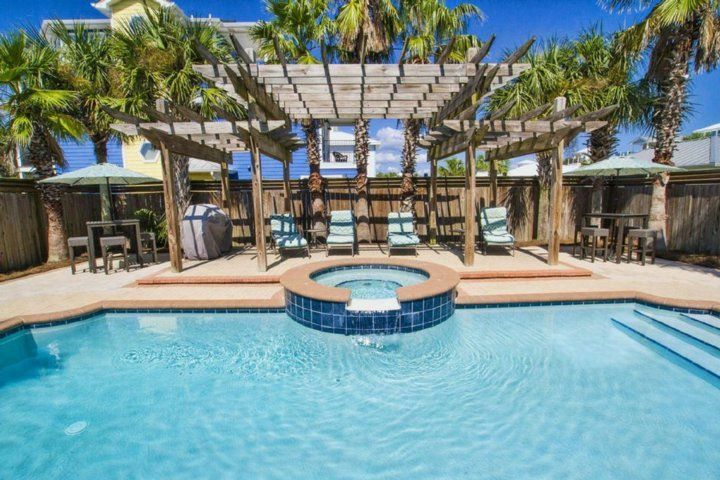 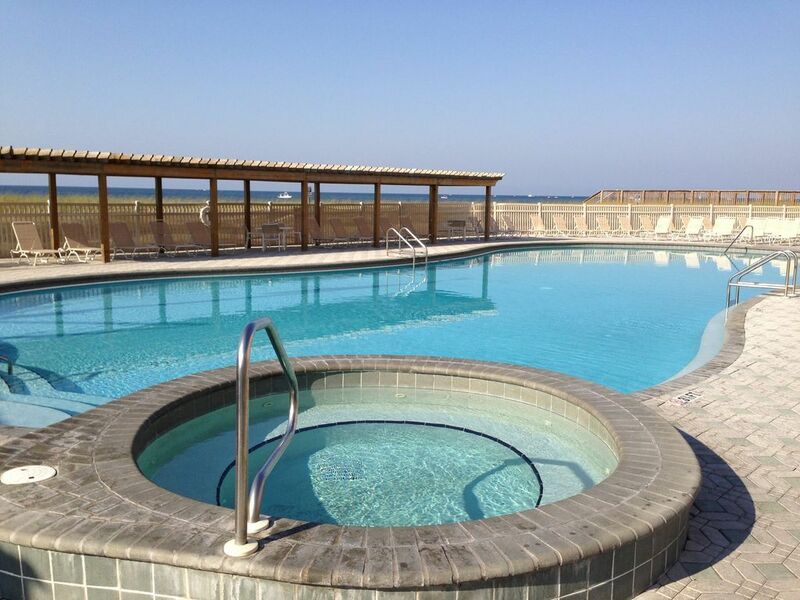 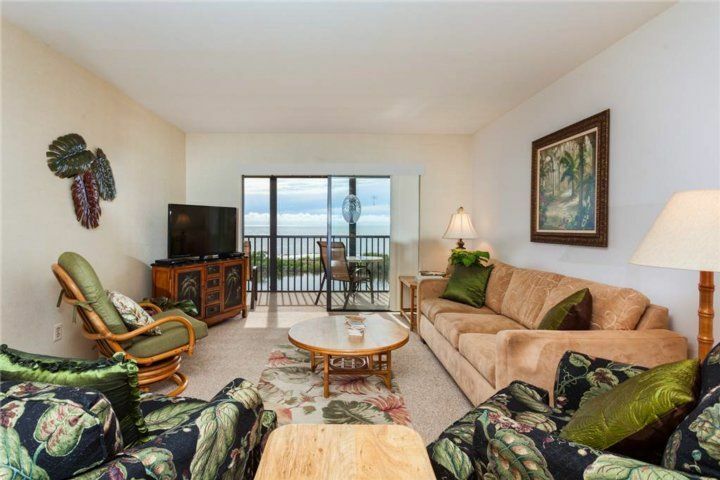 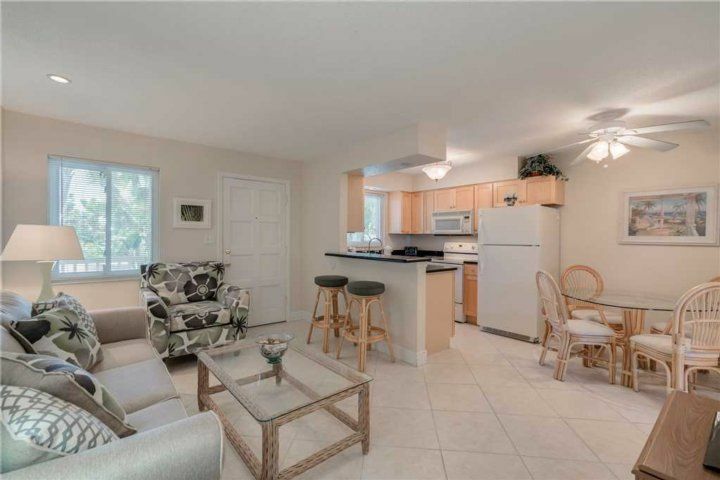 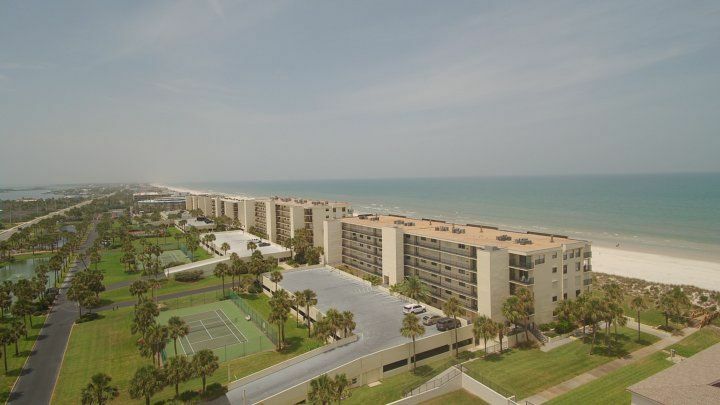 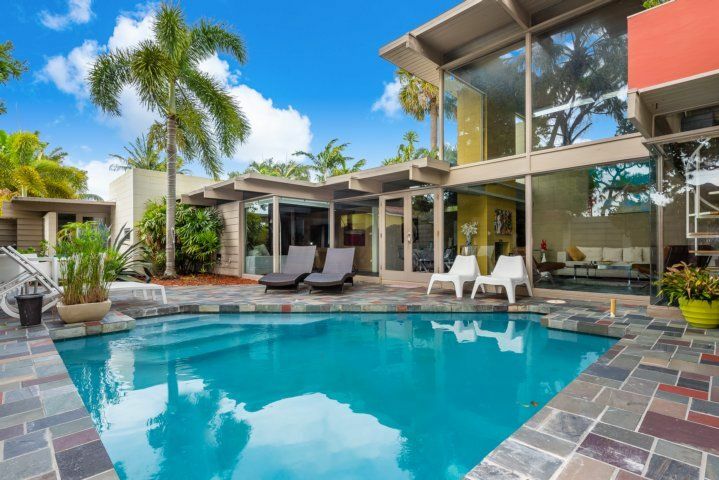 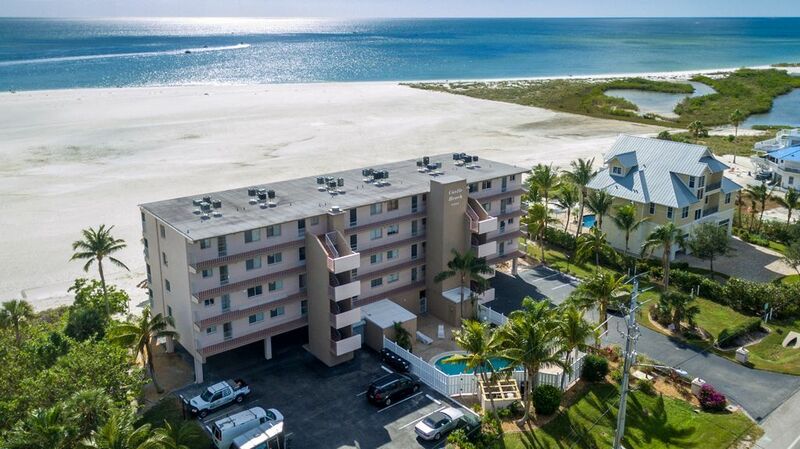 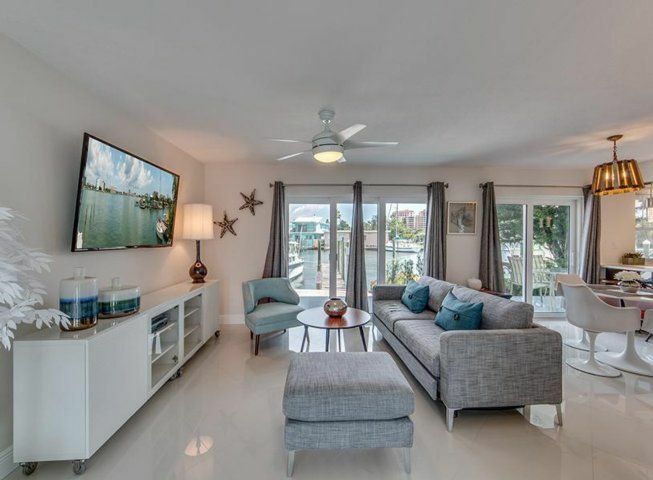 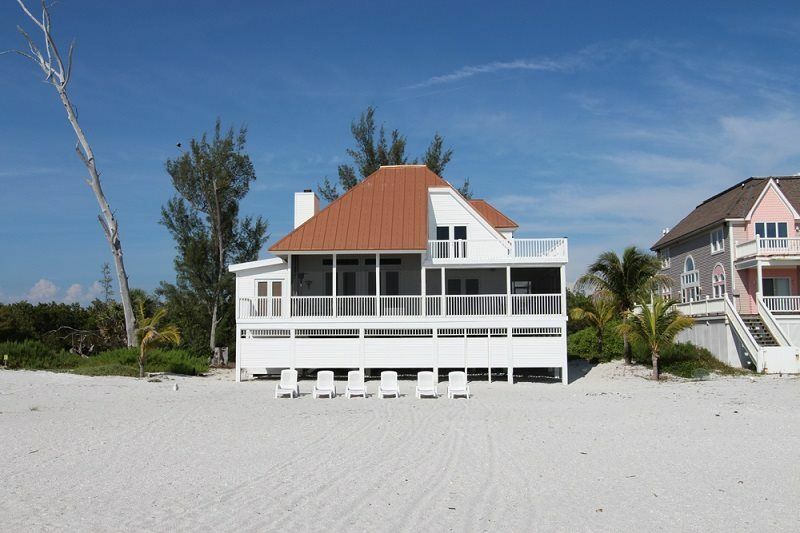 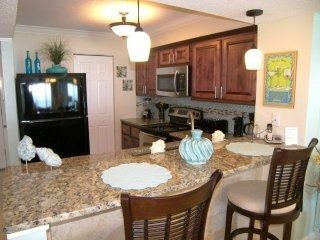 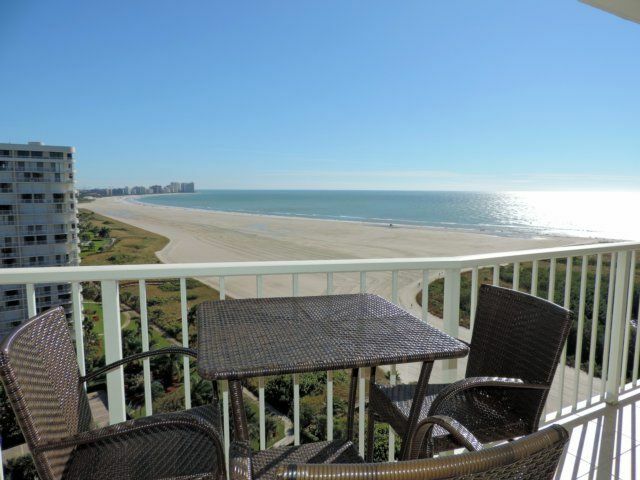 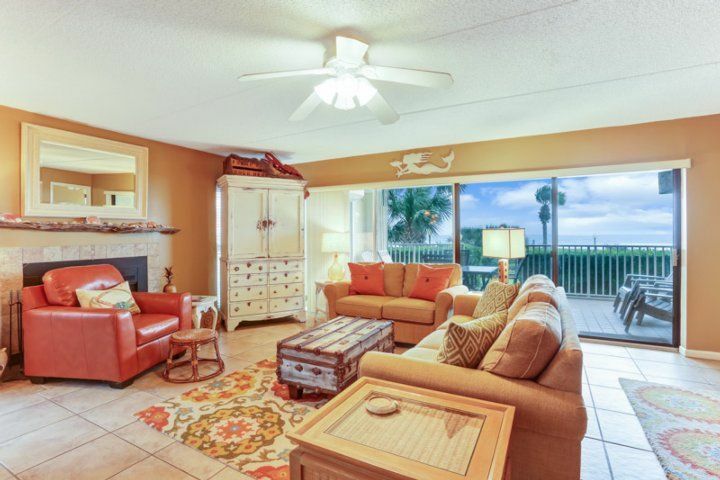 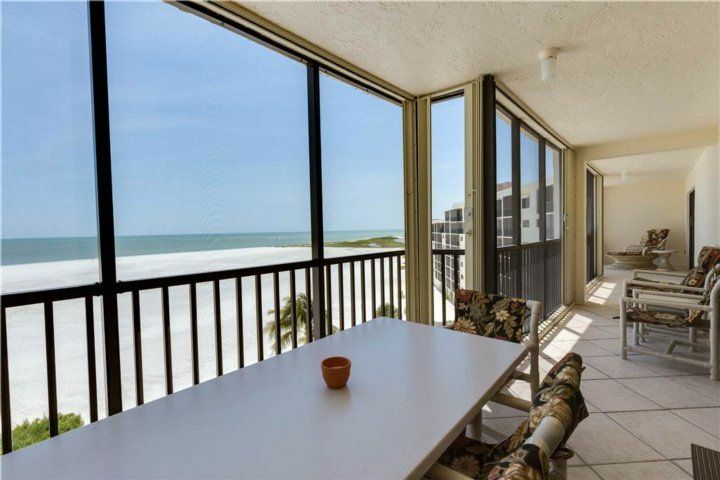 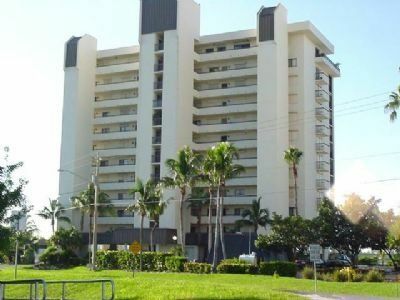 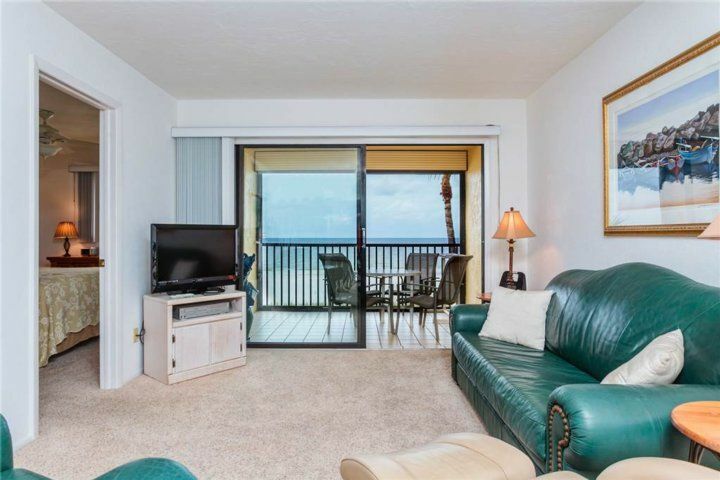 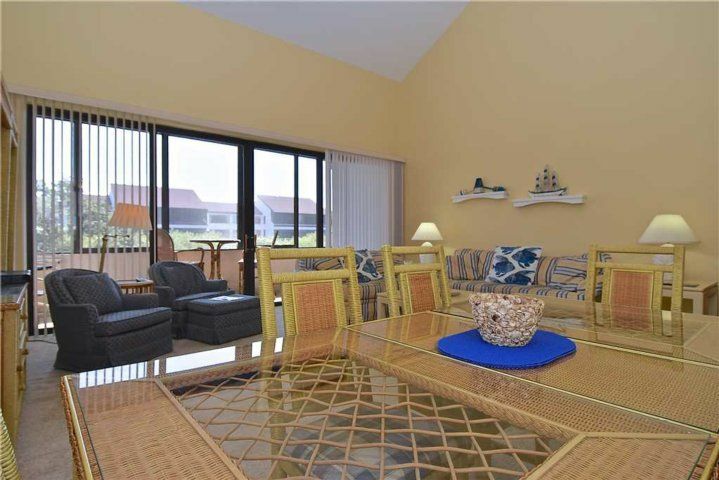 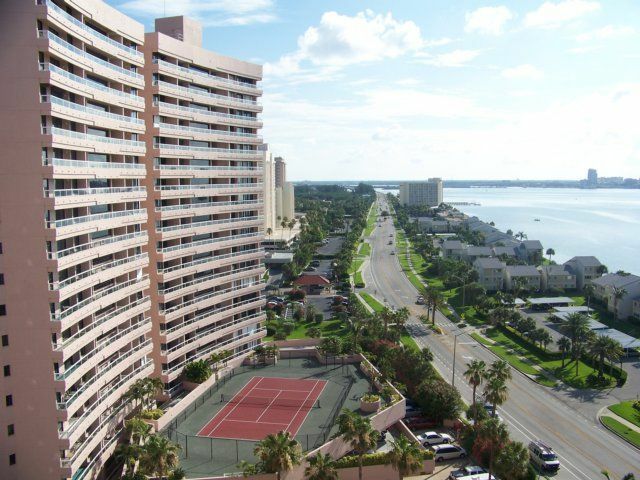 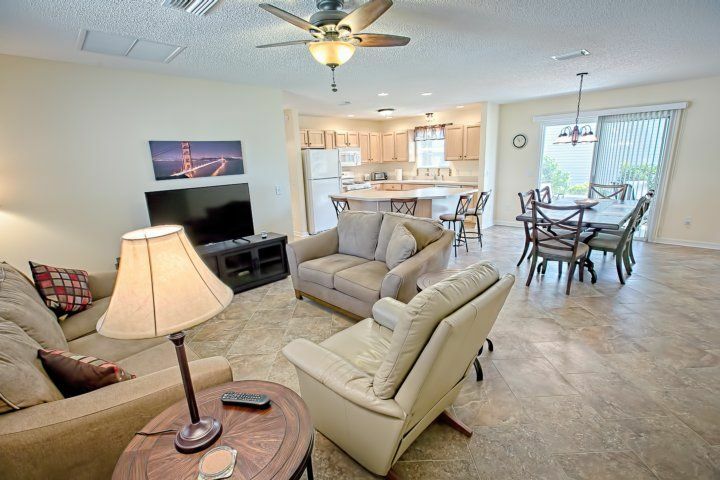 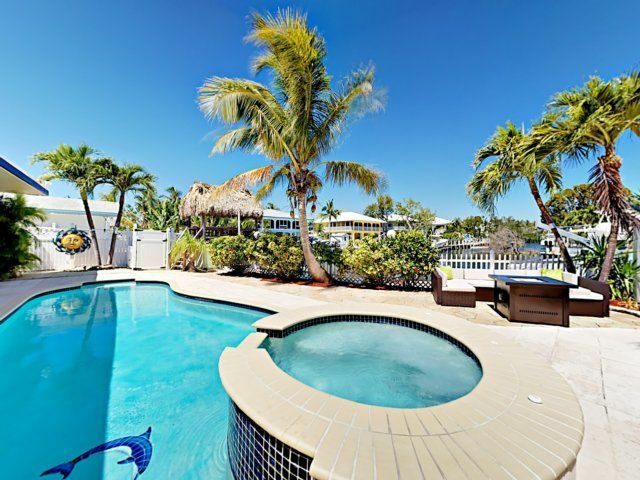 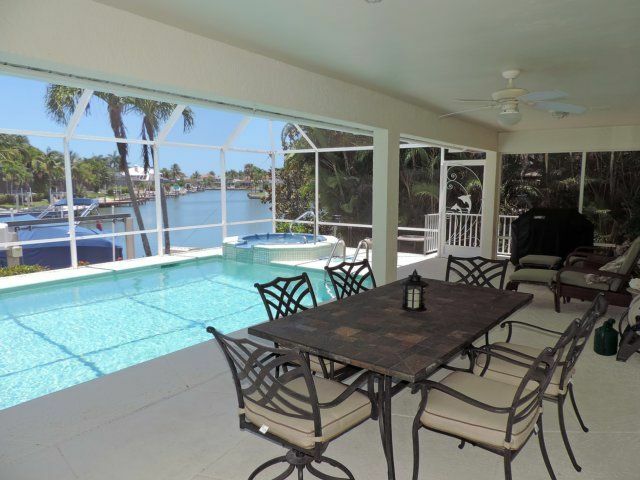 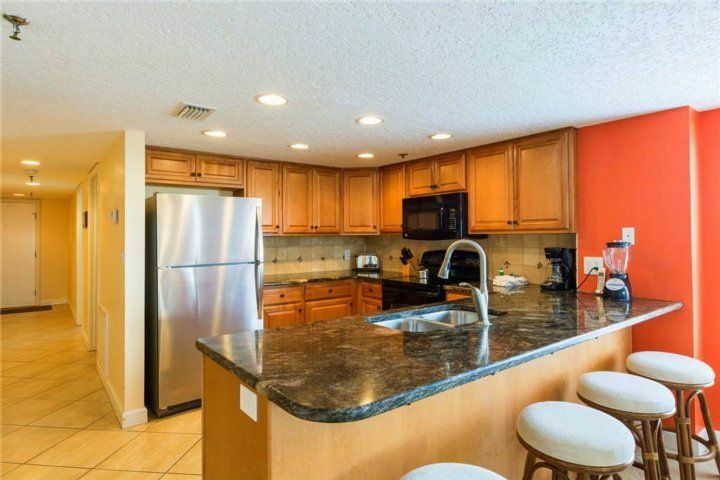 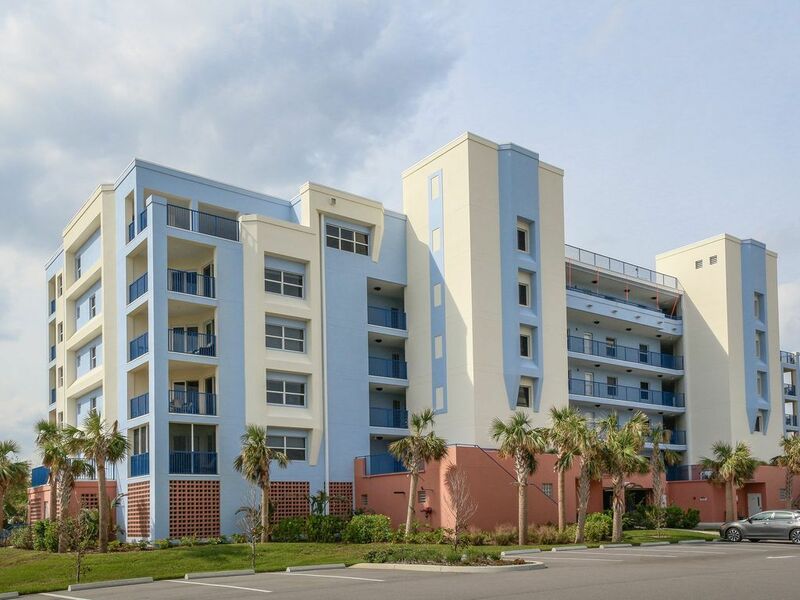 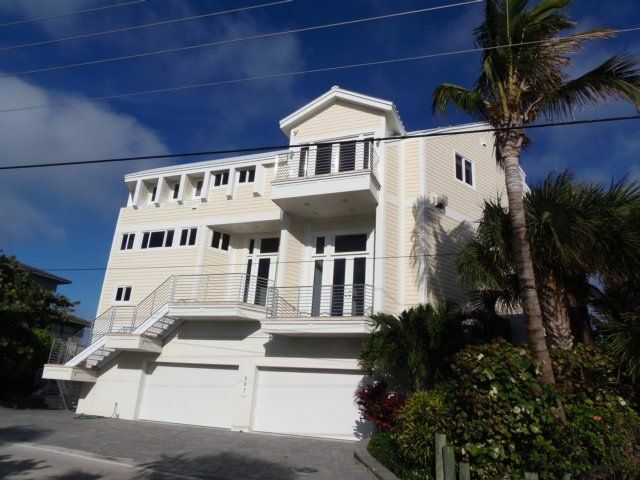 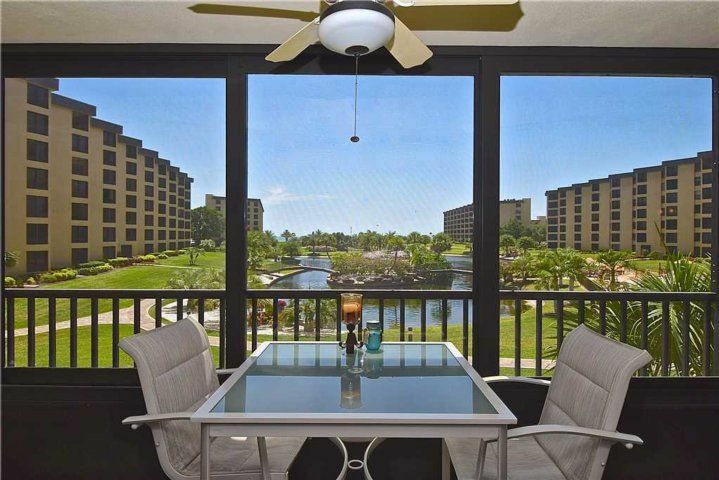 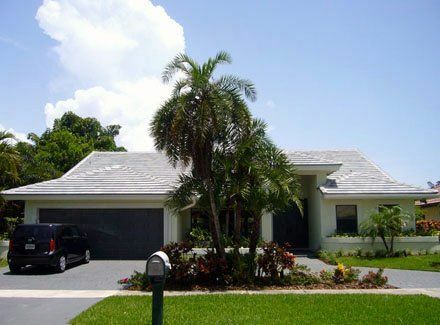 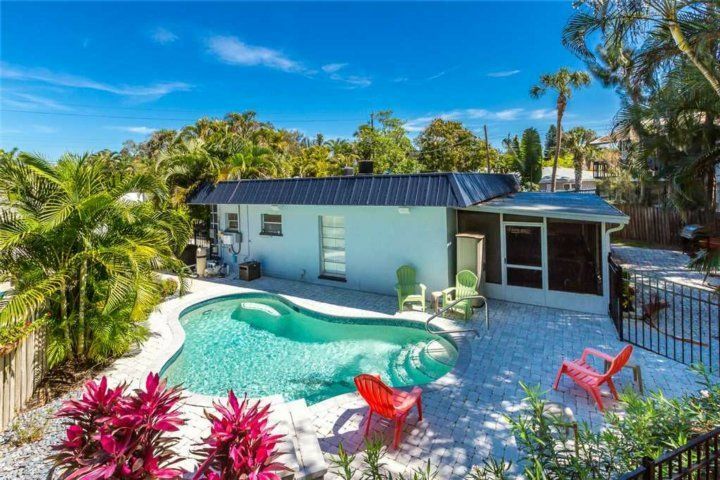 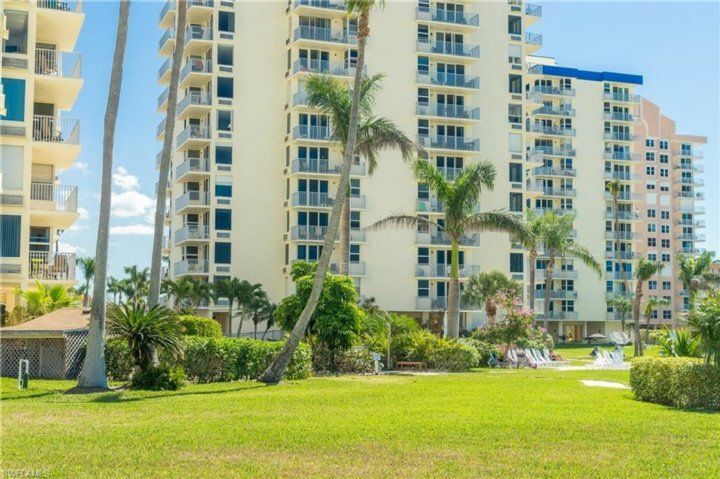 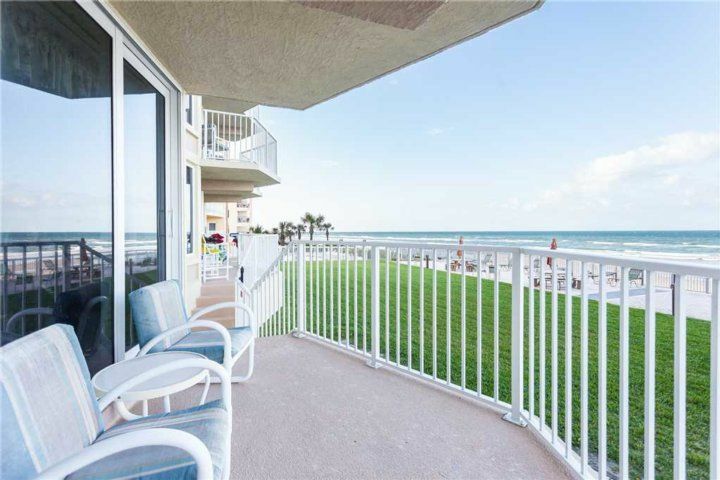 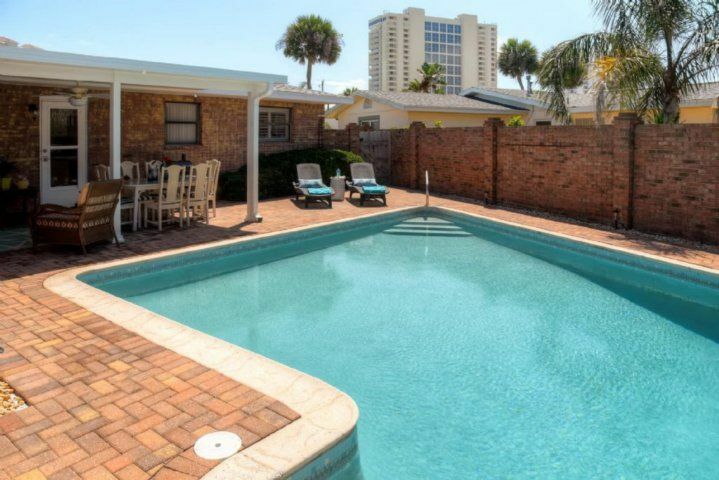 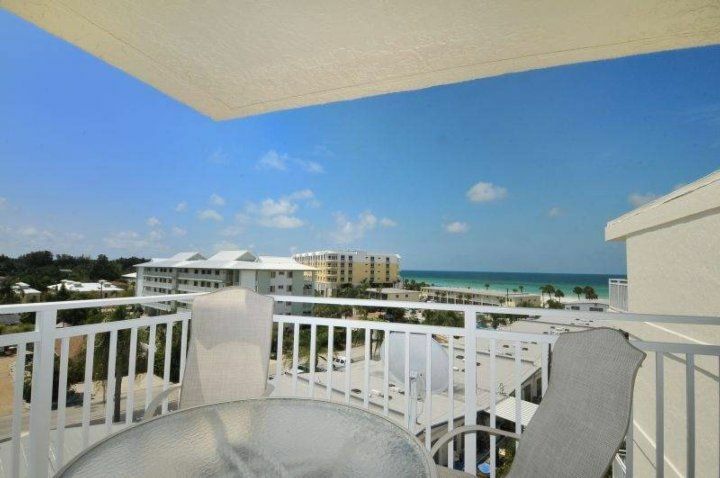 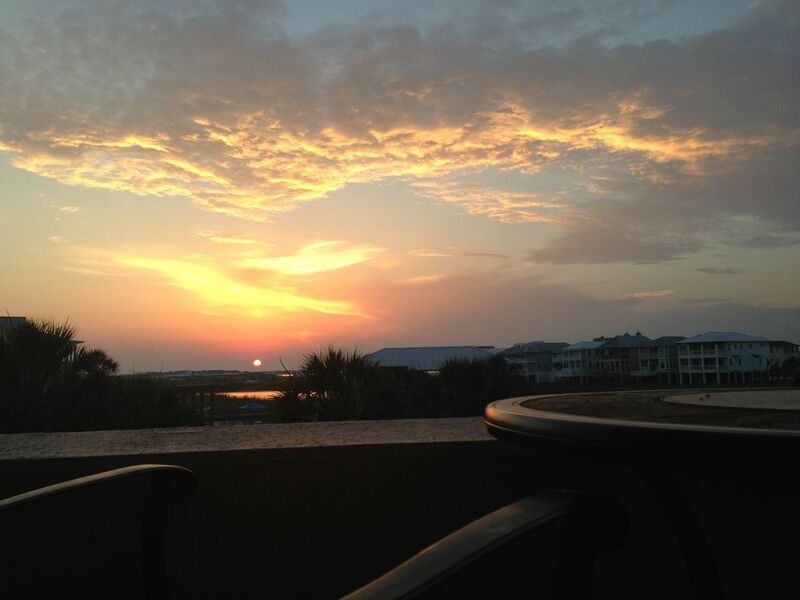 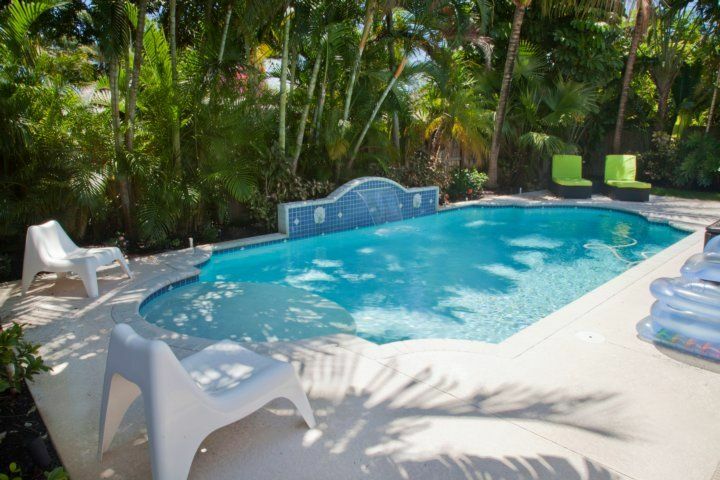 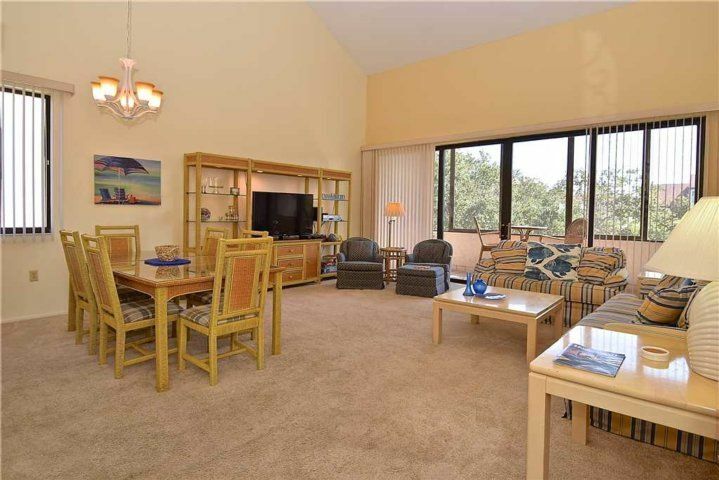 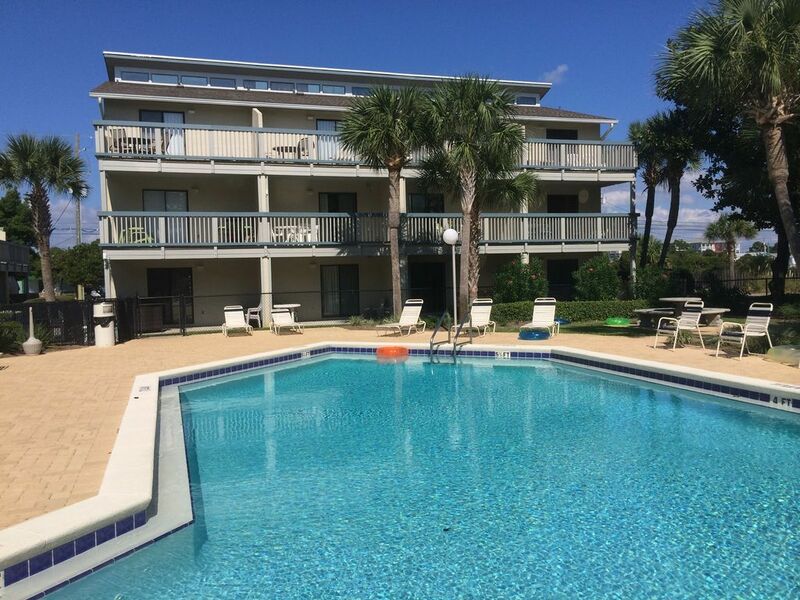 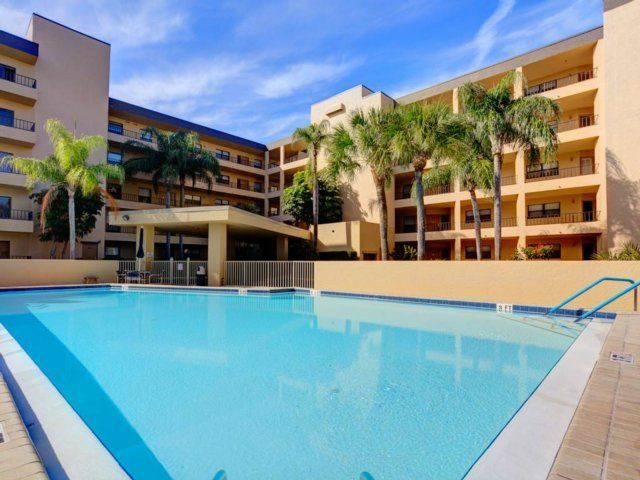 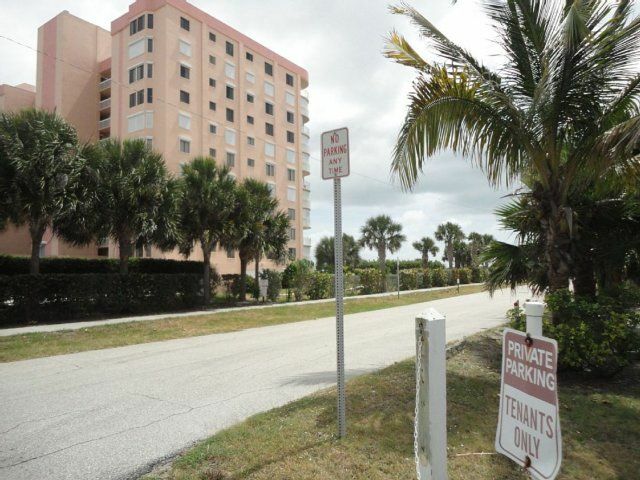 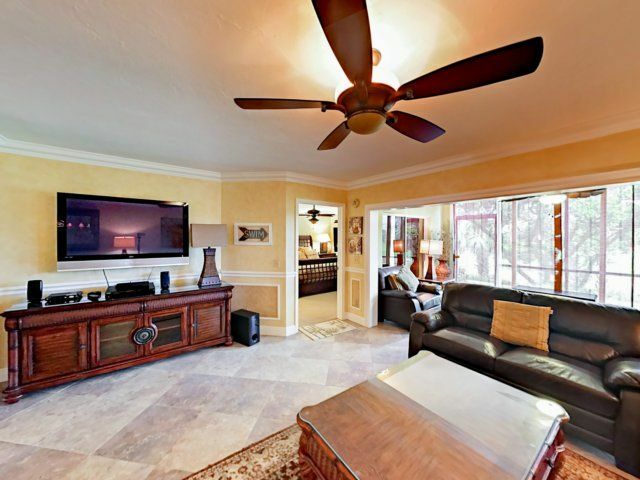 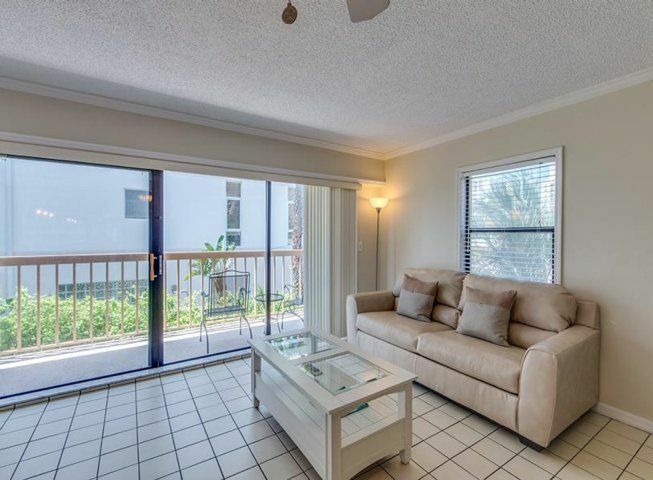 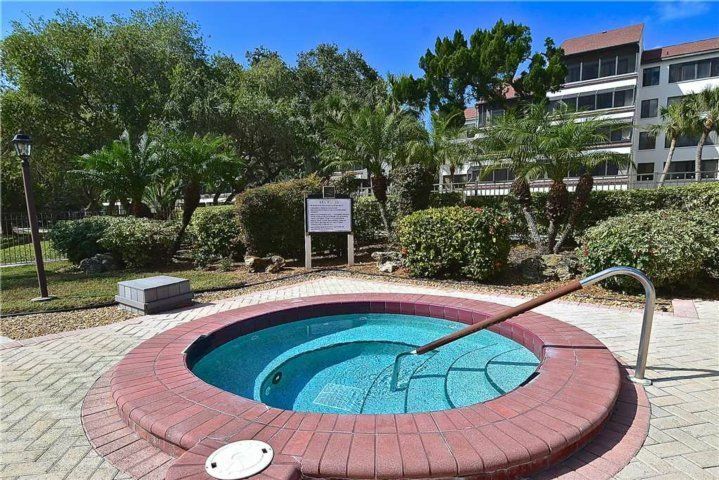 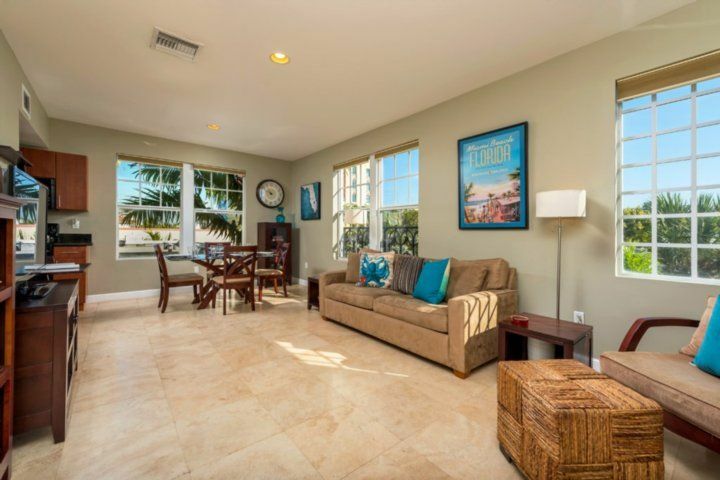 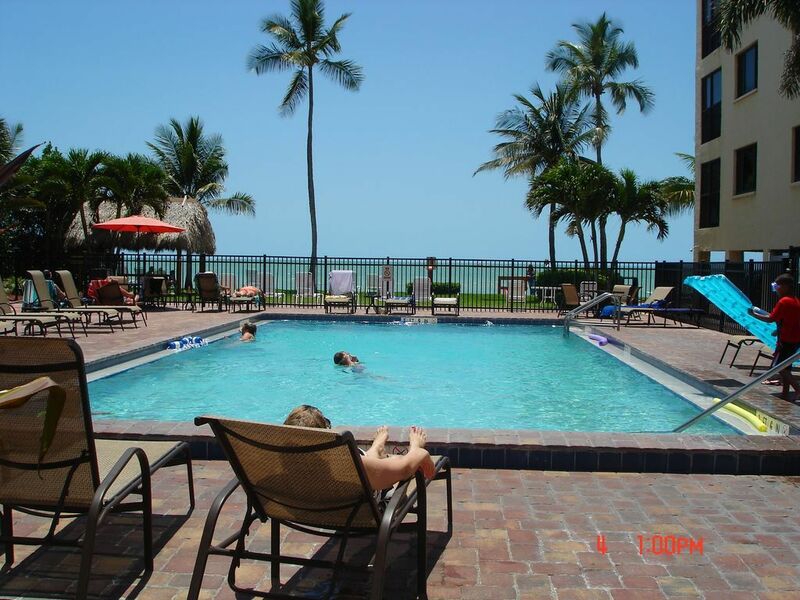 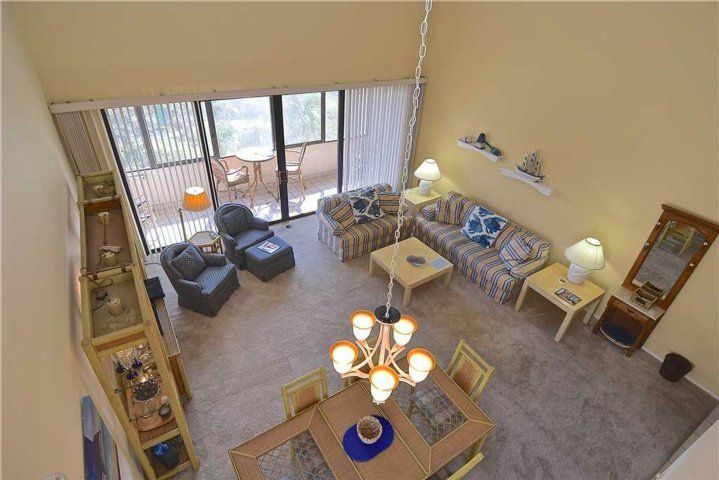 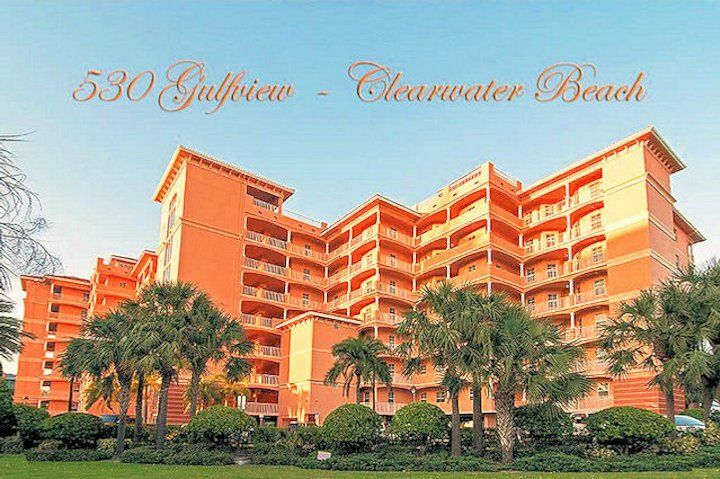 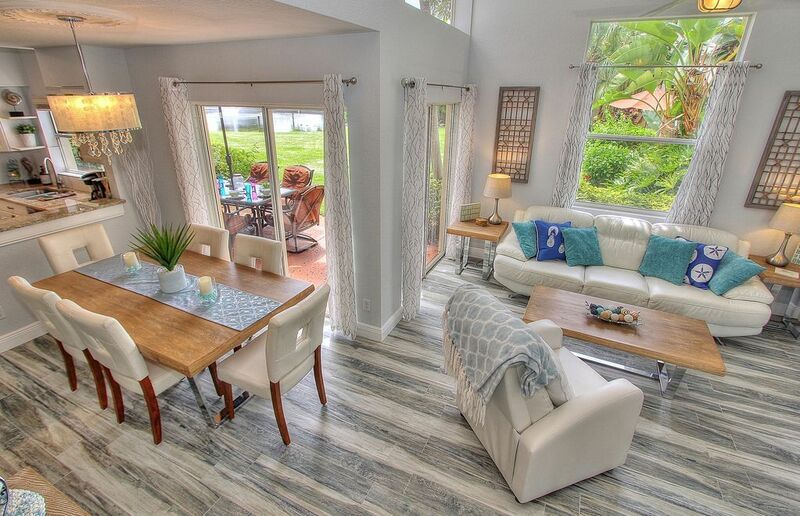 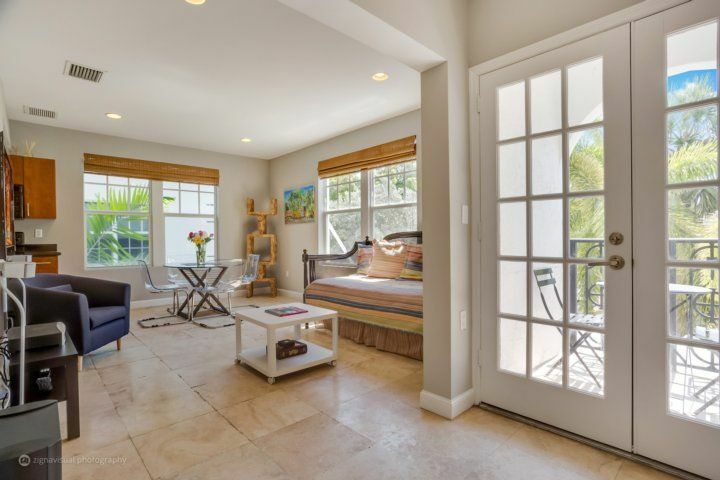 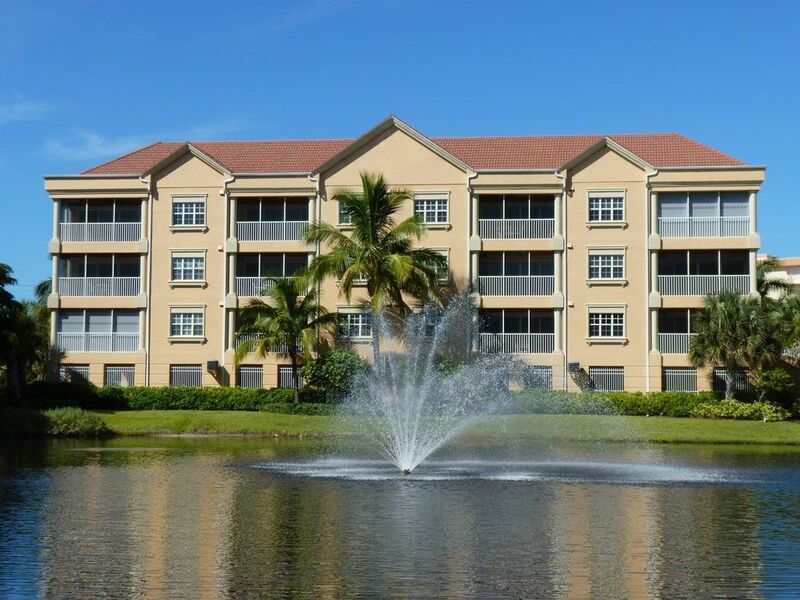 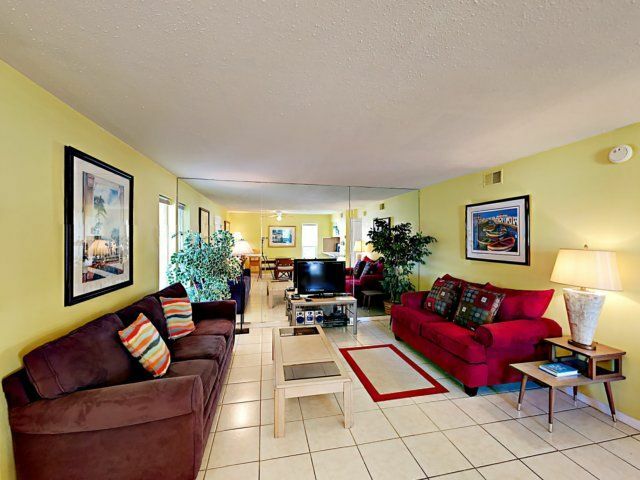 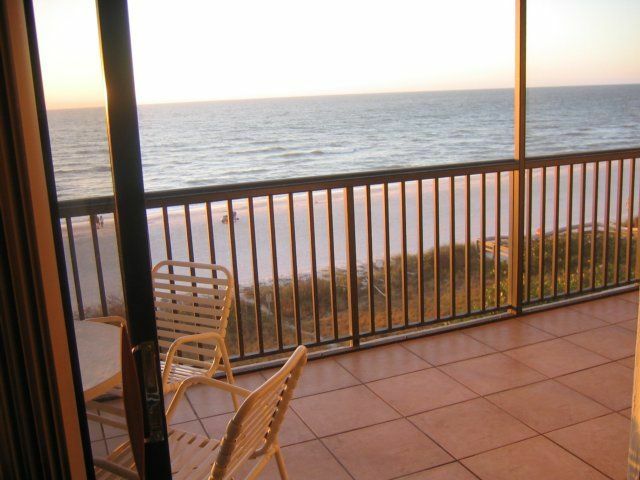 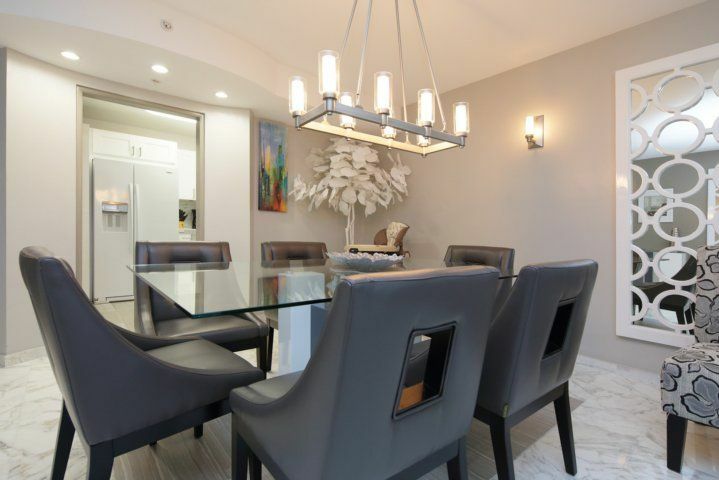 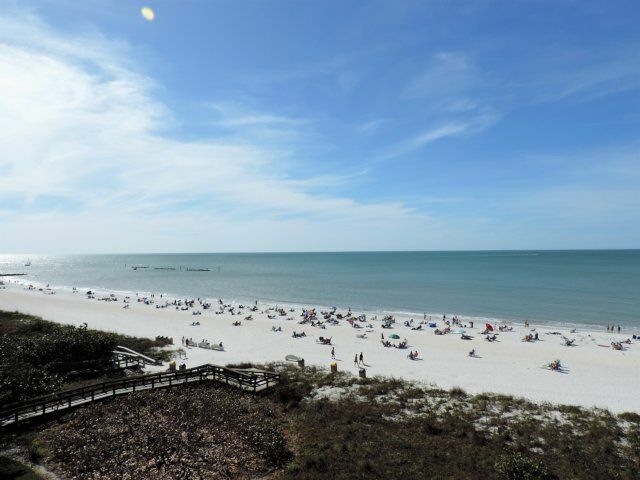 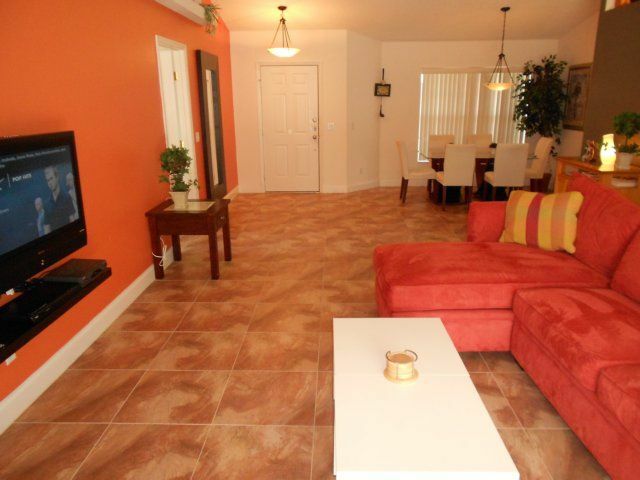 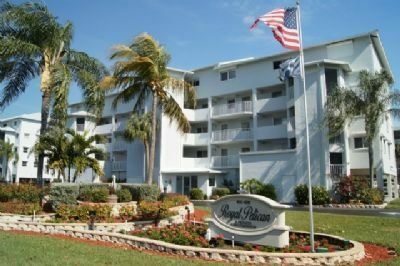 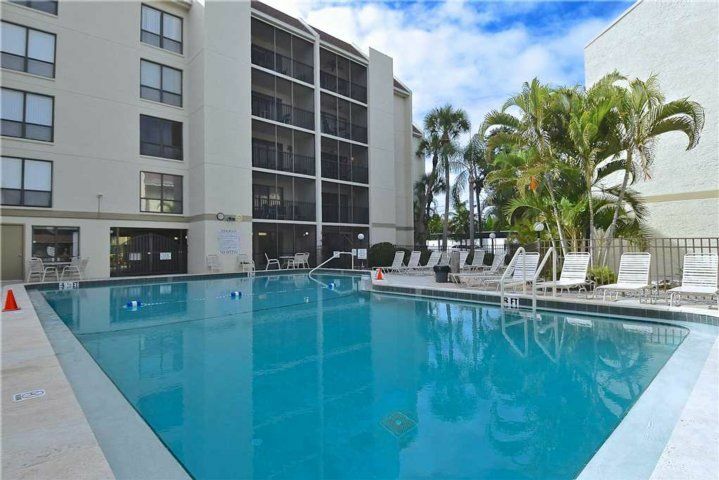 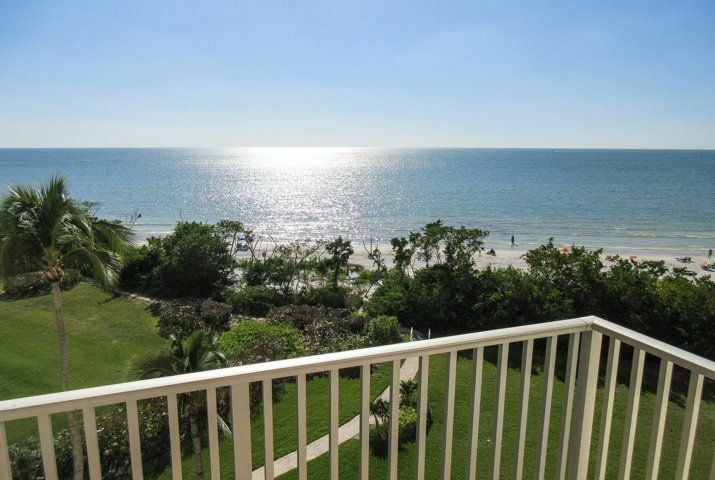 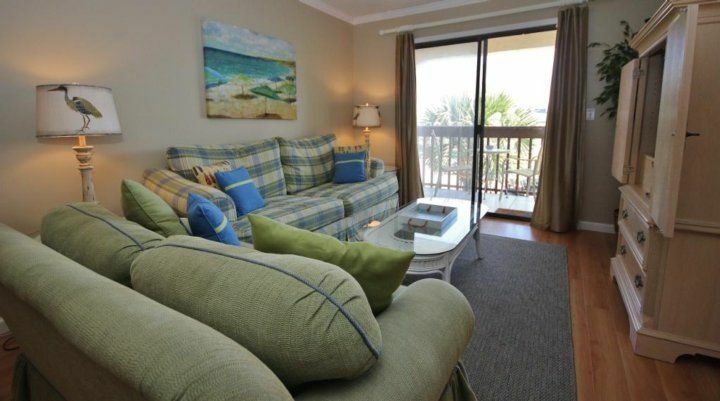 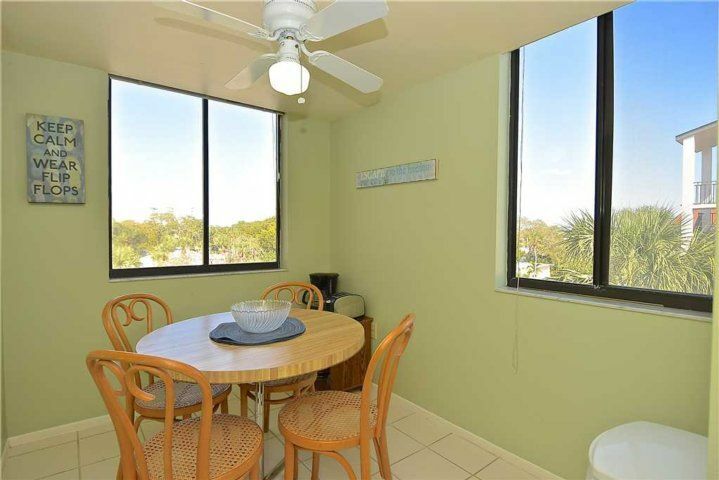 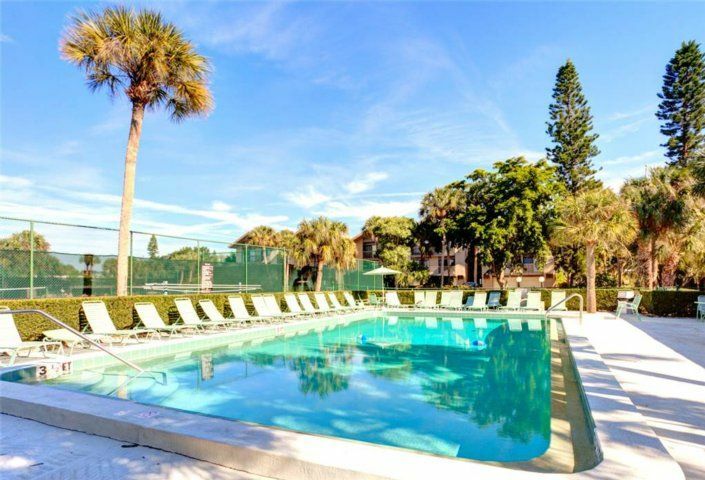 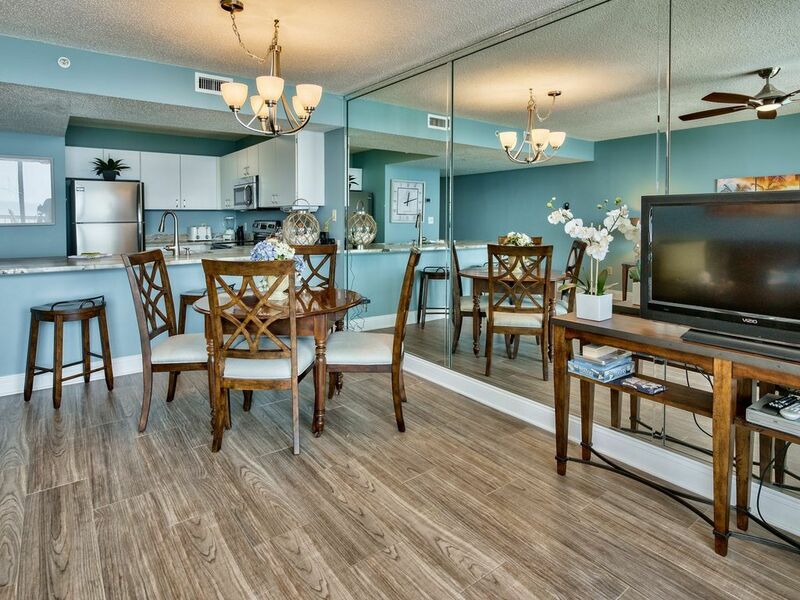 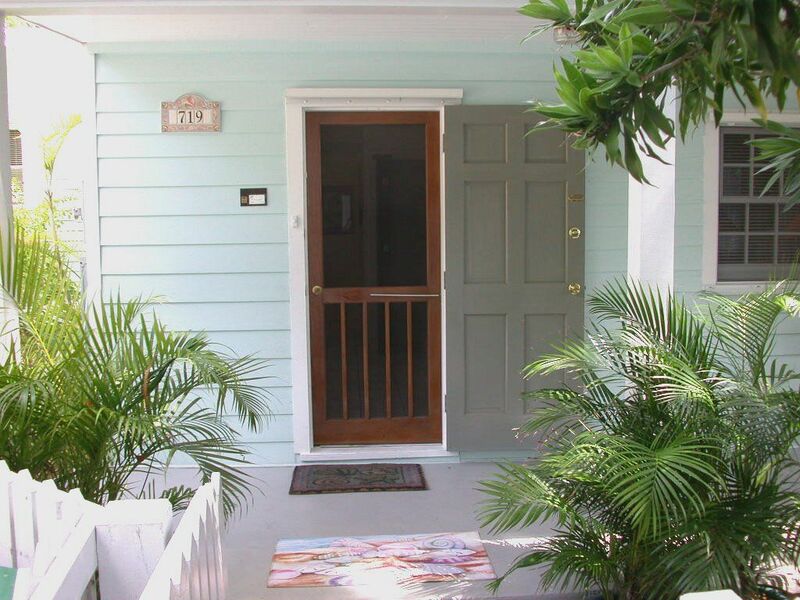 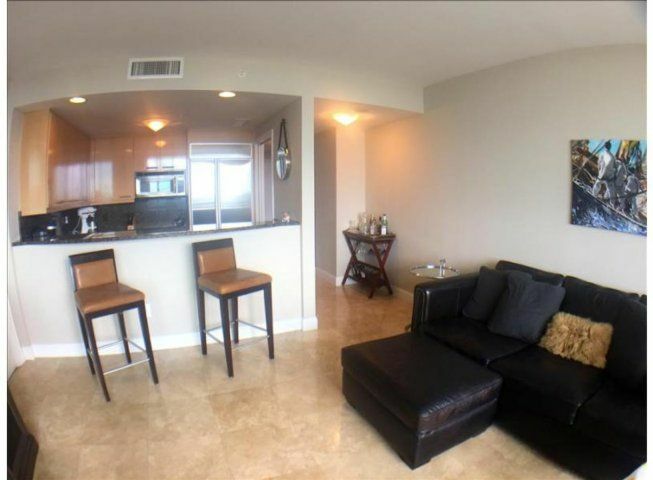 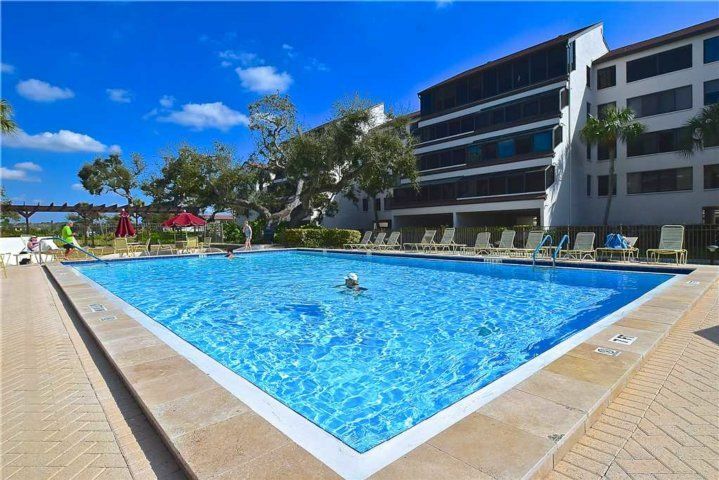 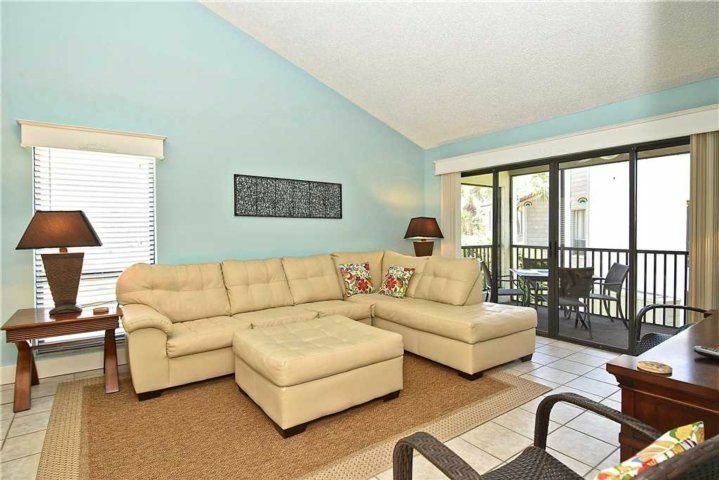 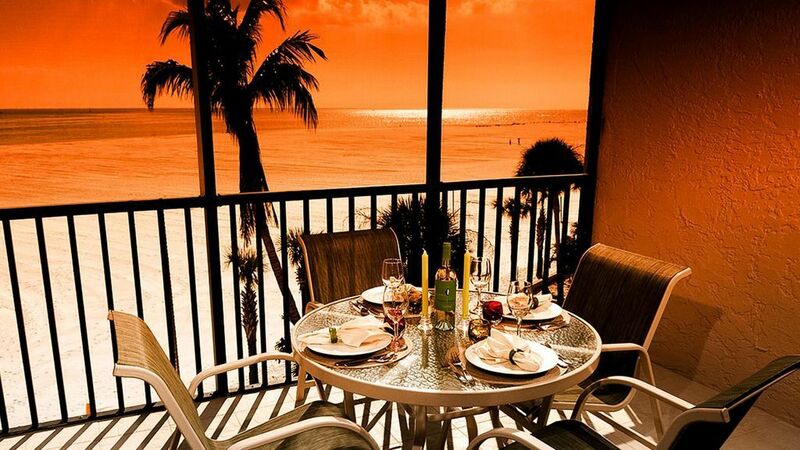 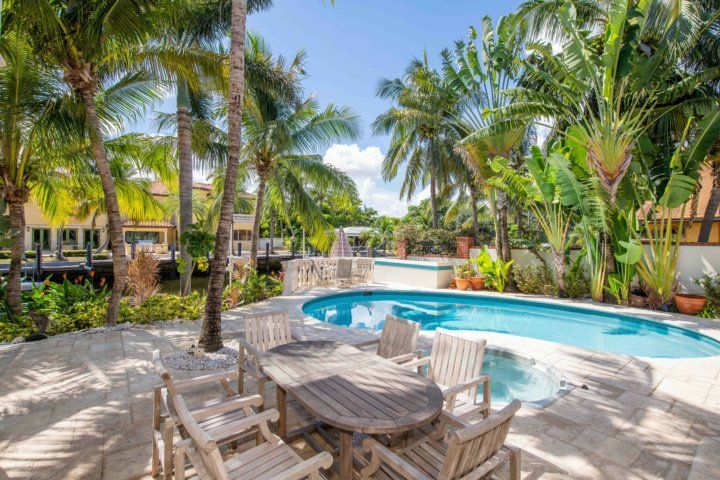 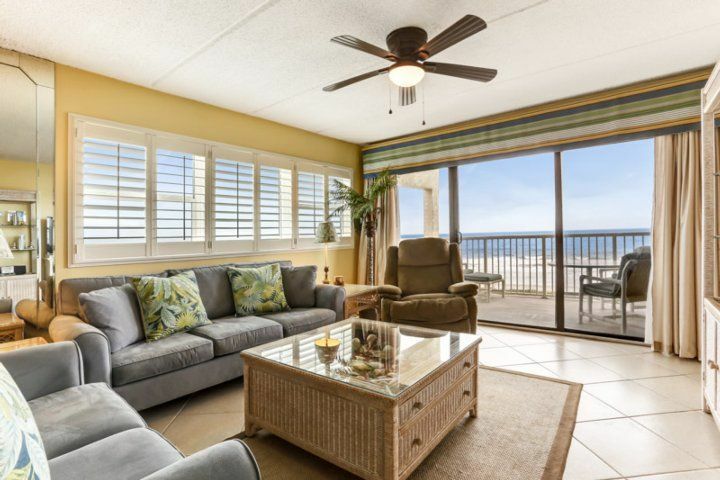 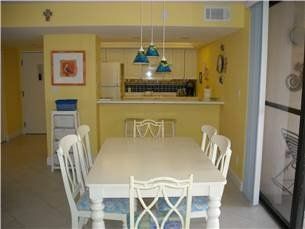 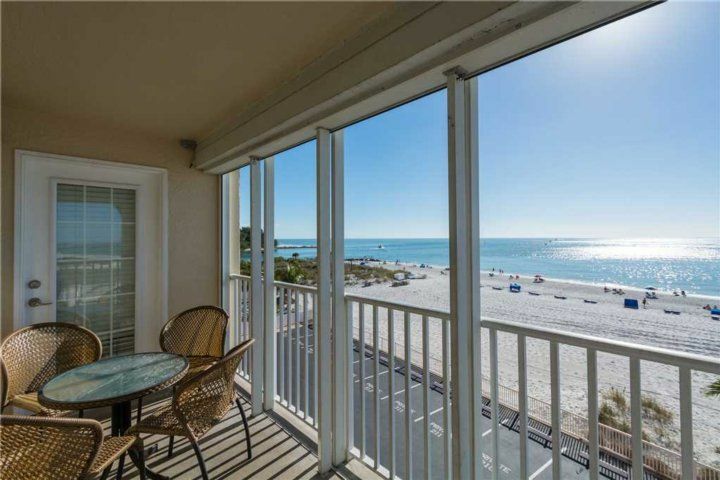 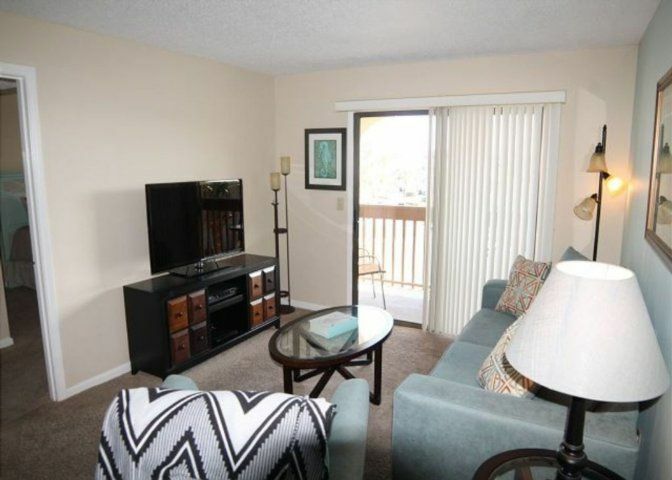 Excelsior is one of the most luxurious condo complexes in Siesta Key. 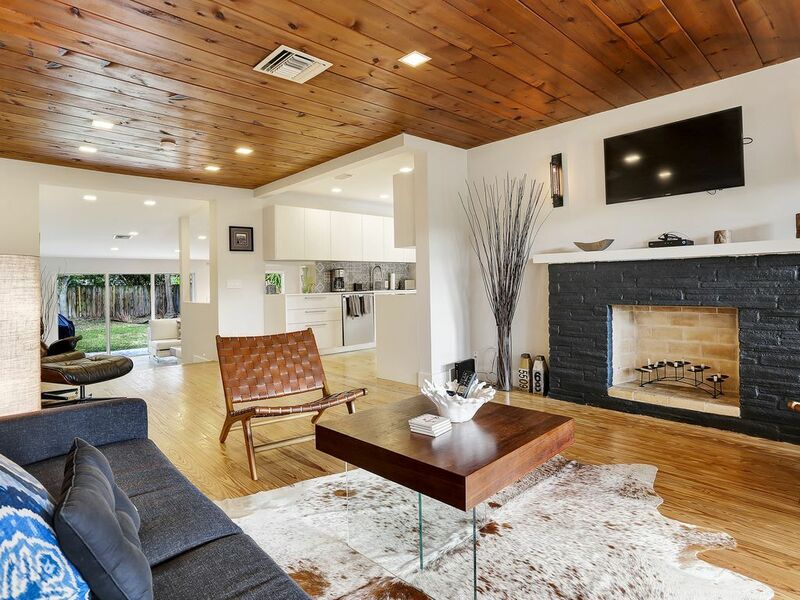 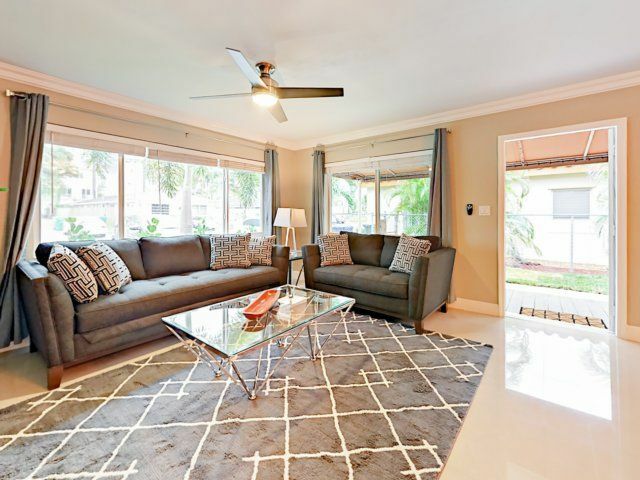 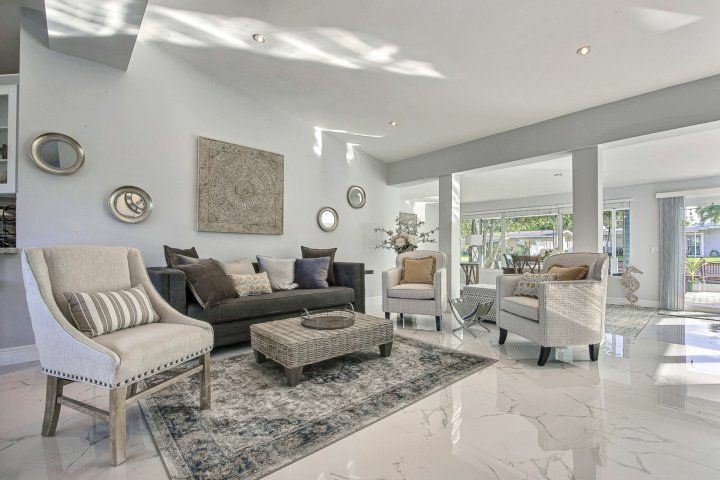 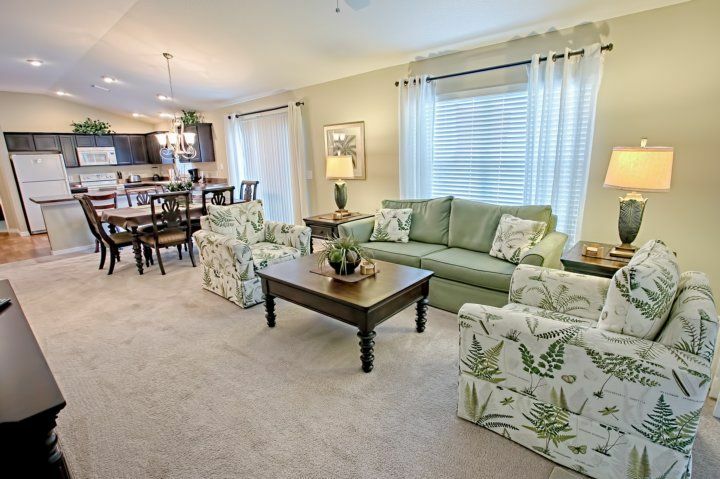 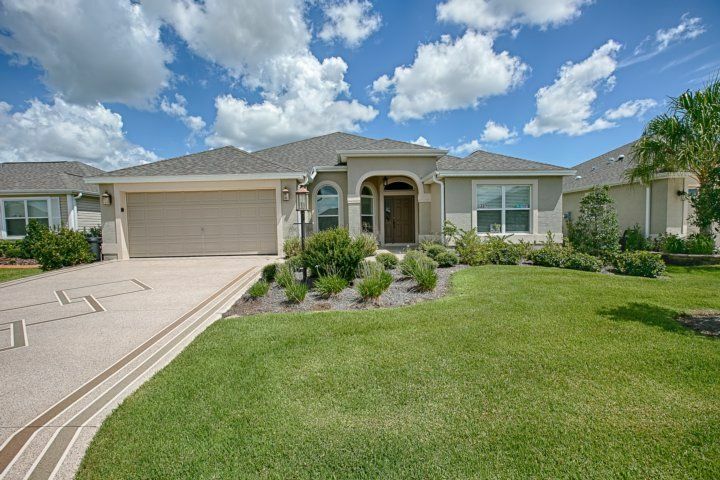 This floor plan features an interior designed to offer luxurious relaxation. 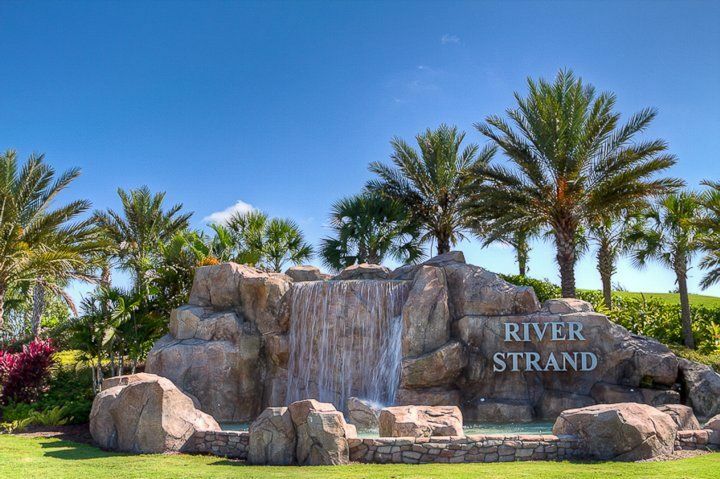 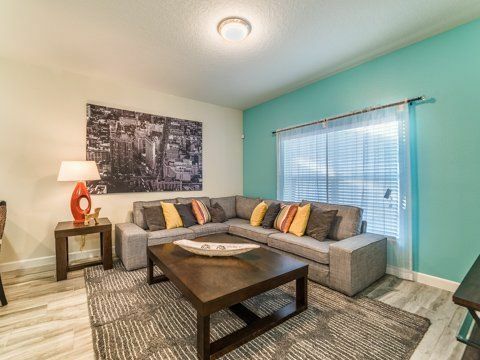 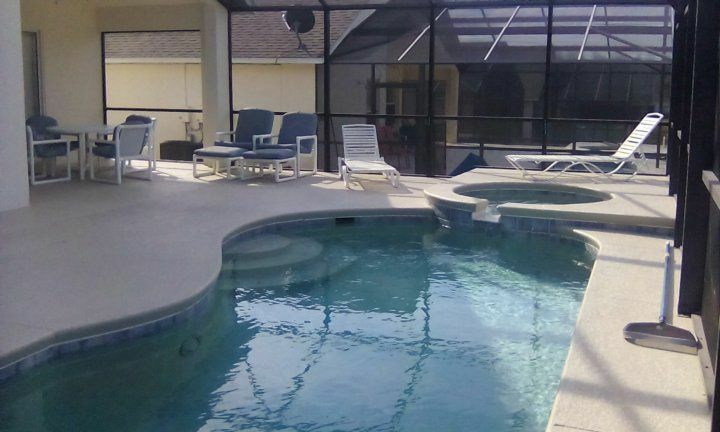 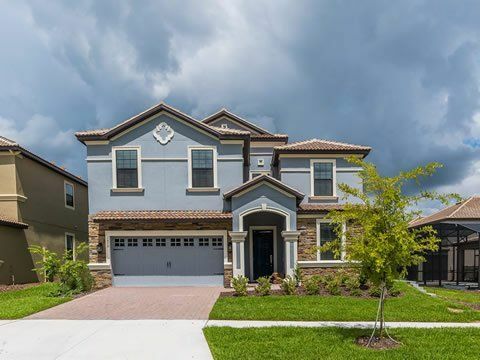 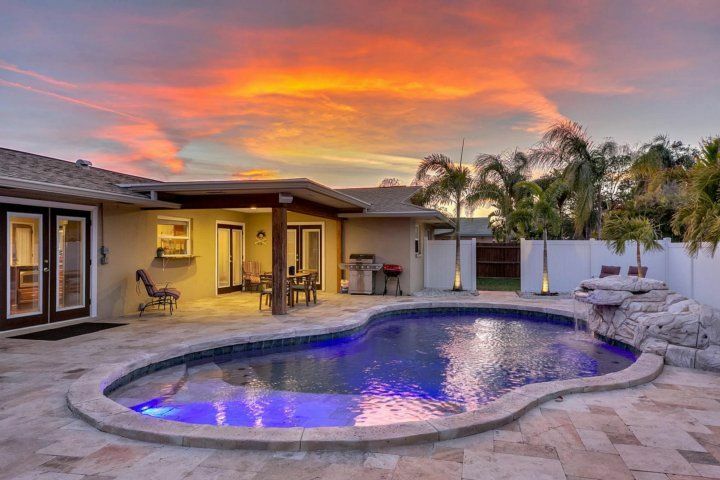 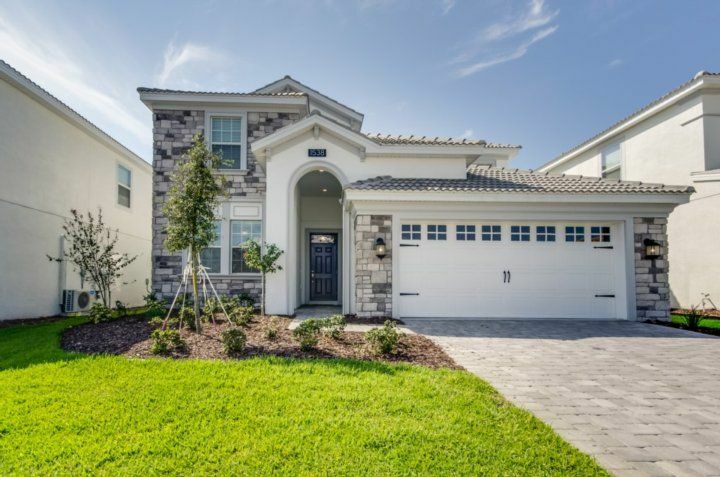 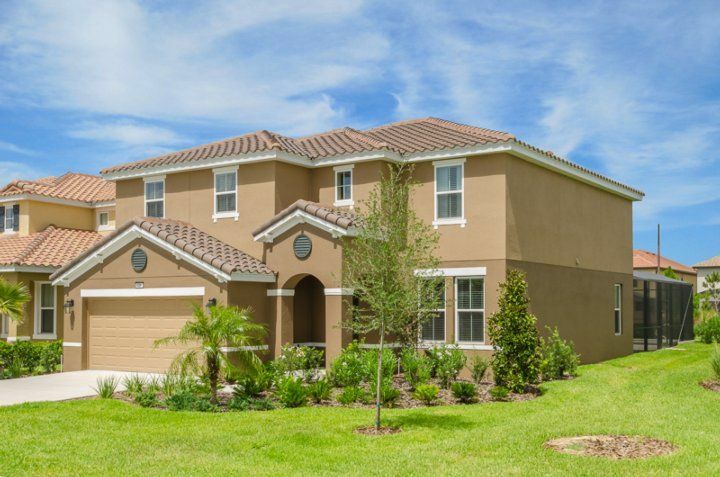 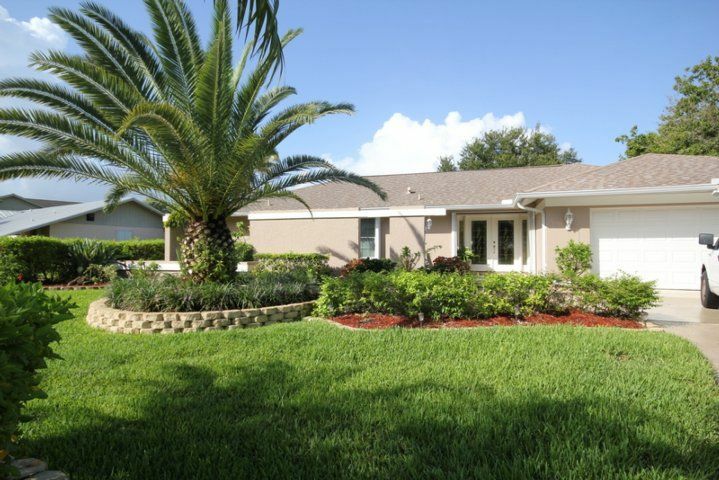 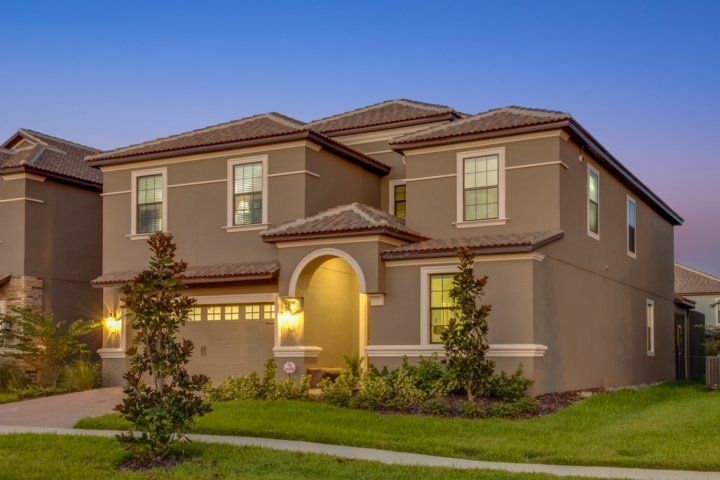 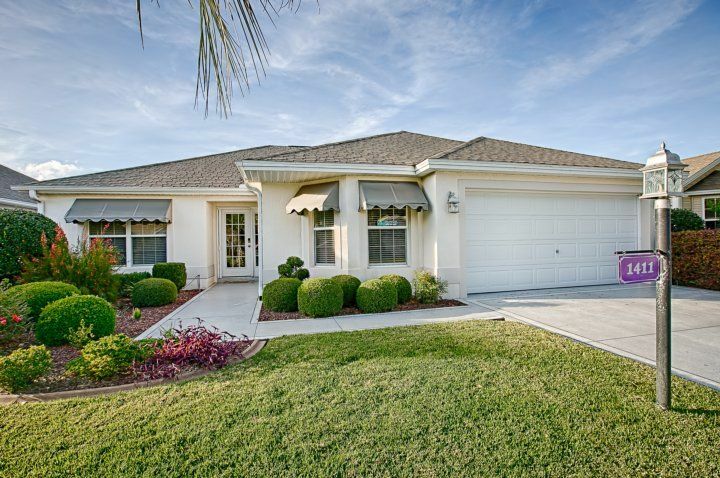 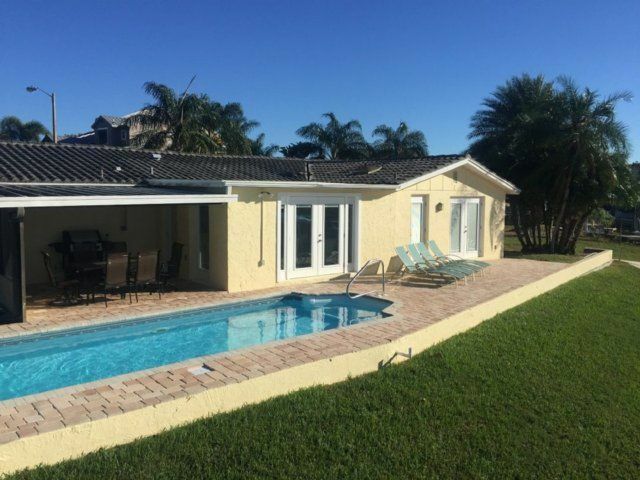 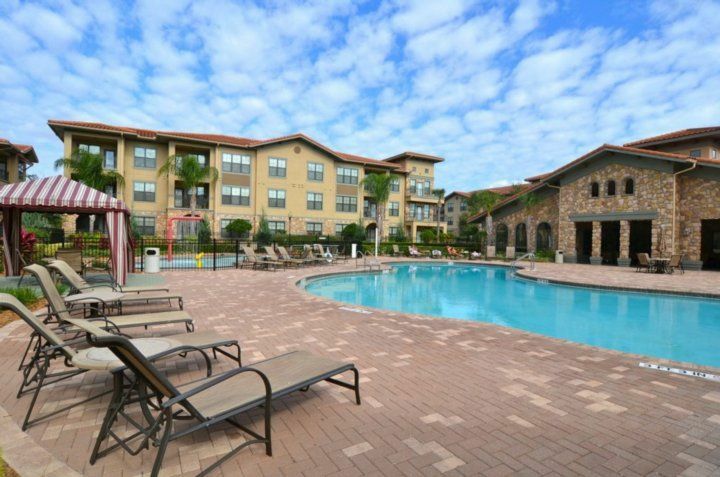 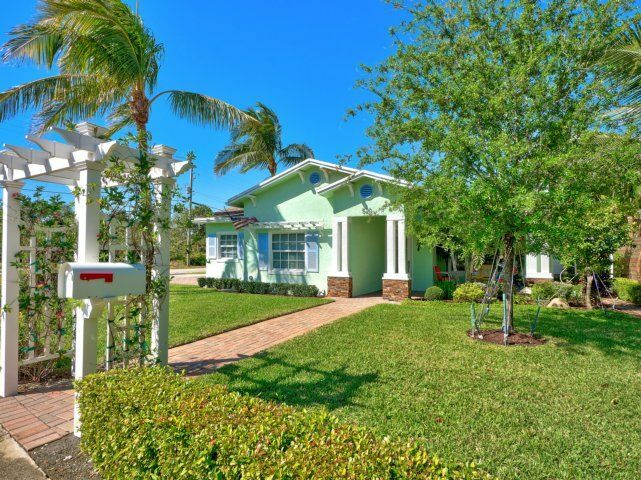 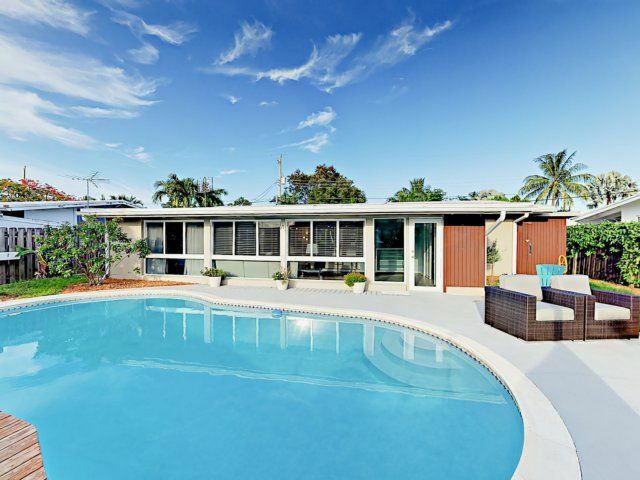 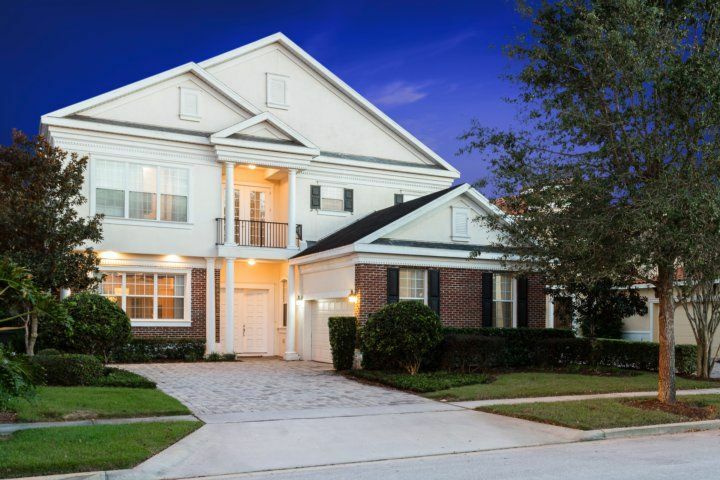 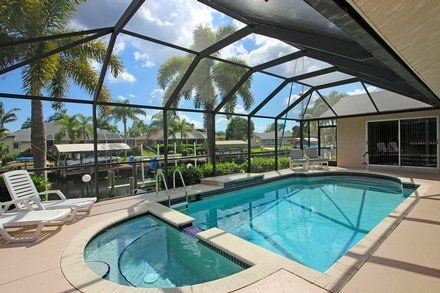 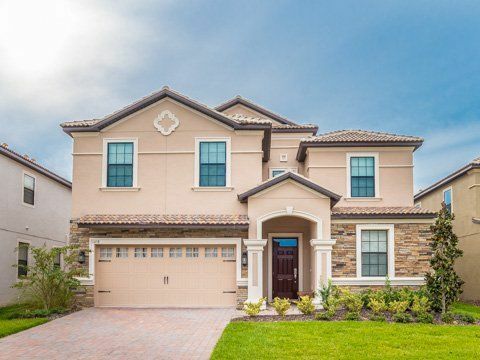 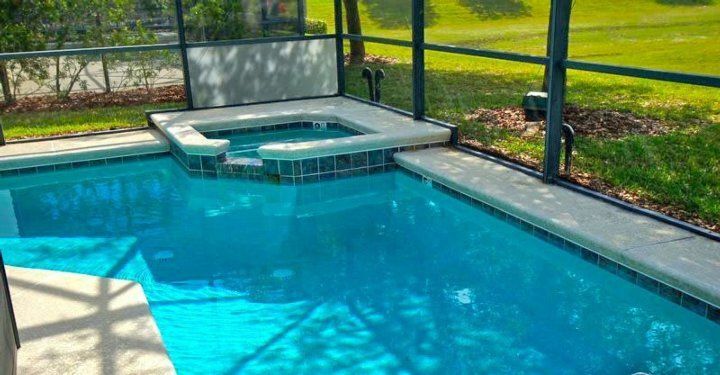 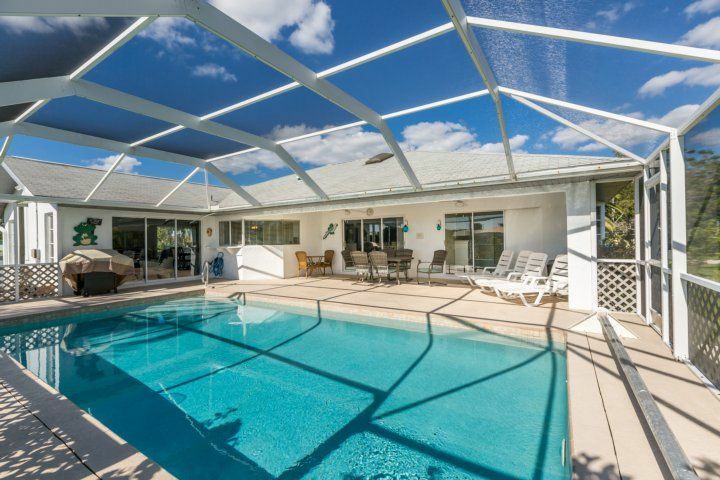 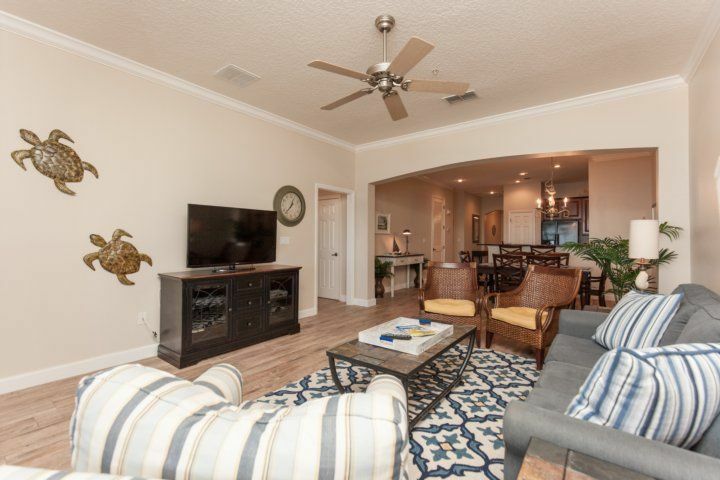 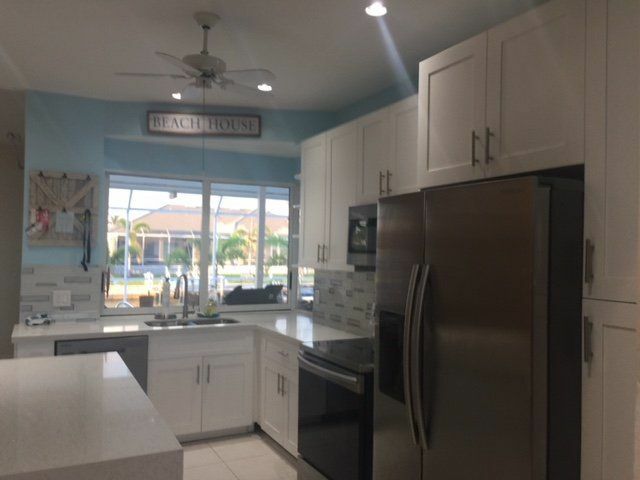 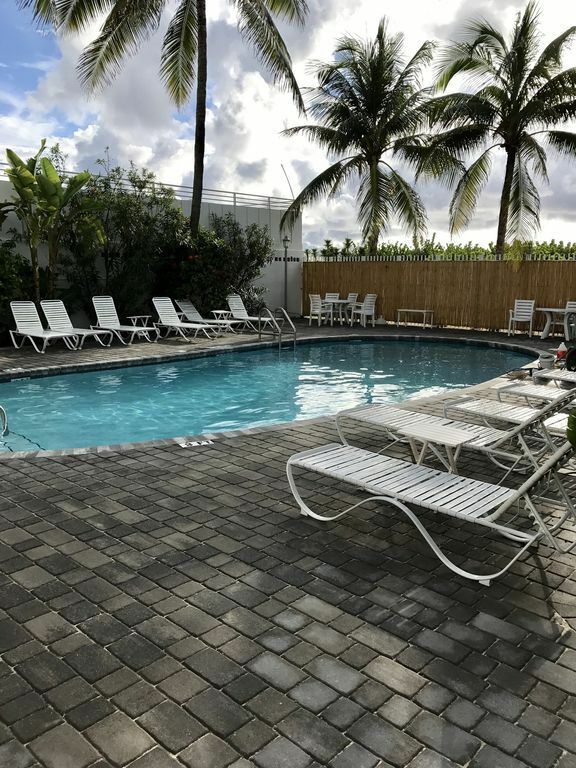 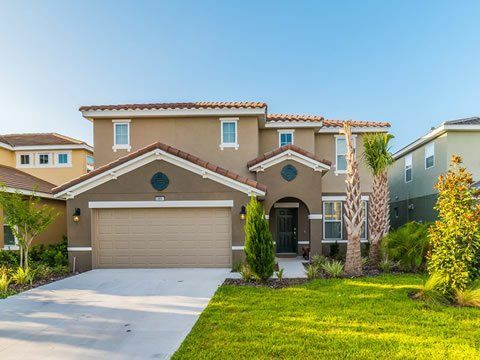 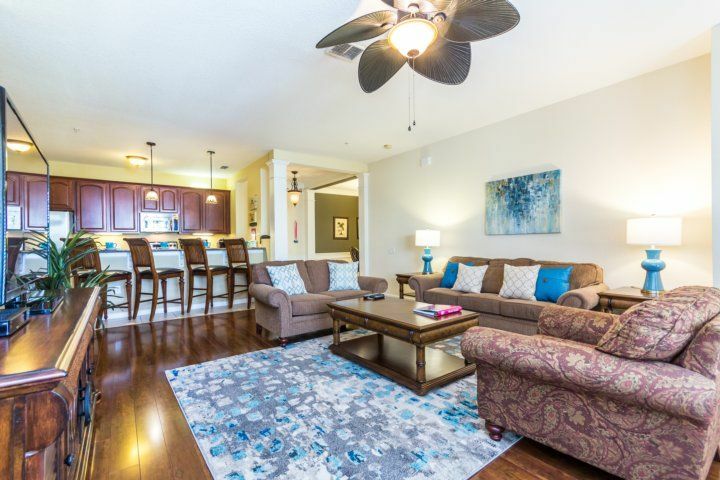 This luxury community includes large heated swimming pools, 2 heated Whirlpools Shuffleboard, 3 lighted tennis courts, outdoor barbecues, picnic areas and much more. 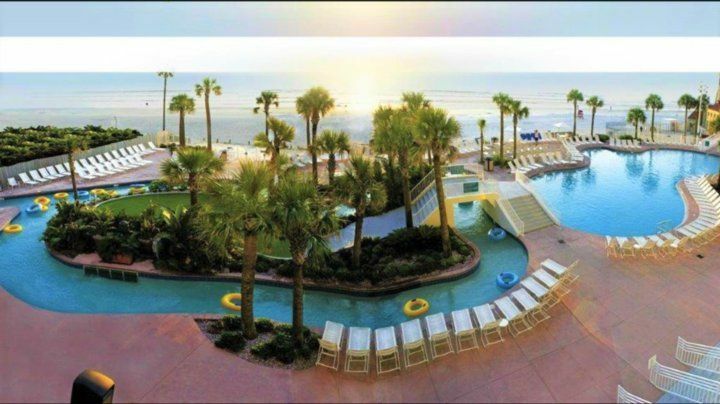 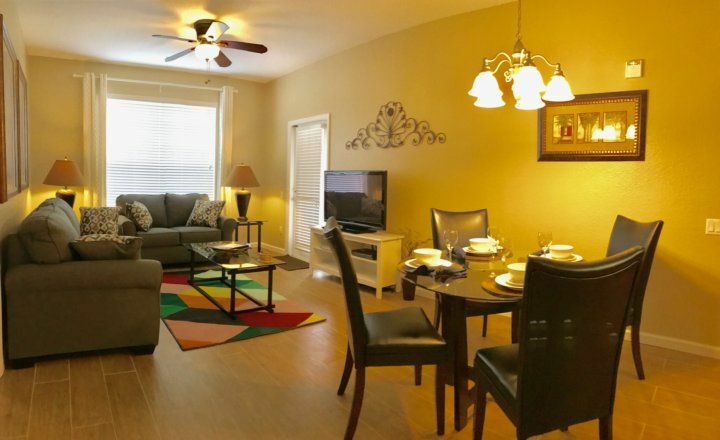 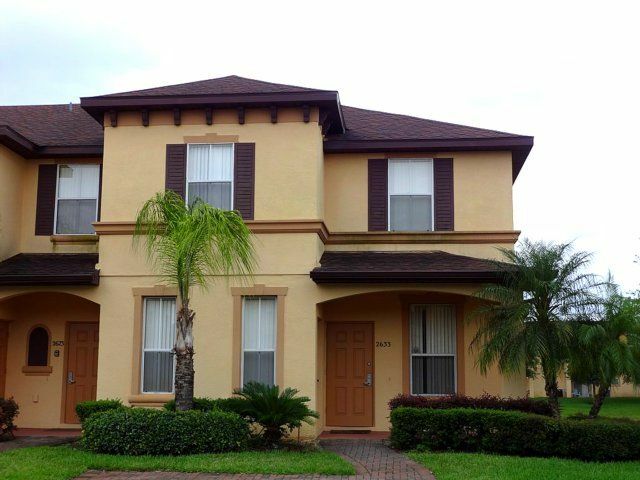 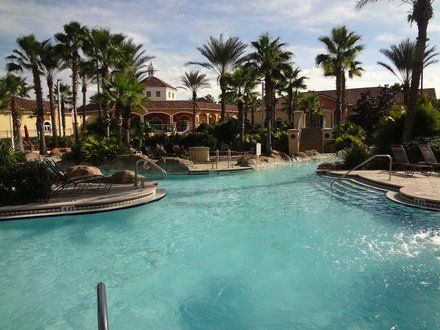 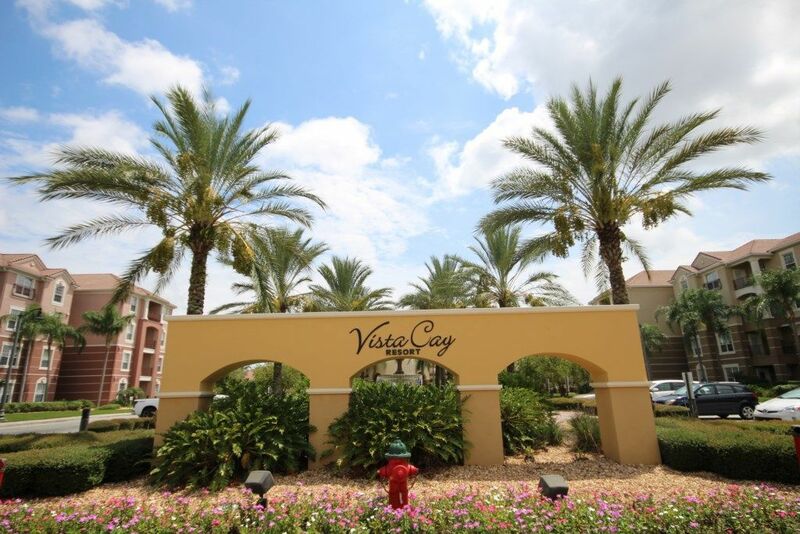 Despite nearby attractions and convenient shopping, you might never leave the resort itself. 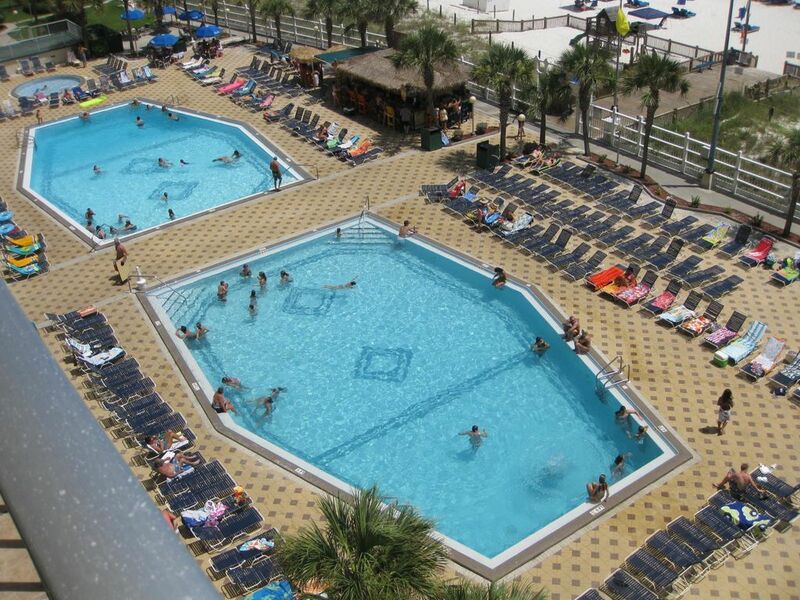 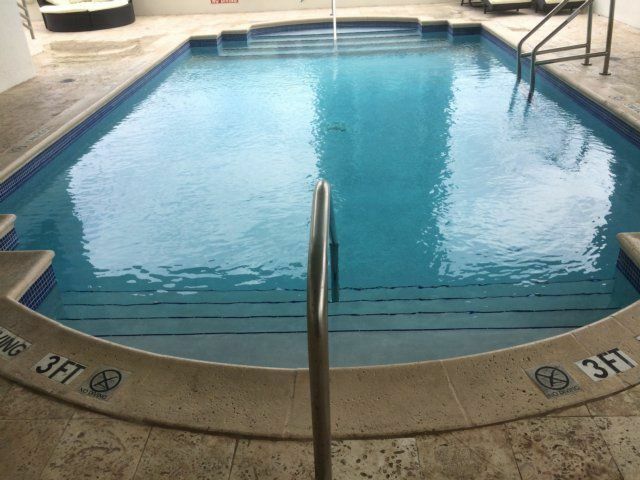 Excelsior’s two heated pools and Jacuzzis offer relaxation in great tropical ambiance. 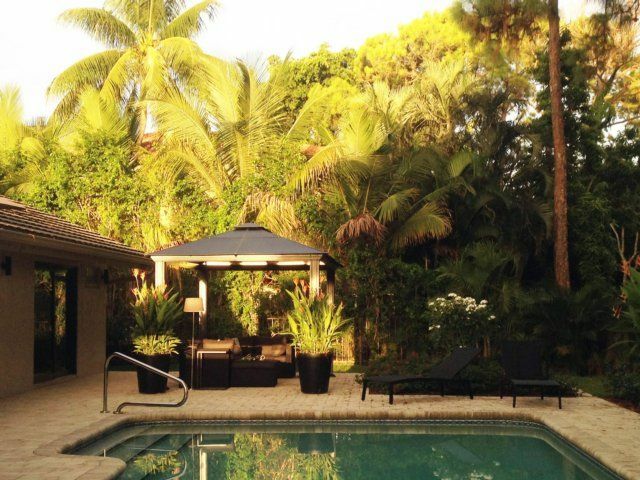 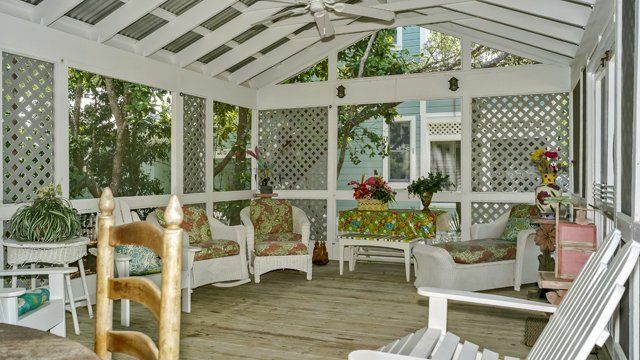 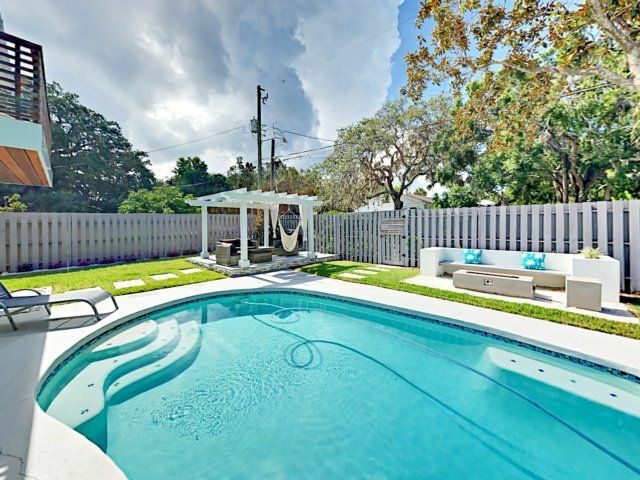 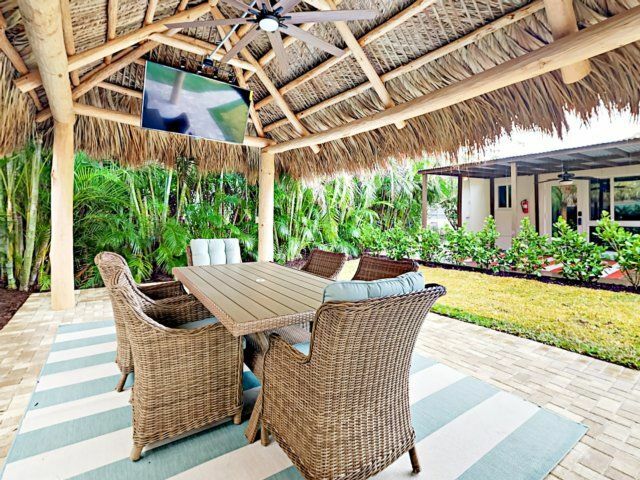 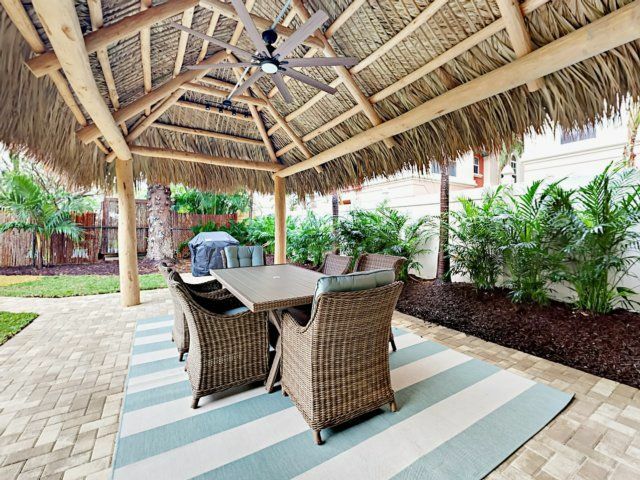 Outdoor poolside patio seating offers shade and tropical greenery under a long trellis. 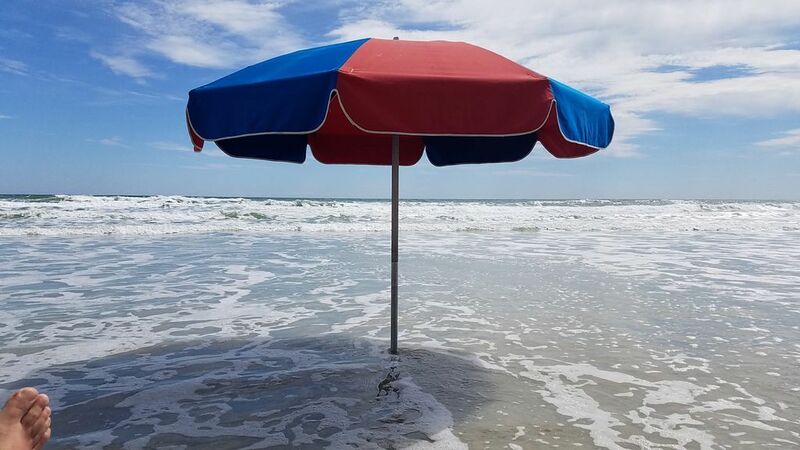 Umbrellas provide shade if and when you want it. 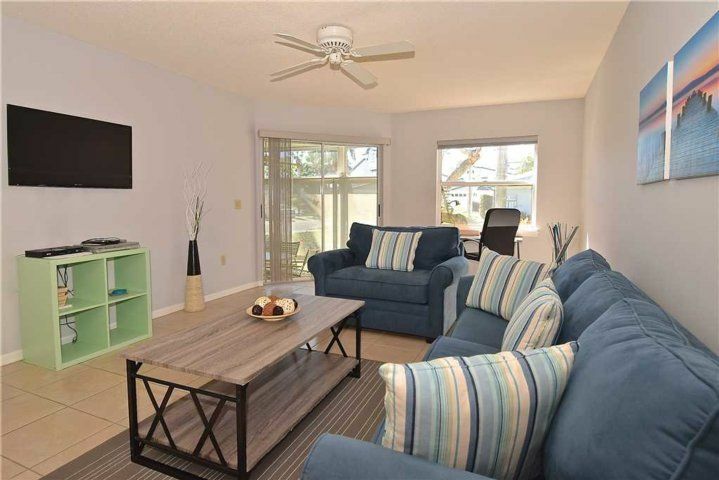 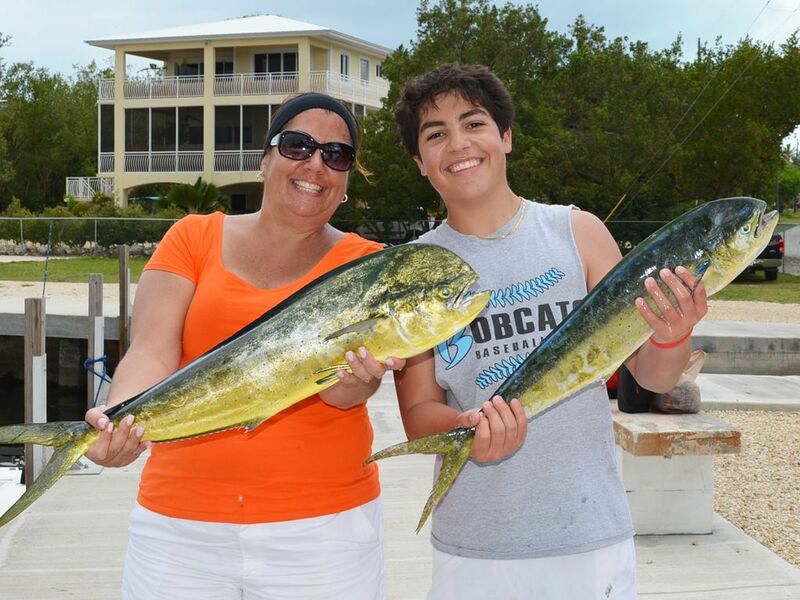 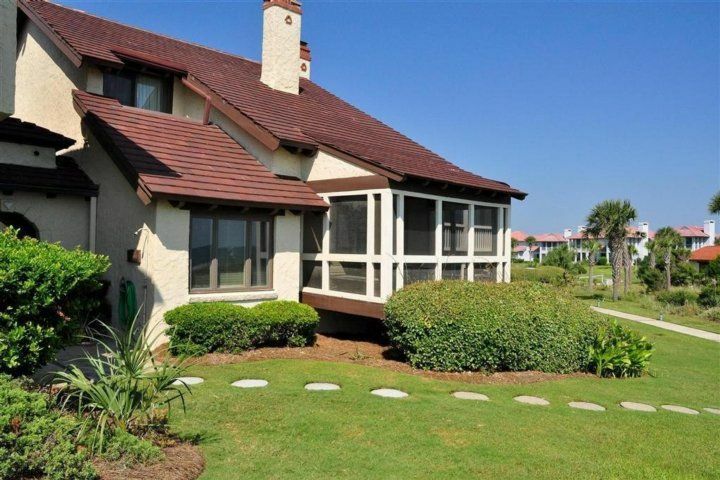 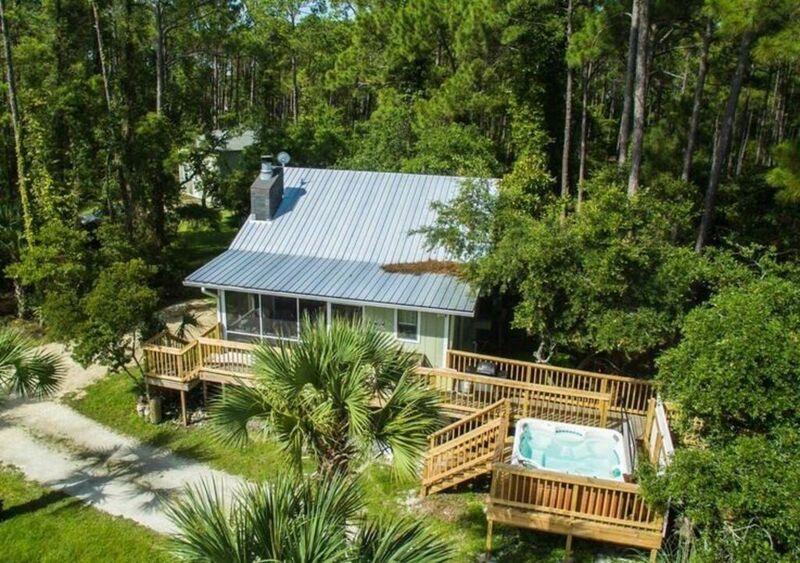 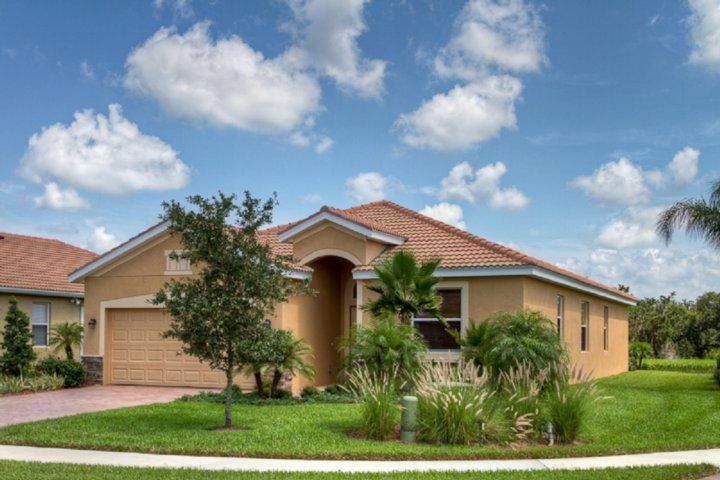 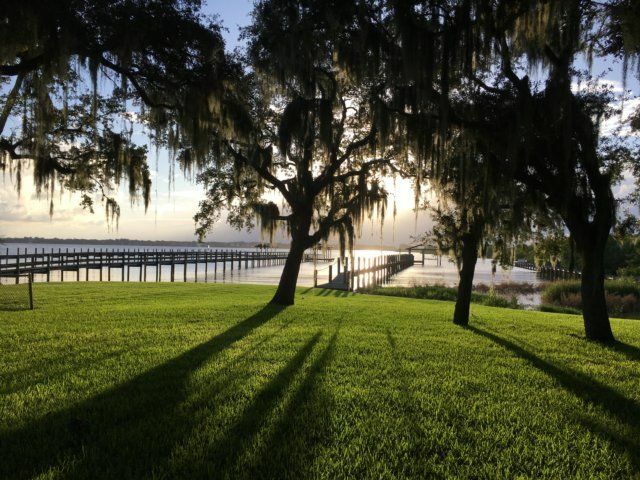 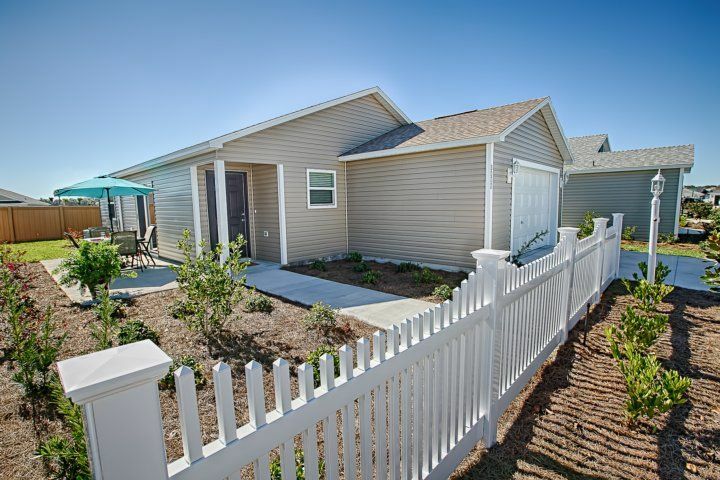 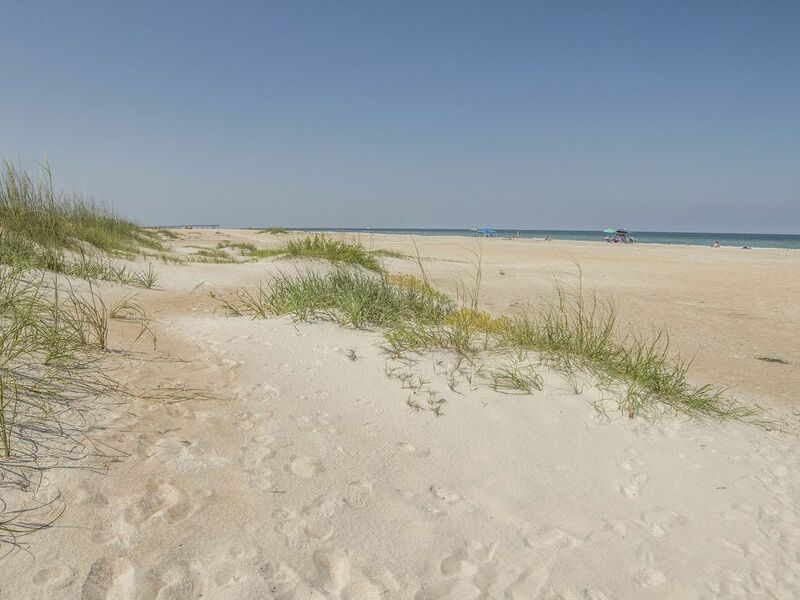 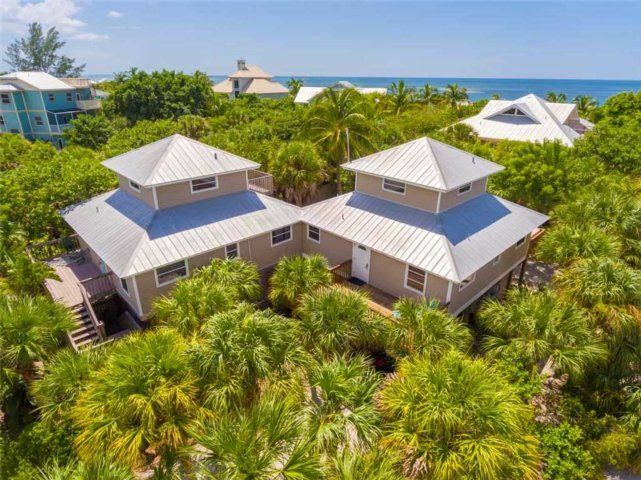 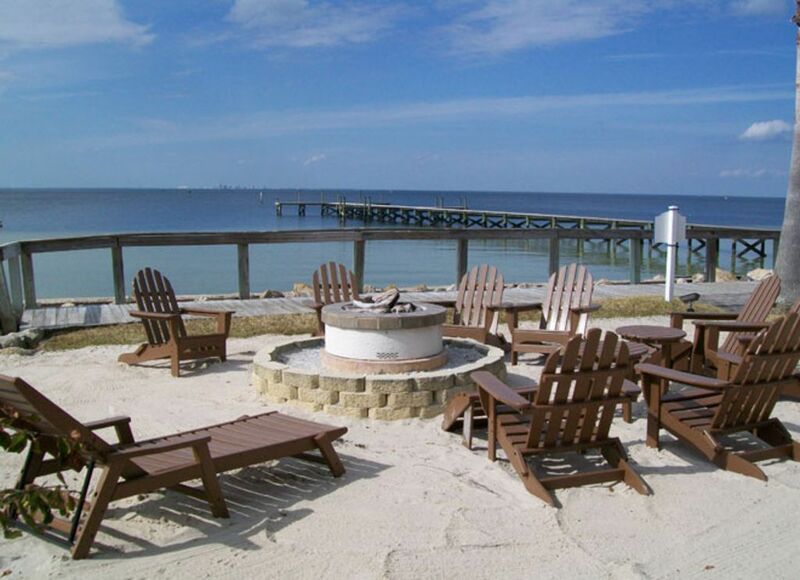 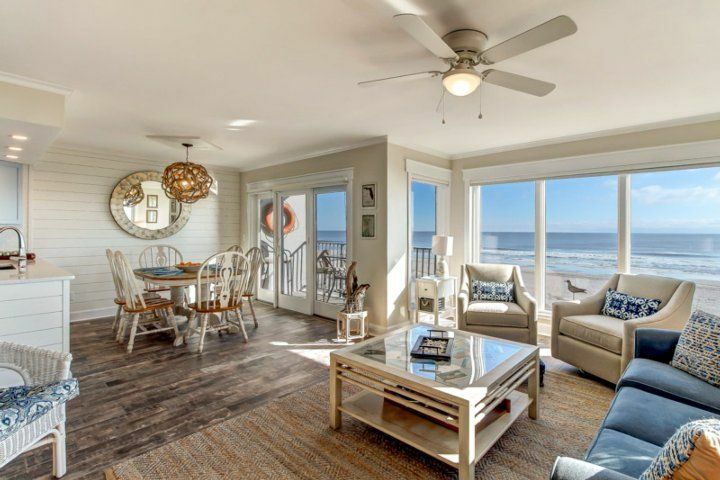 On-site tennis courts, shuffleboard and recreation options will keep your calendar full, while barbecues, picnic and fishing areas keep your tummy full, too. 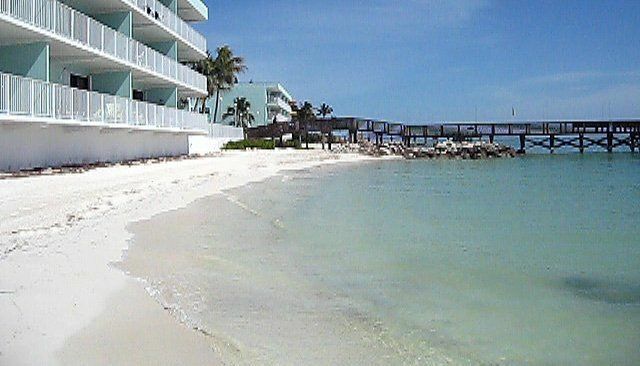 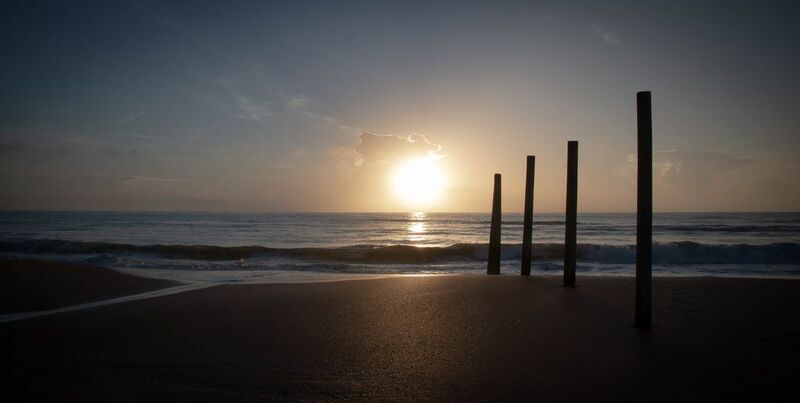 The gorgeous beach, endorsed by the Travel Channel as having the country’s best sand, becomes almost an after-thought. 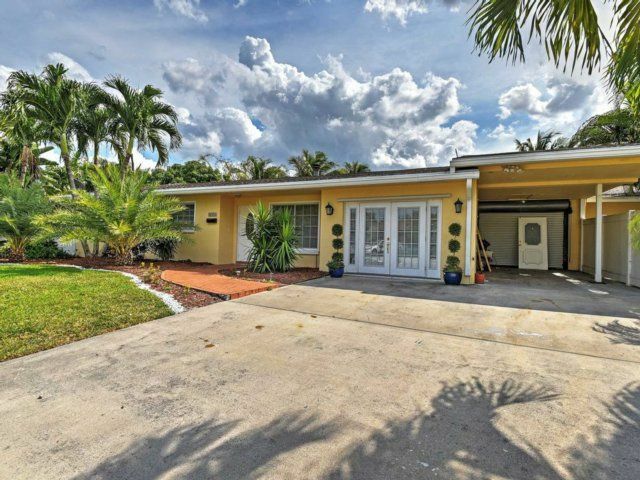 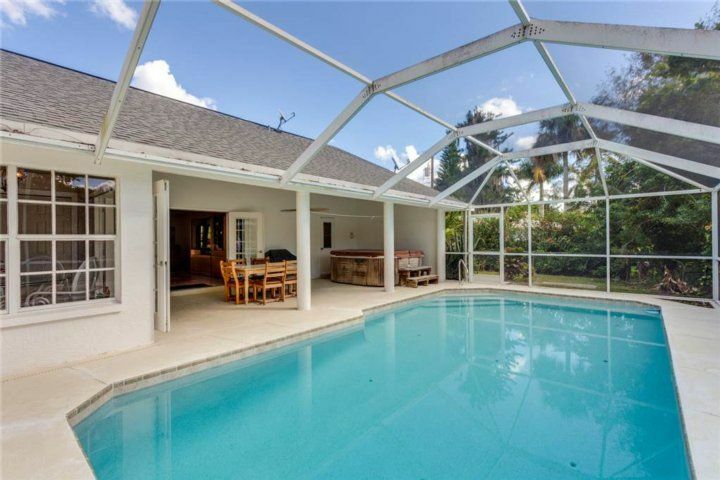 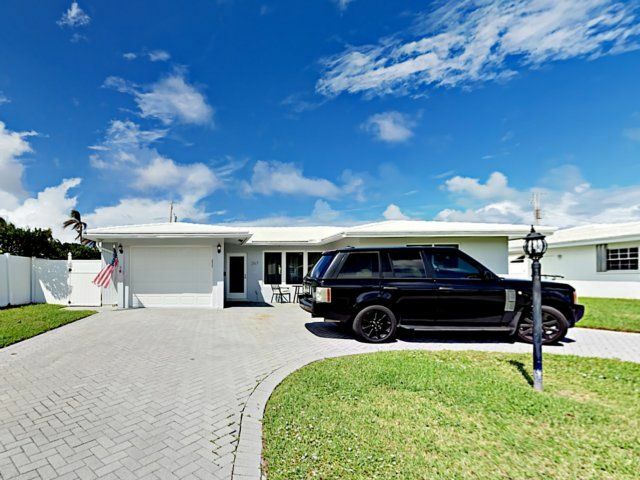 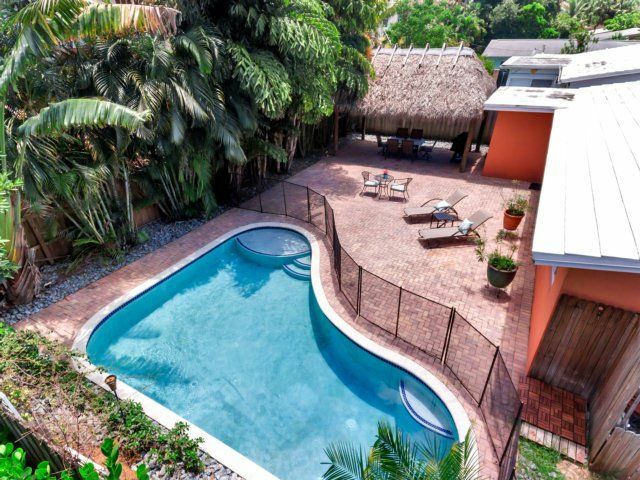 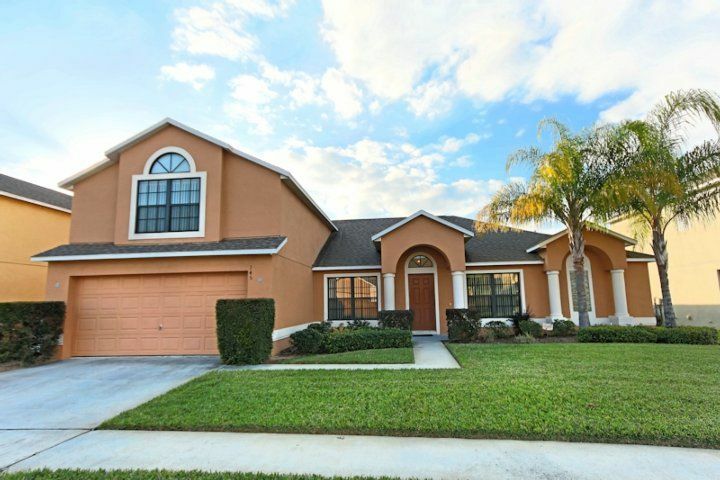 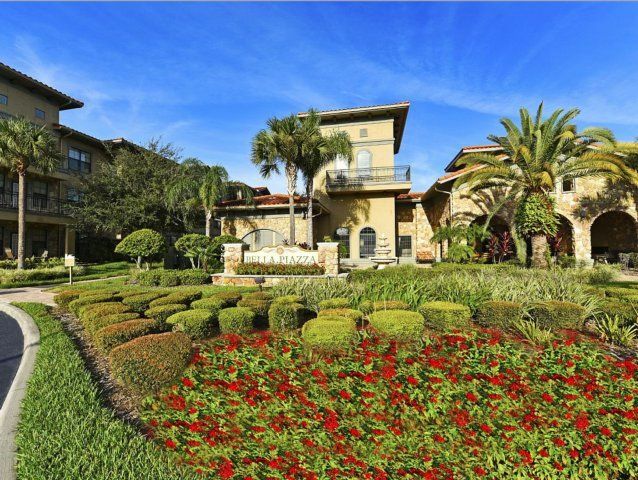 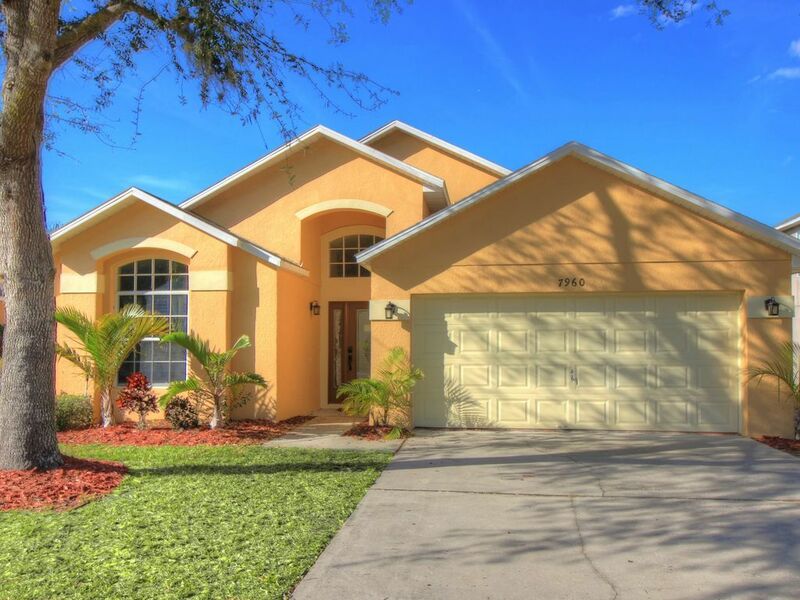 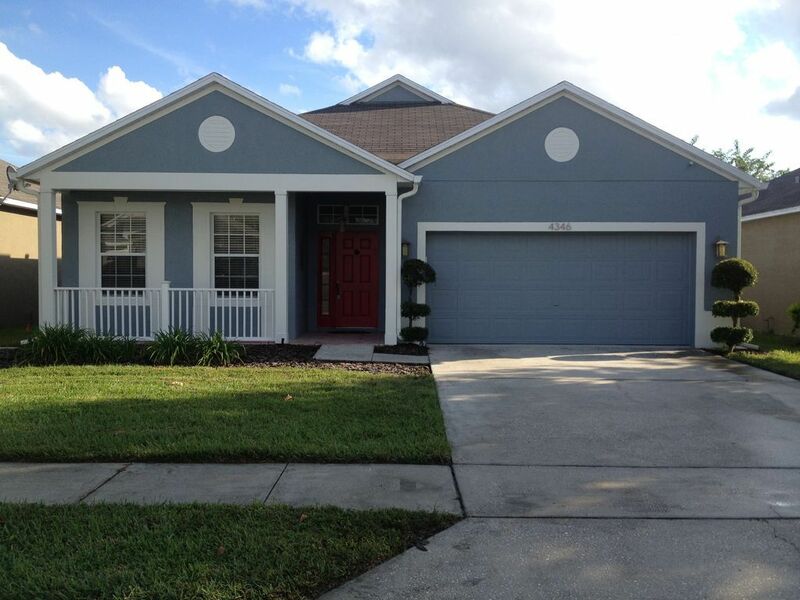 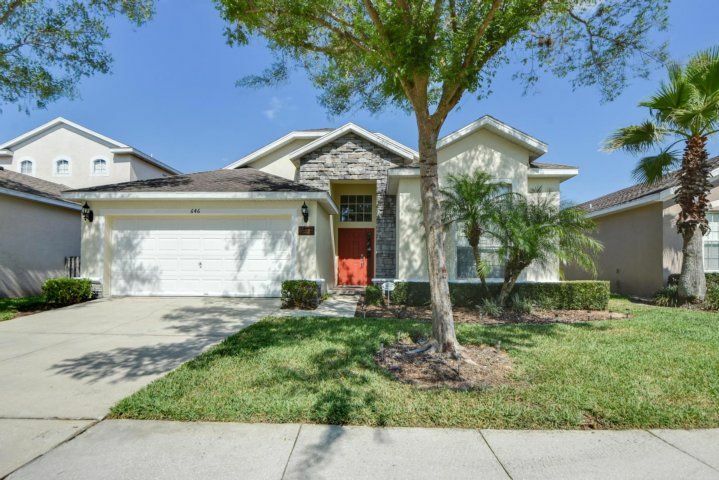 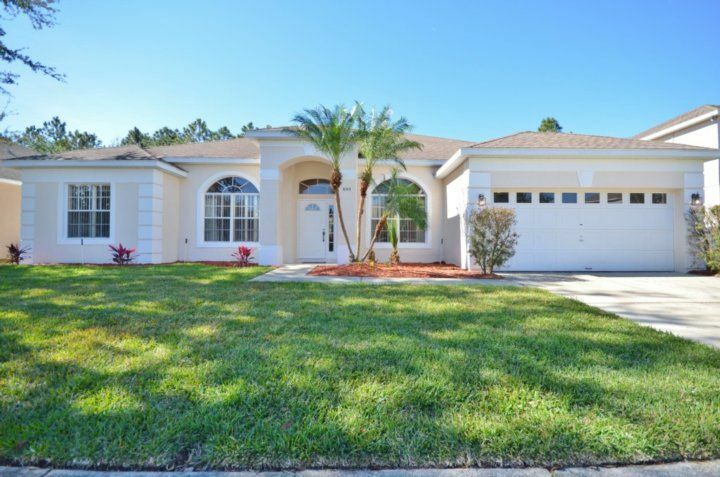 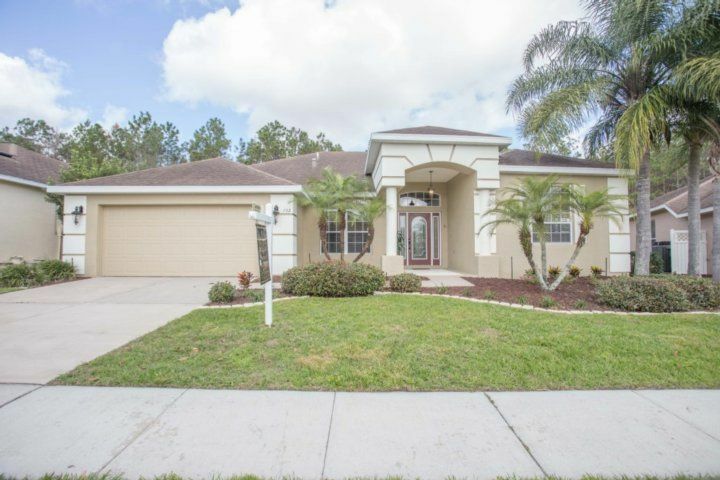 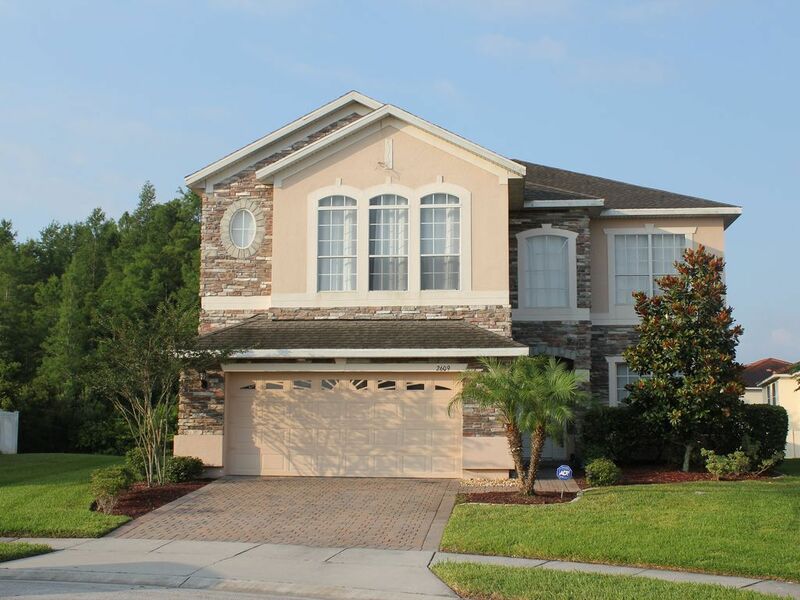 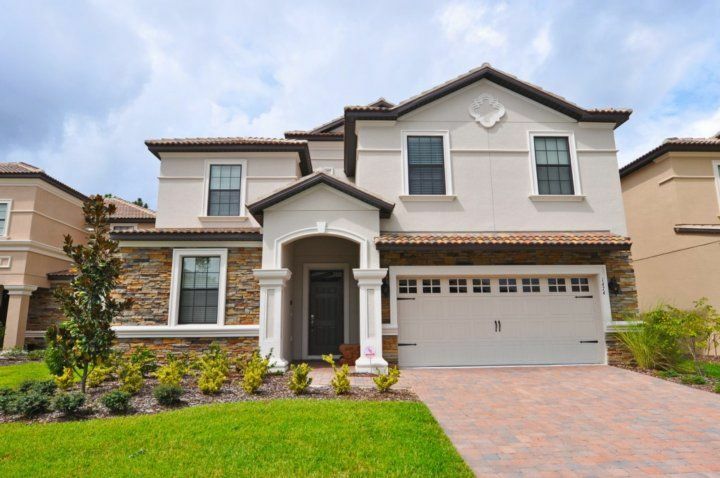 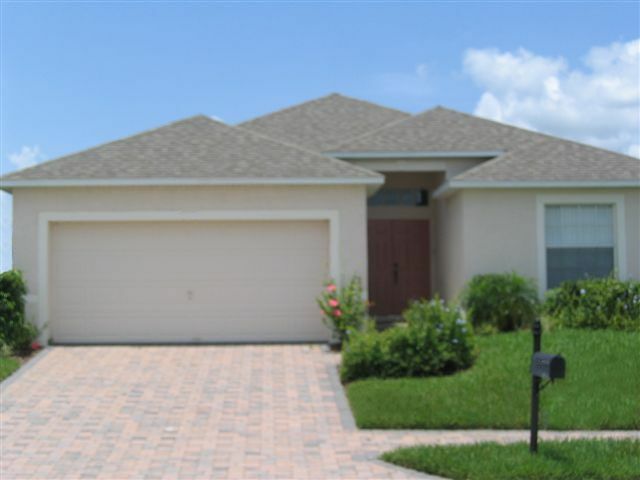 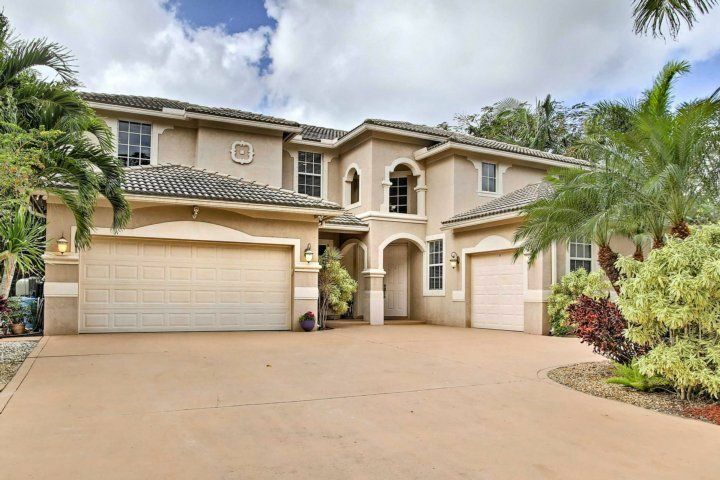 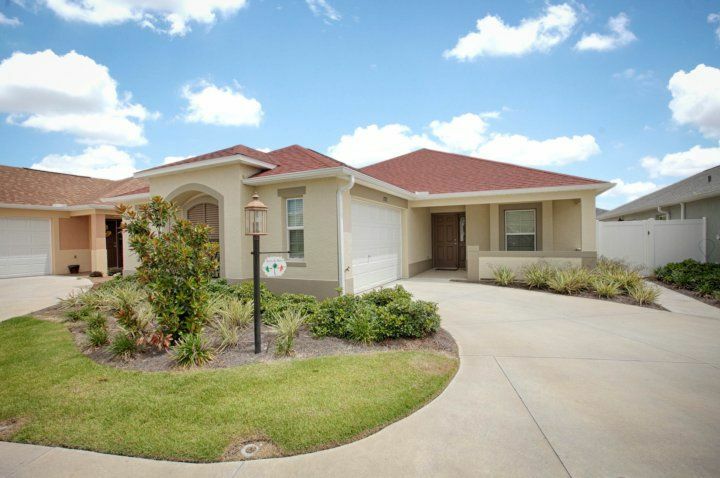 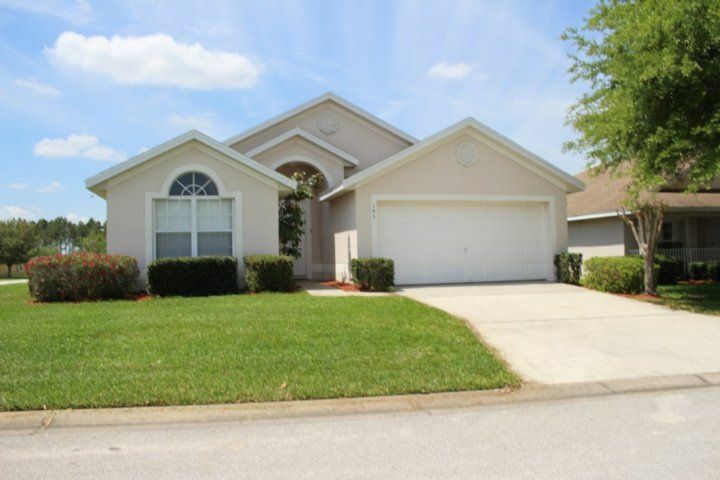 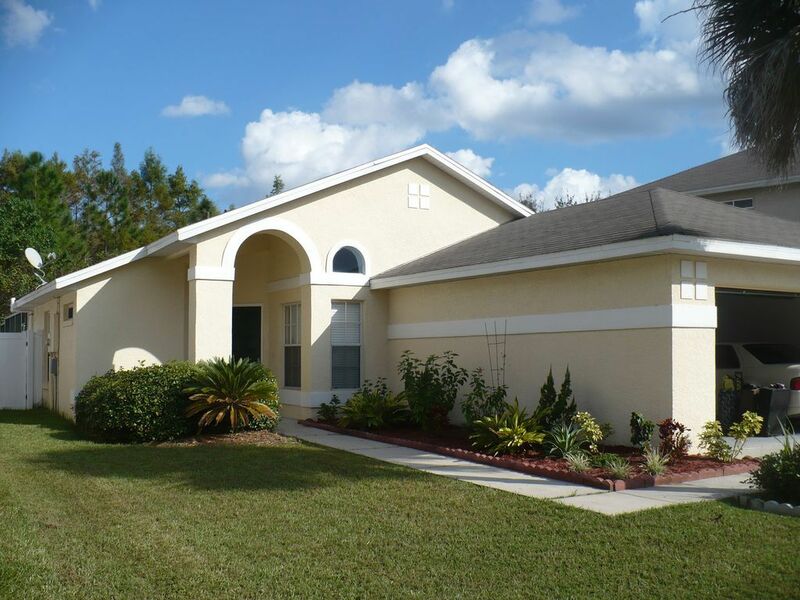 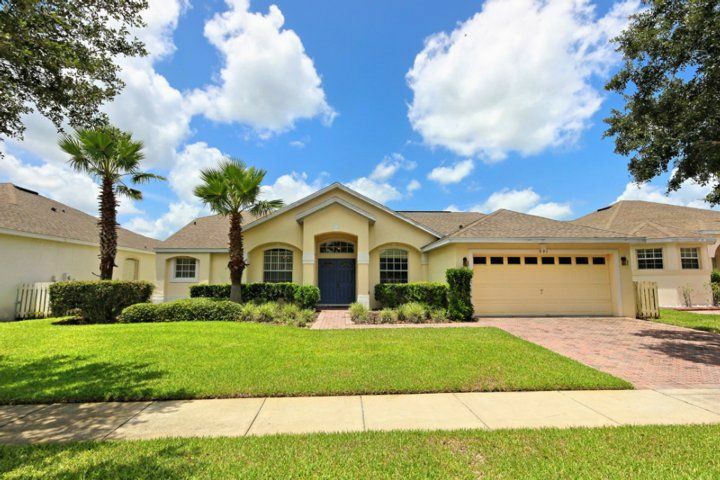 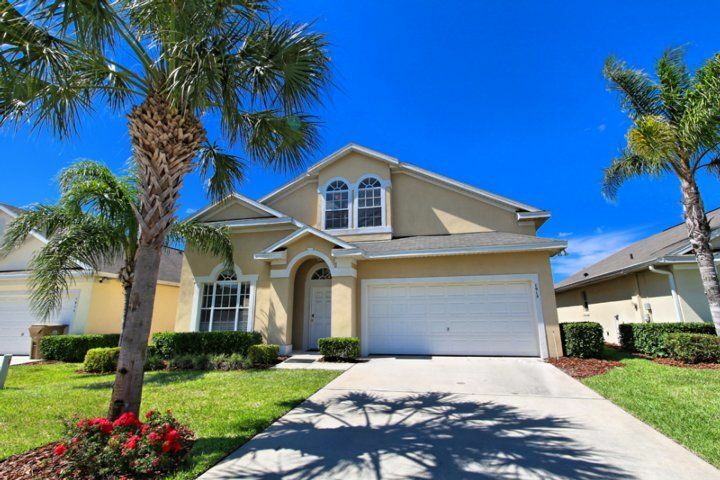 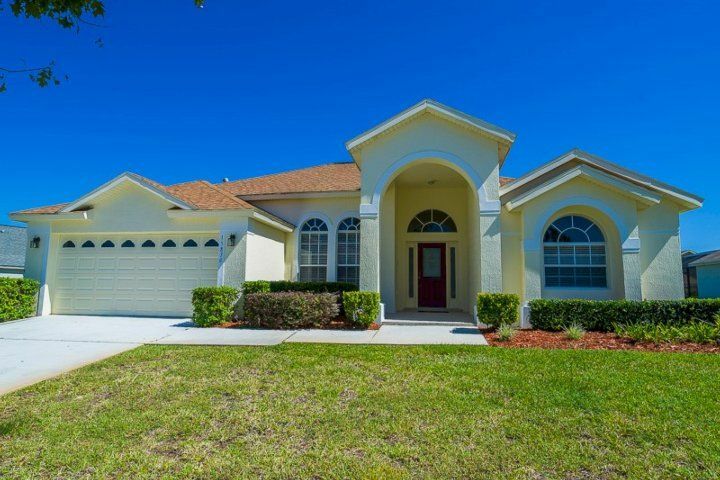 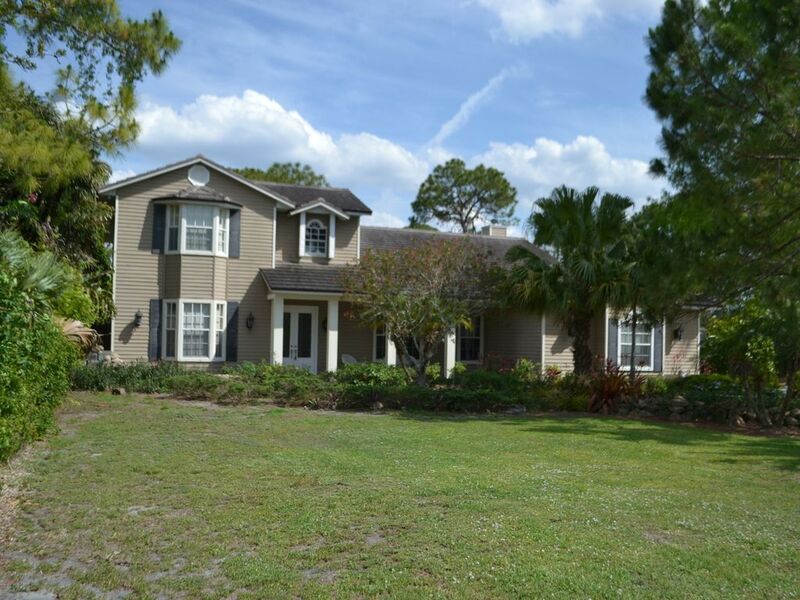 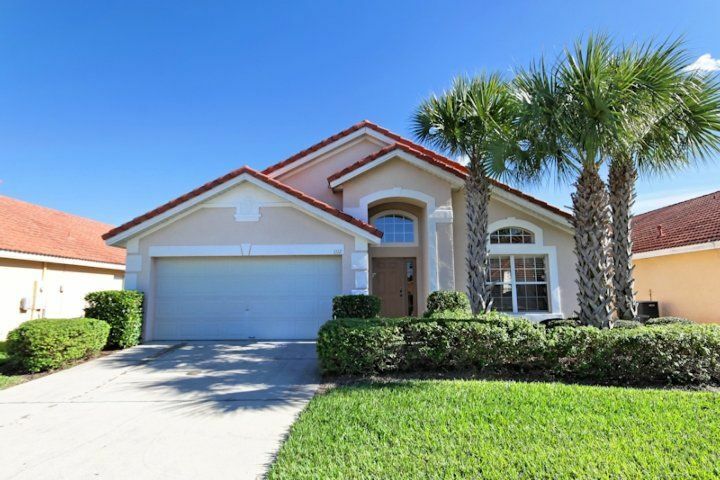 Decide for yourself, with exclusive, gated access. 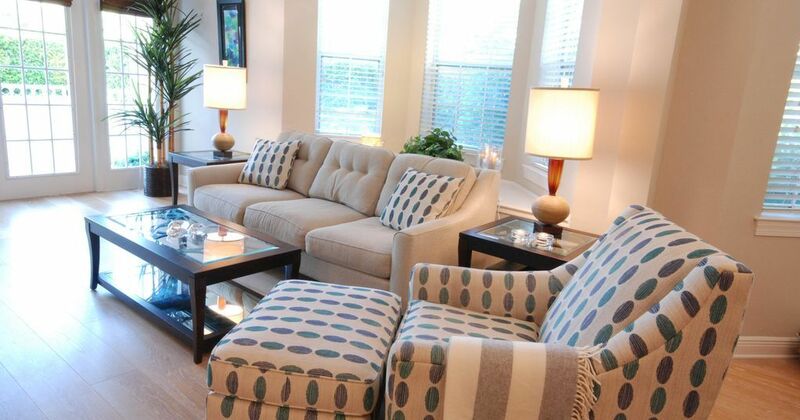 Wireless Internet means you’ll easily stay in touch with family and friends at home. 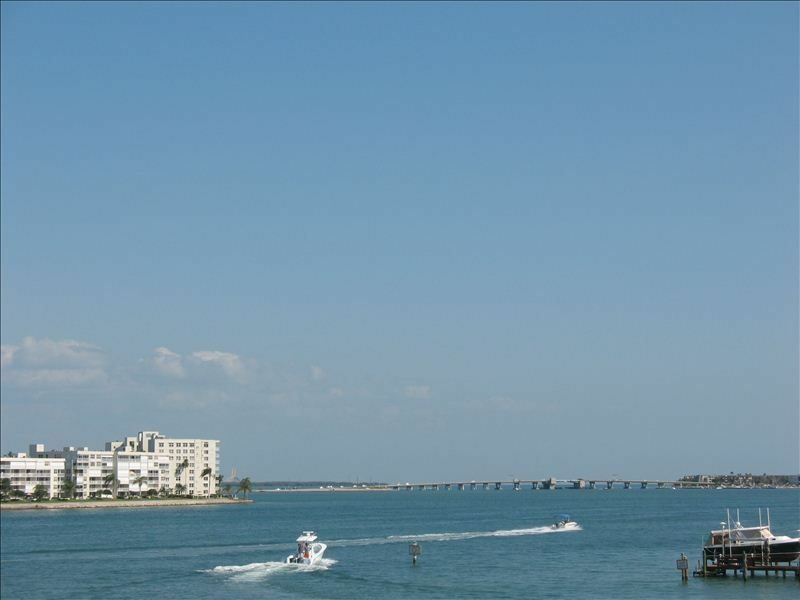 Of particular appeal is a long distance phone offering unlimited calls within the U.S. and Canada. 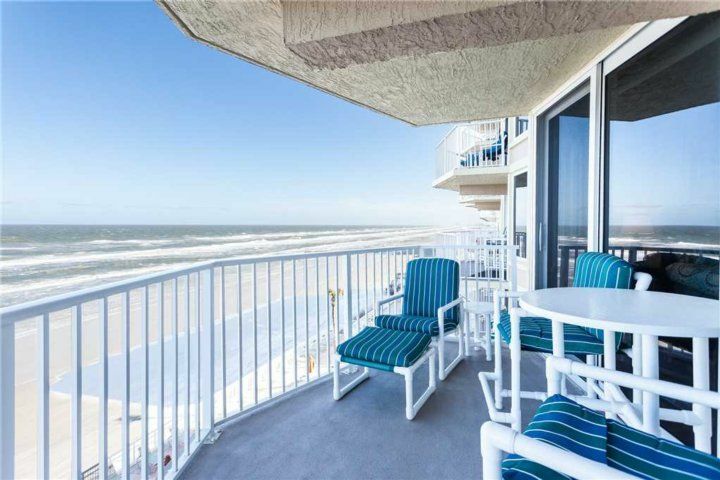 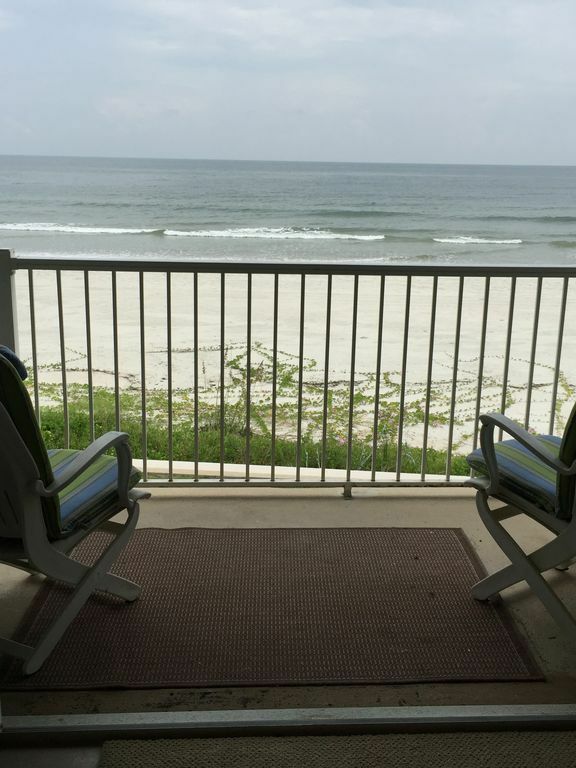 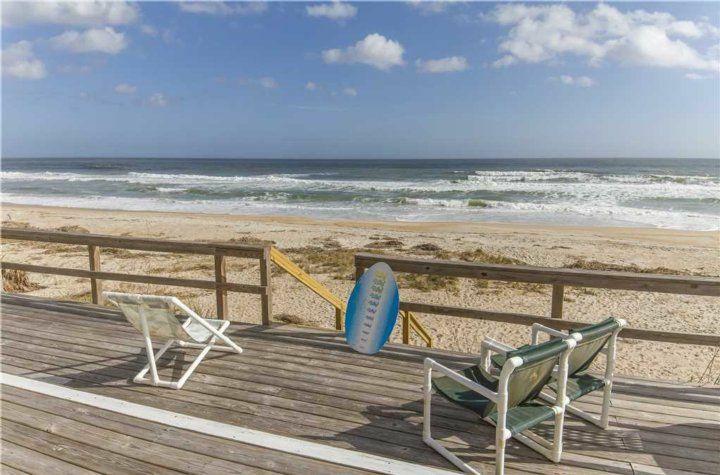 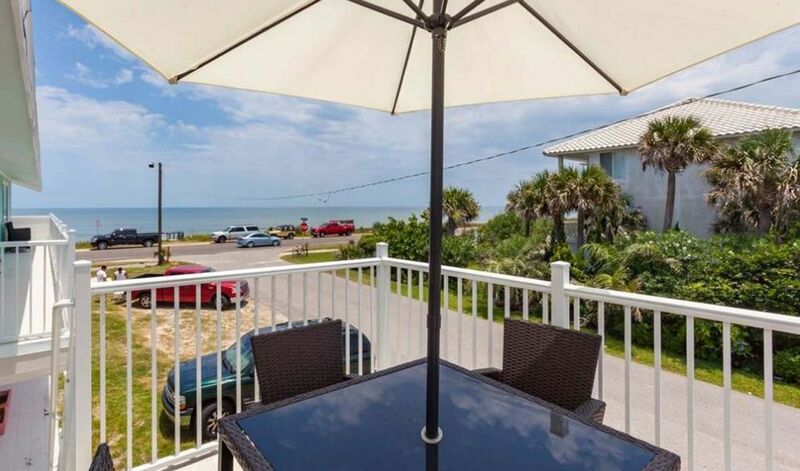 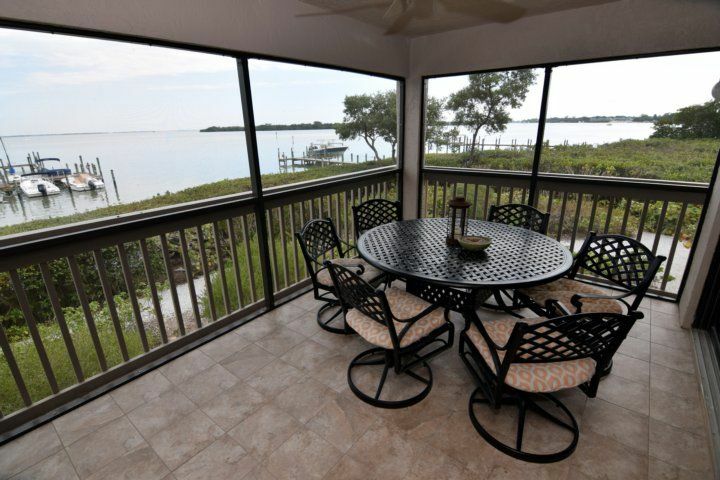 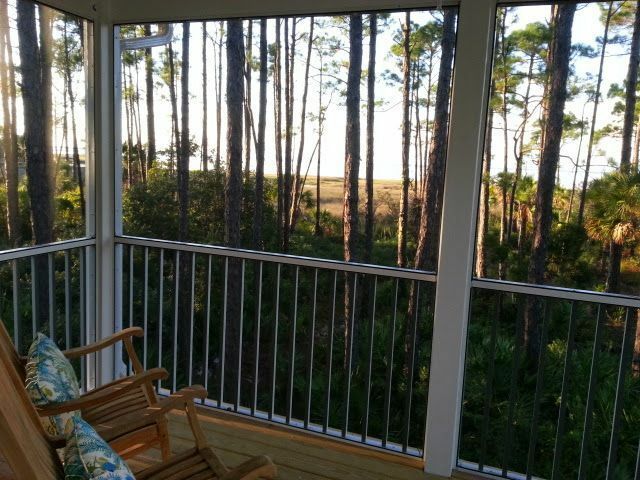 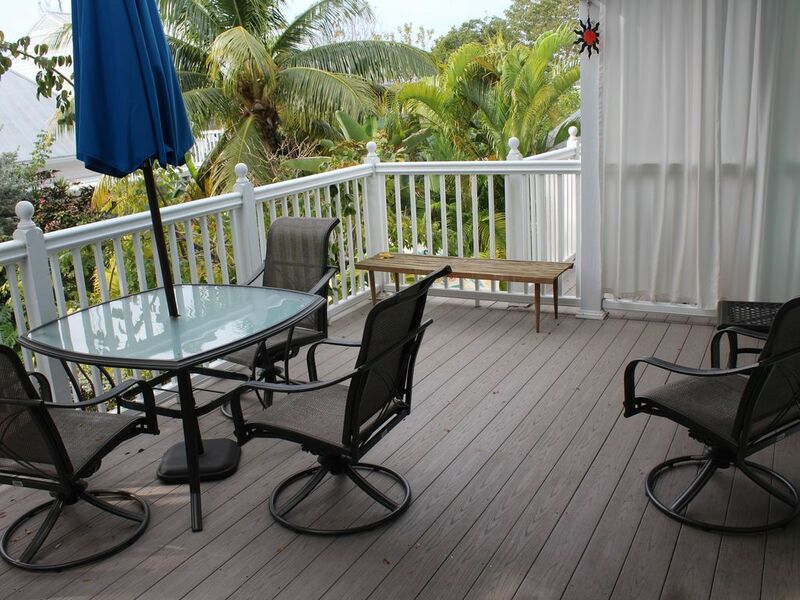 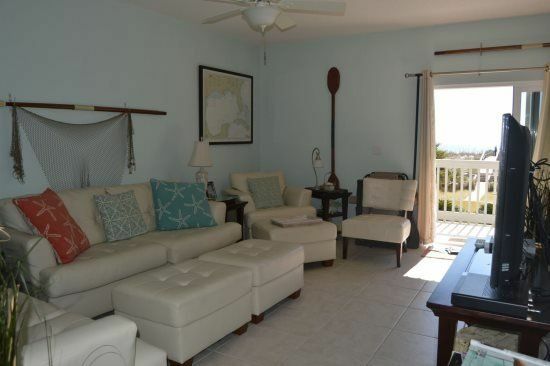 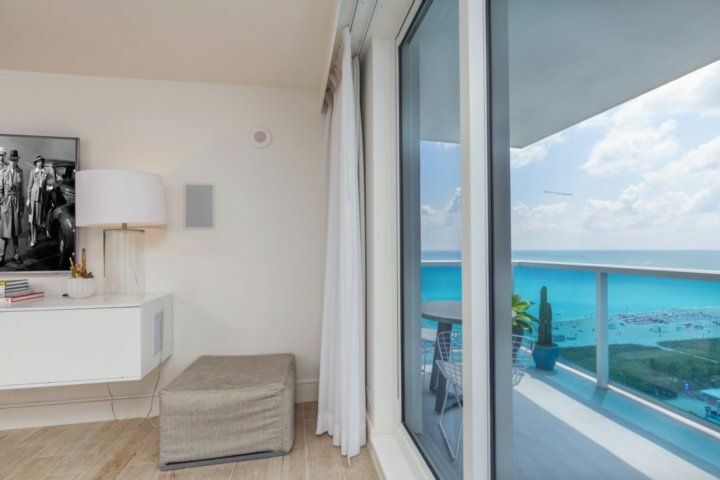 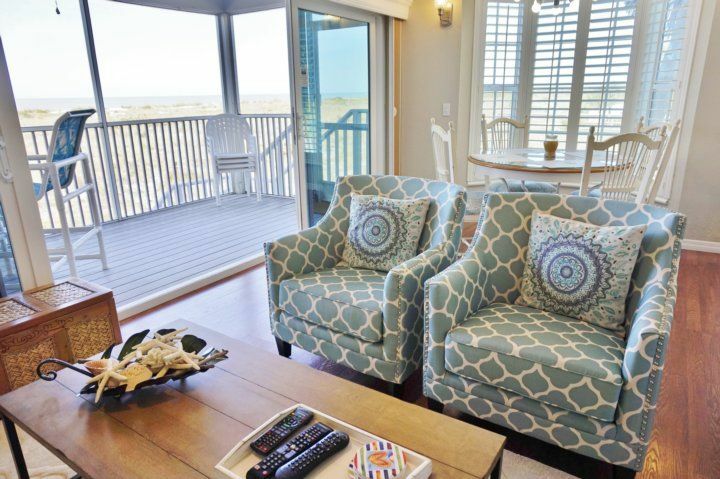 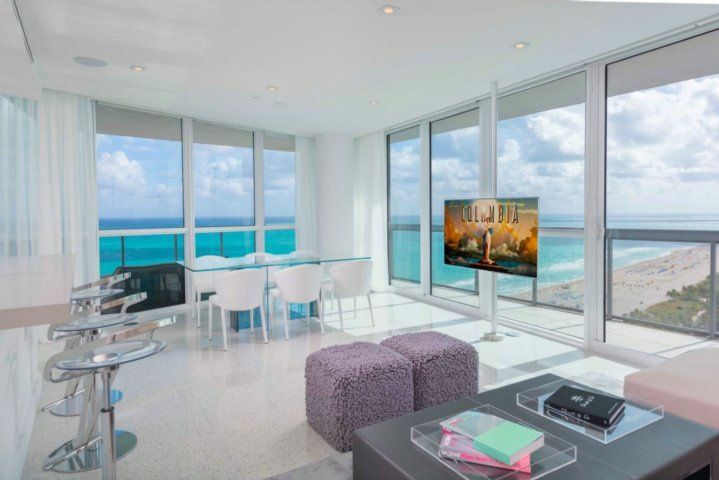 Chat to your friends from your private balcony as you watch dolphins play and boats pass by. 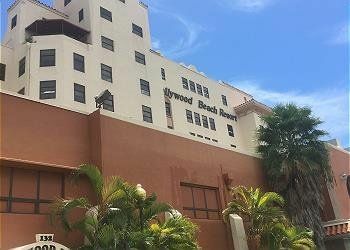 Can you hear their jealousy already?